This page shows images of Gothenburg Tramways (Göteborgs Spårvägar). 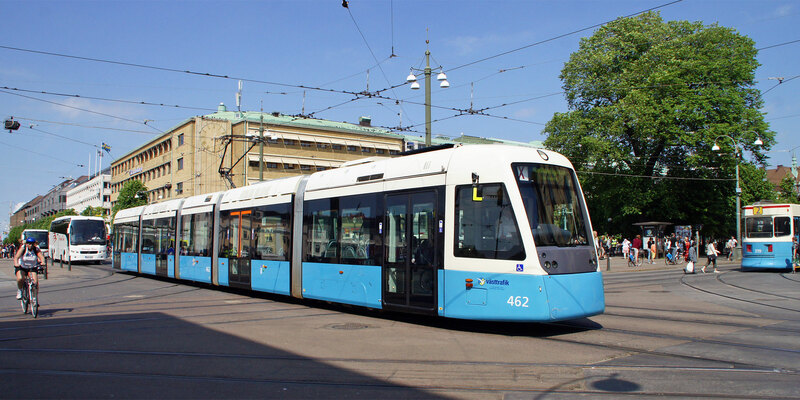 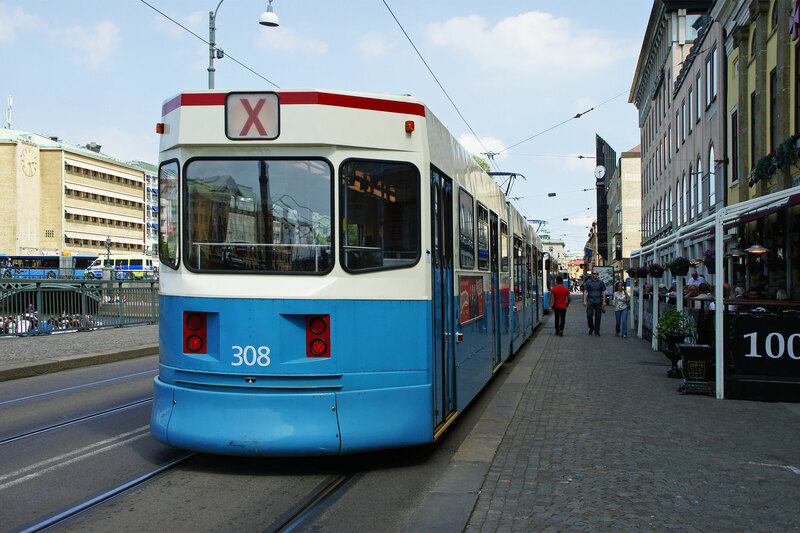 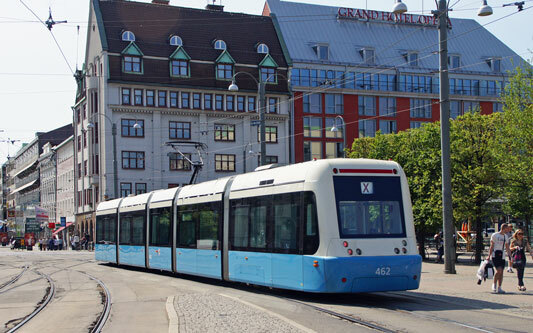 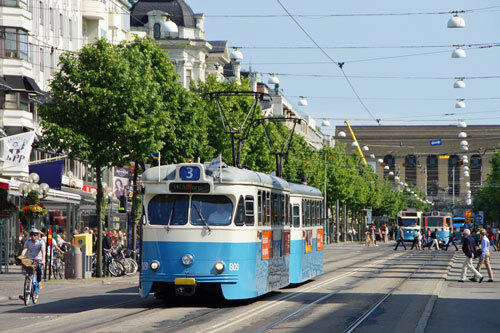 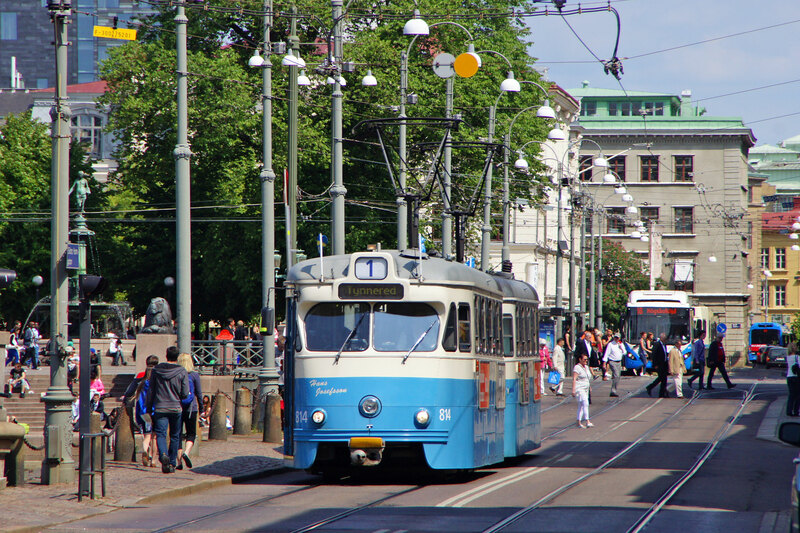 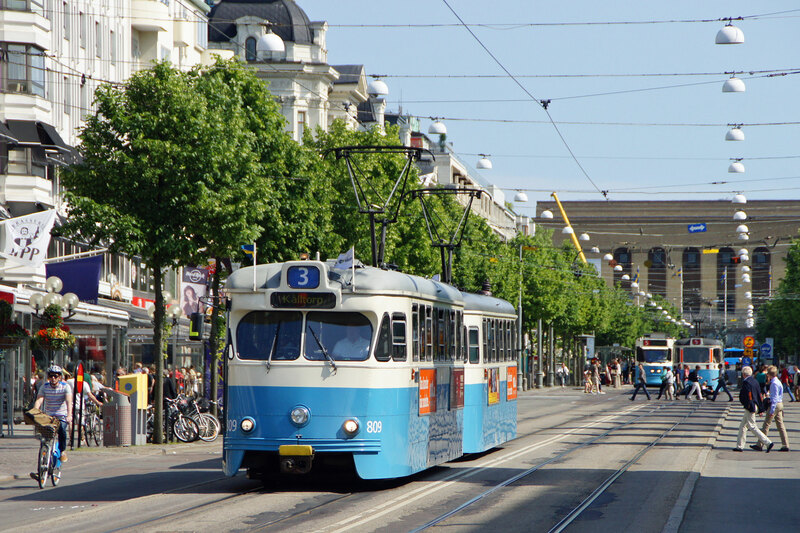 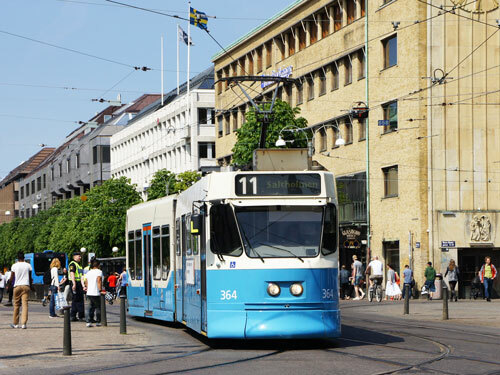 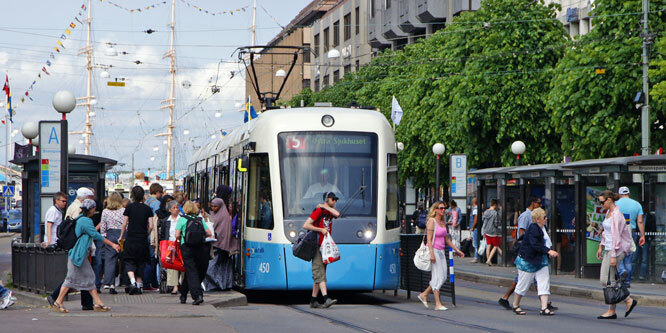 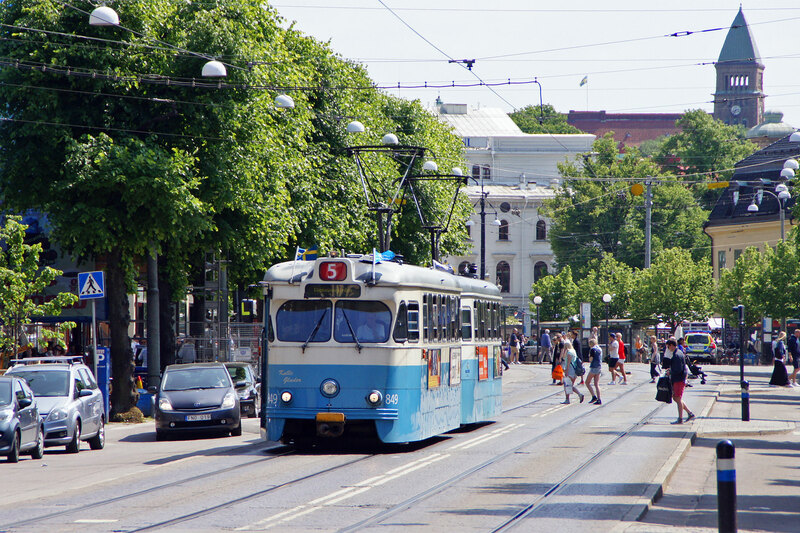 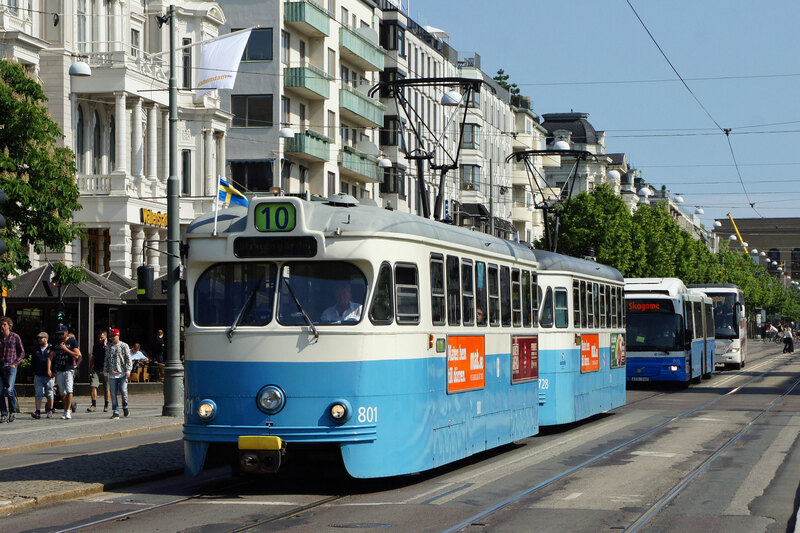 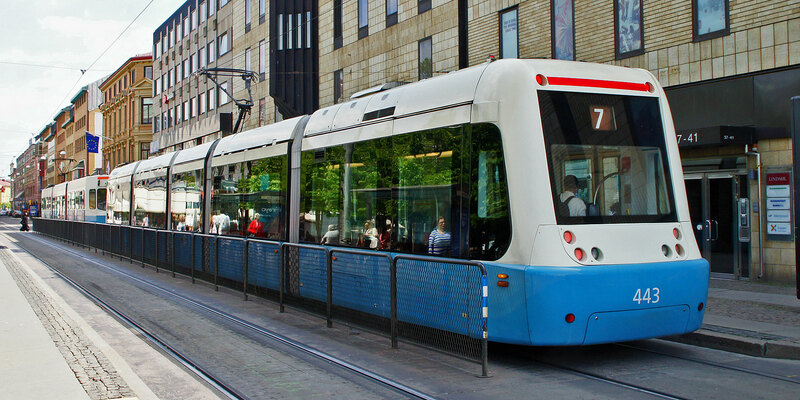 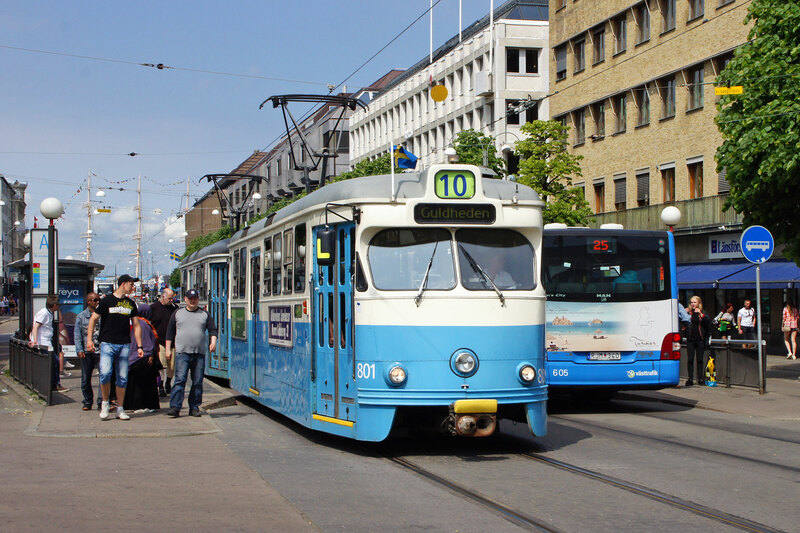 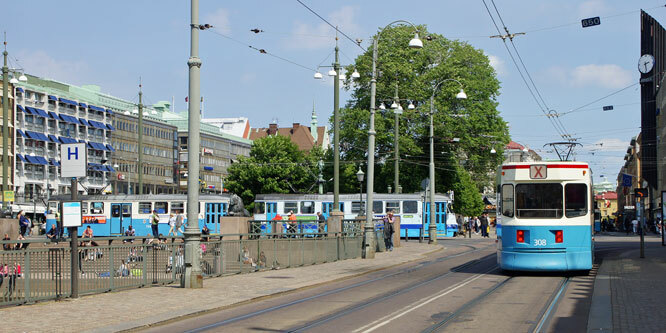 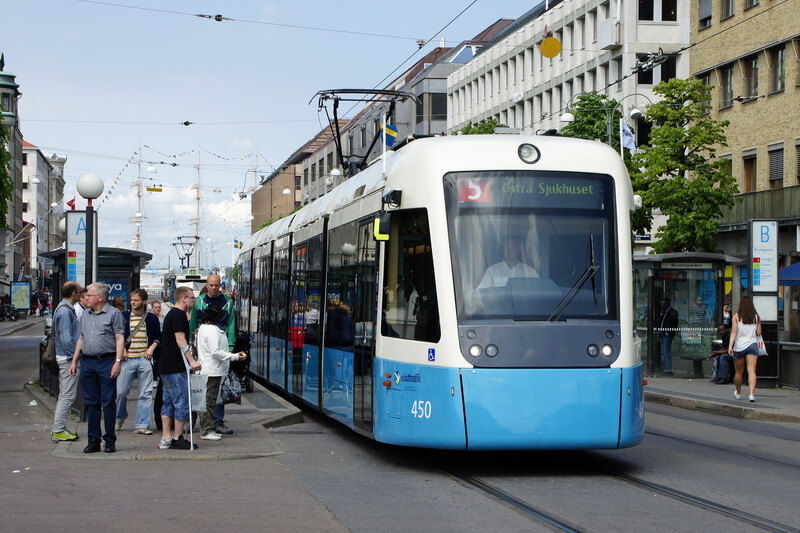 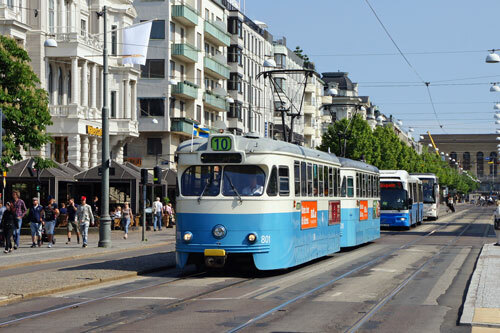 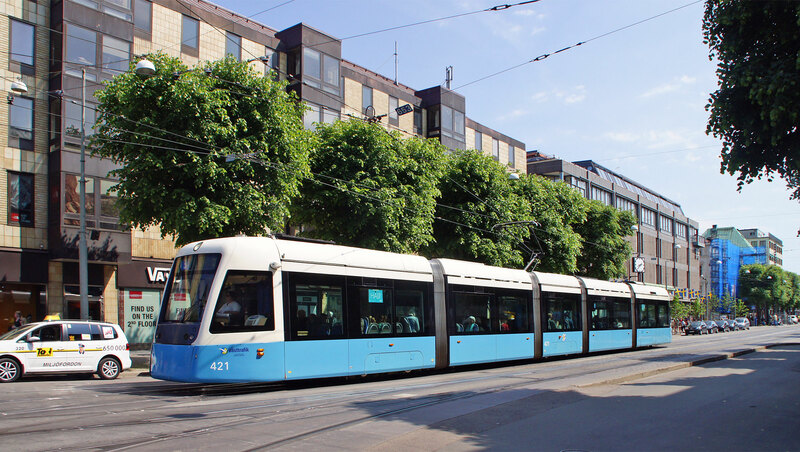 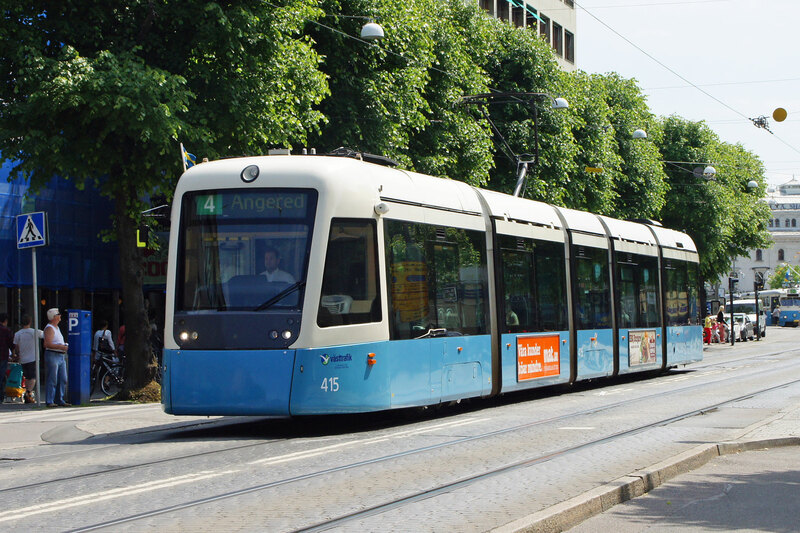 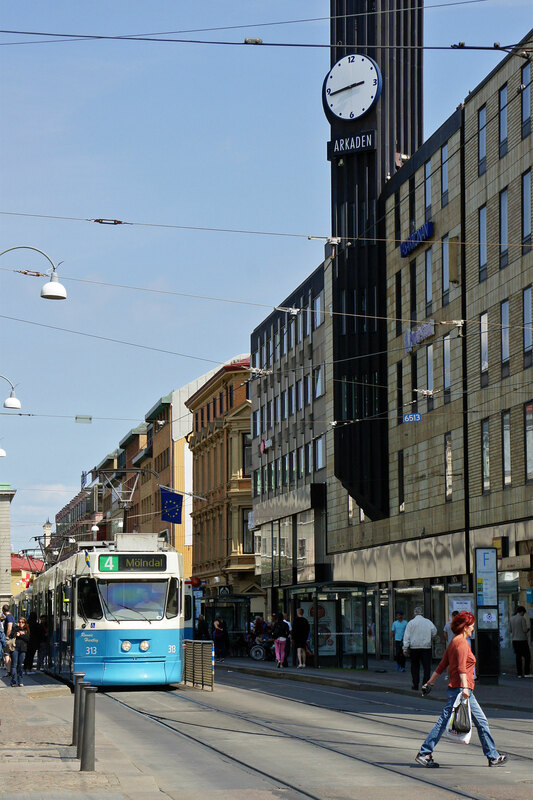 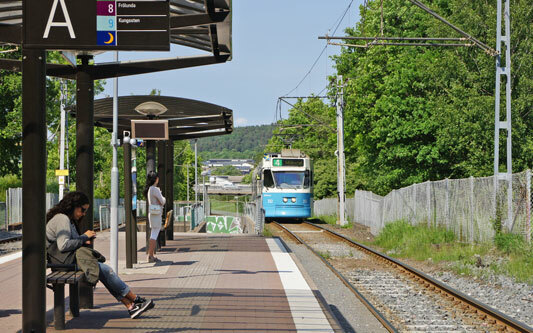 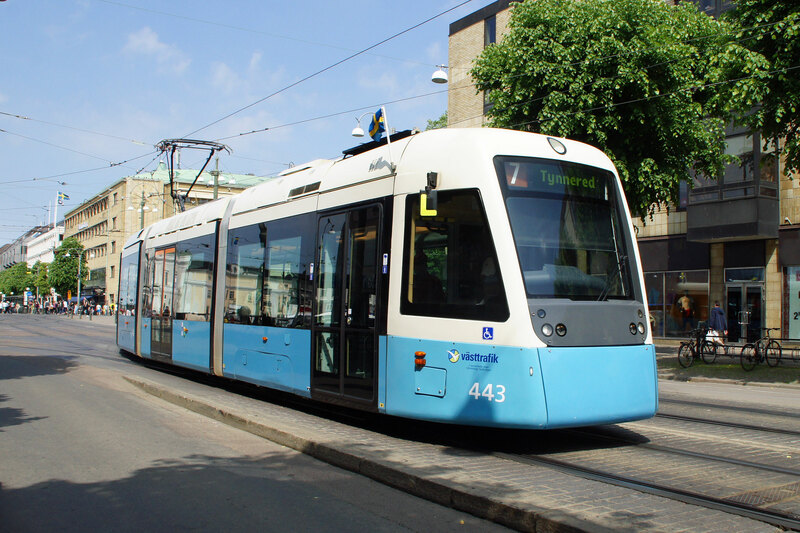 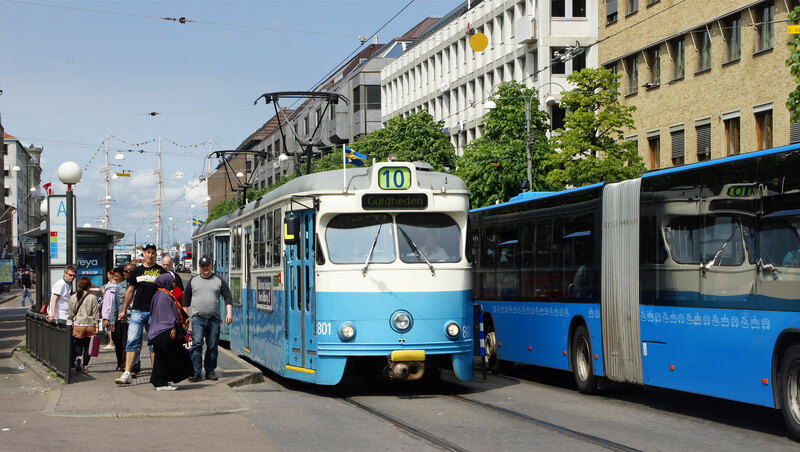 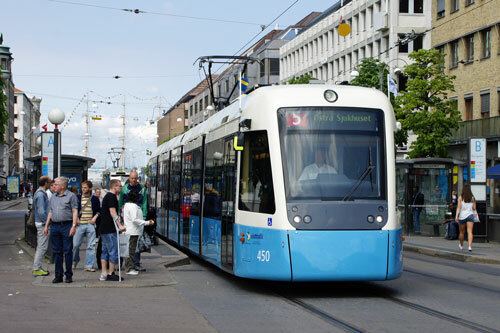 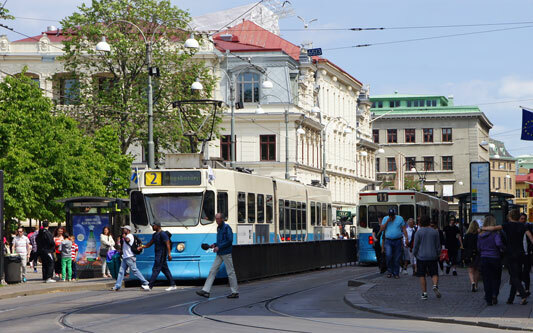 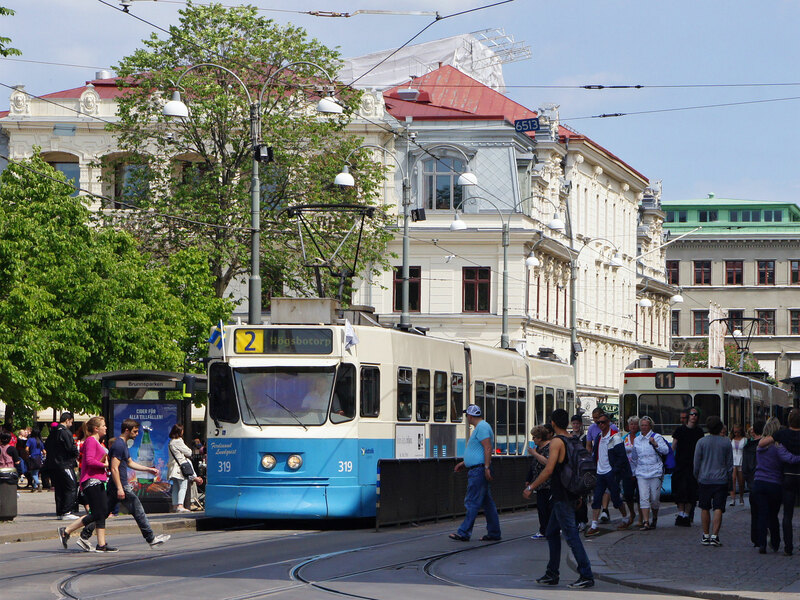 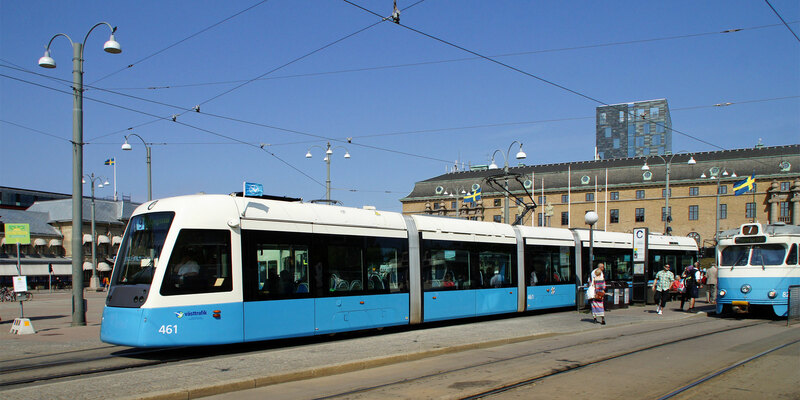 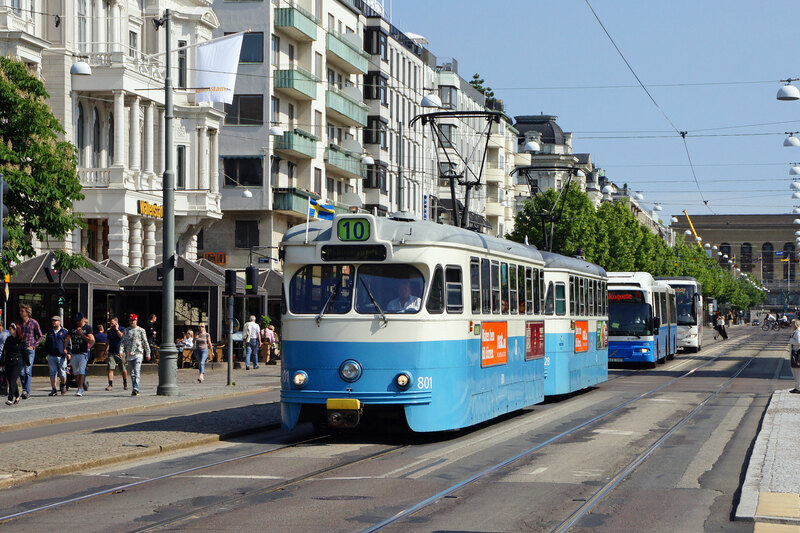 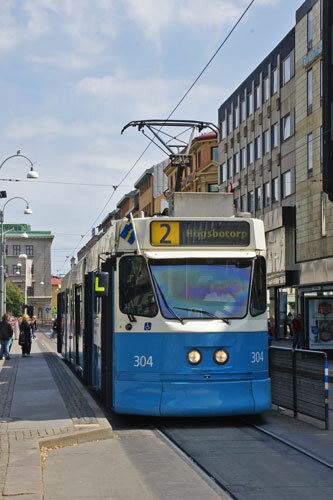 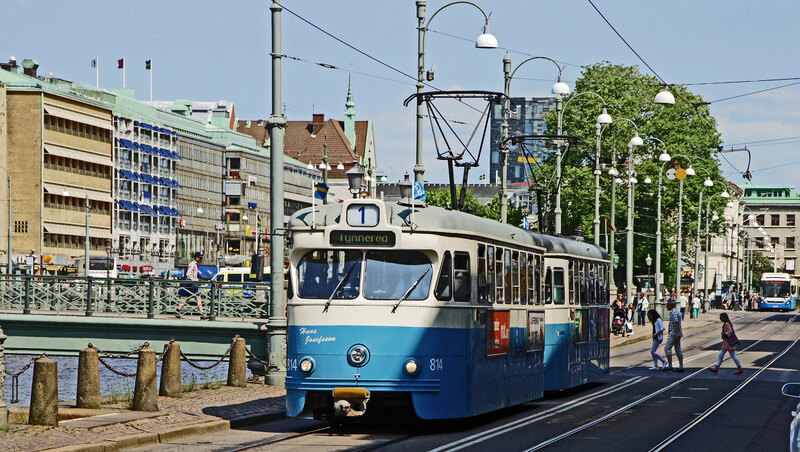 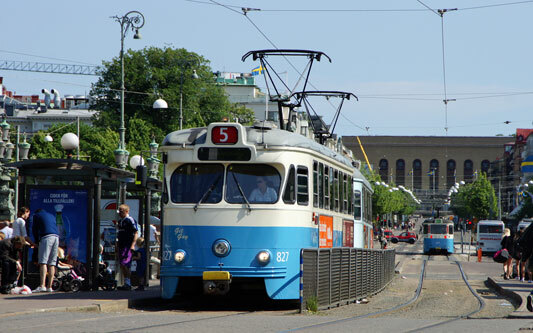 The Gothenburg tram network (Swedish: Göteborgs Spårvägar) is part of the public transport system organised by Göteborgs Spårvägar, controlled by Västtrafik in the Swedish city of Gothenburg. 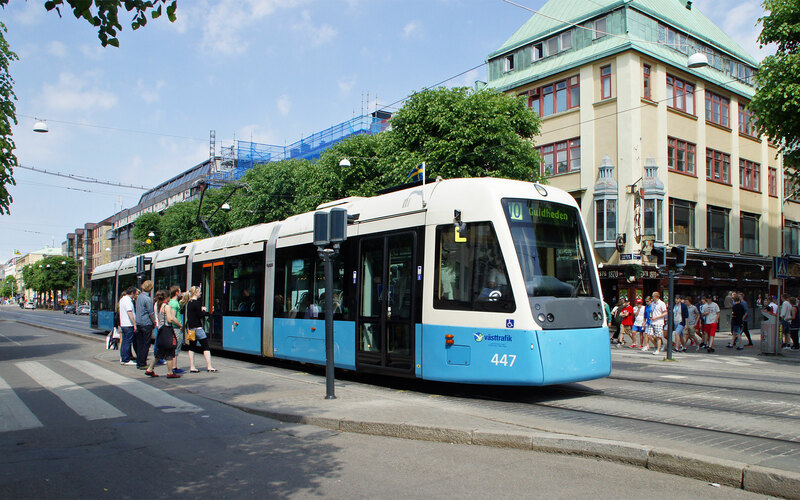 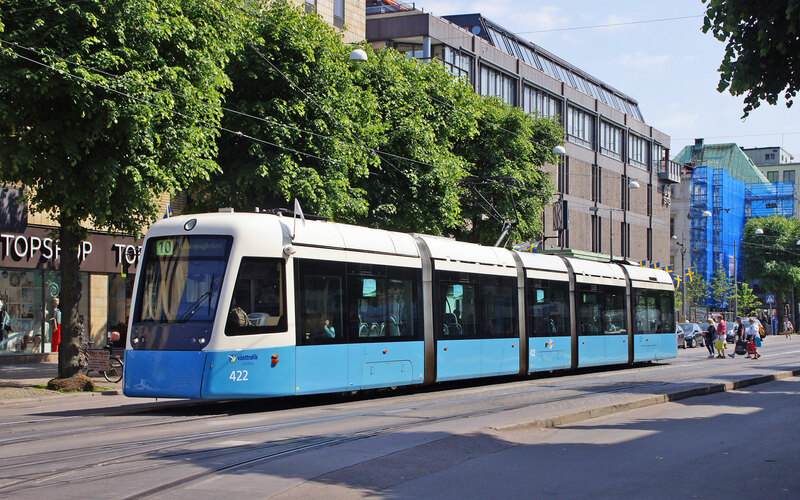 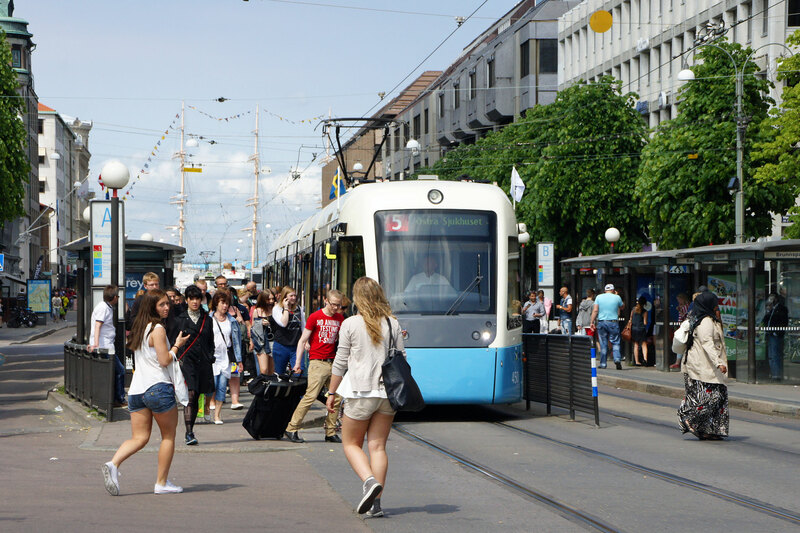 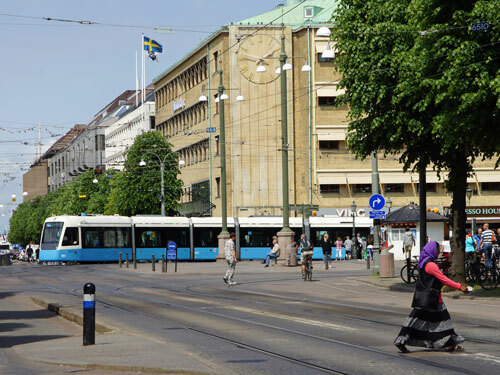 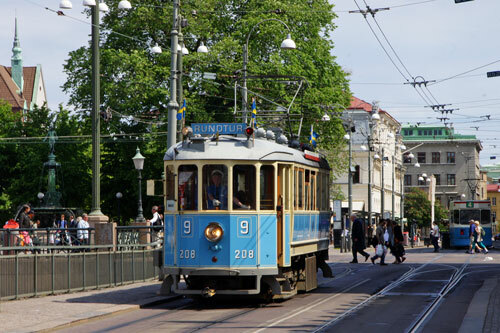 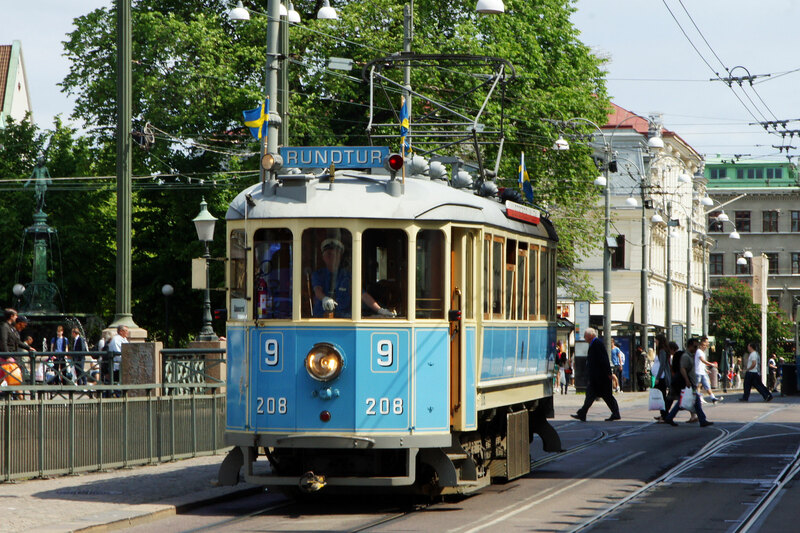 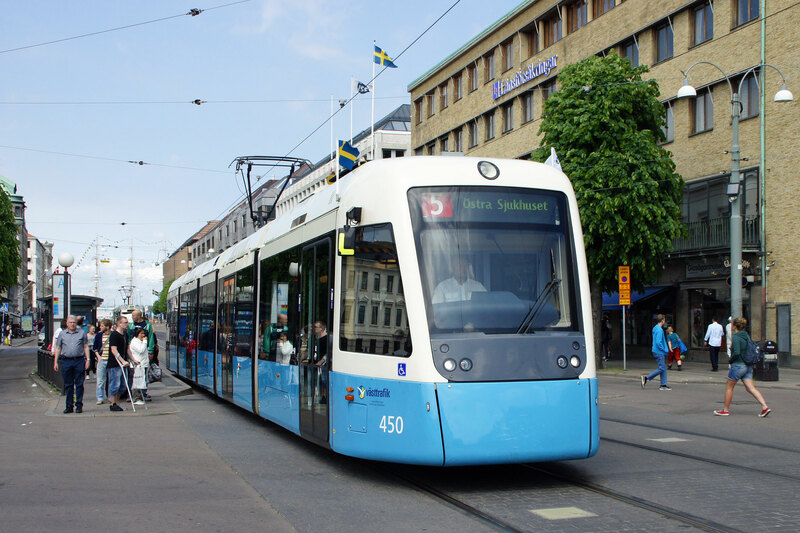 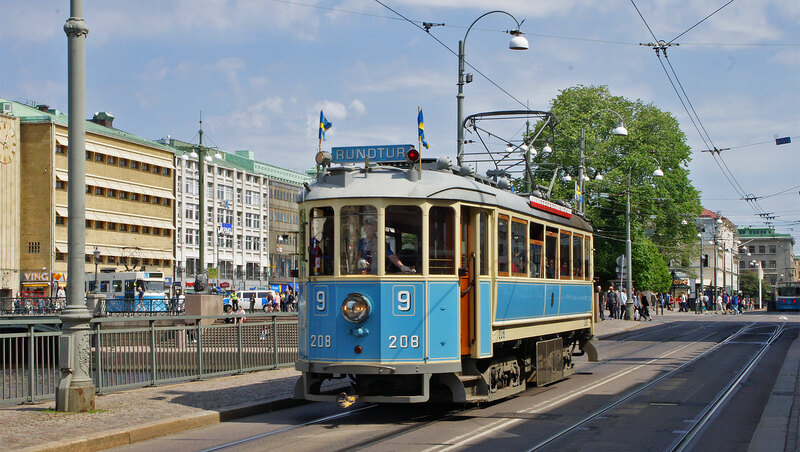 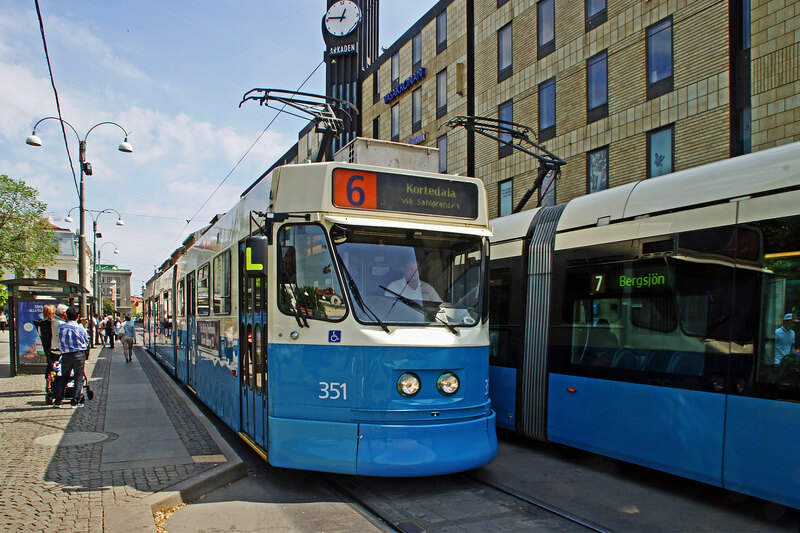 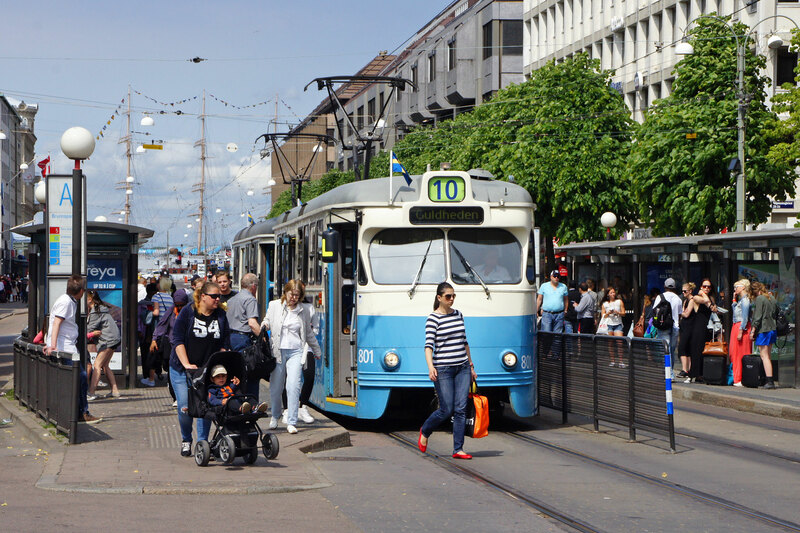 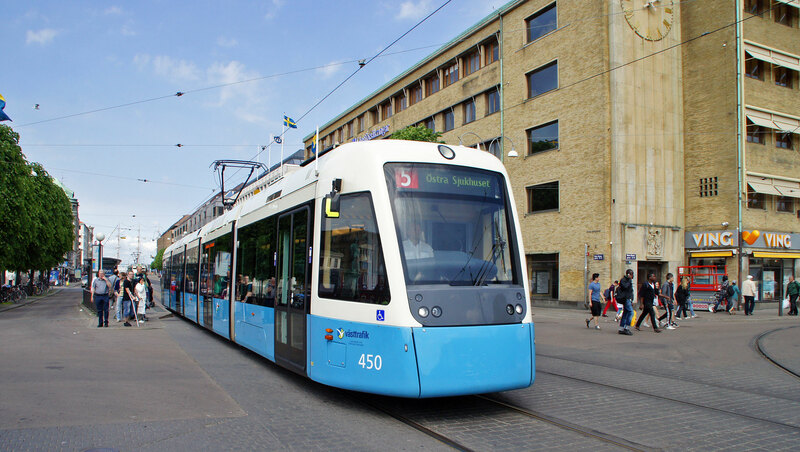 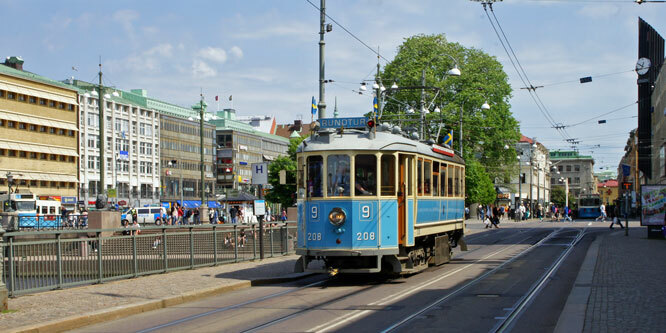 The 161 km of track — making it the largest tram network in Sweden — is used by around 200 trams as of 2006, which serve twelve day-time and five night-time lines with a combined length of 190 km. 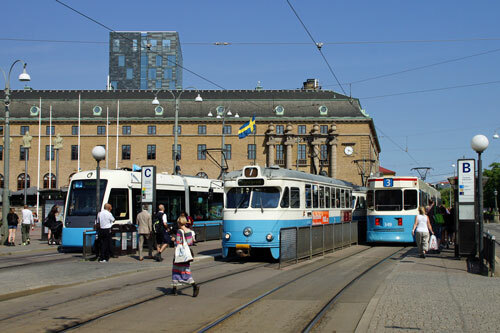 These figures are expected to increase when the second stage of Kringen (short for Kollektivringen, the public transport ring) is finished. 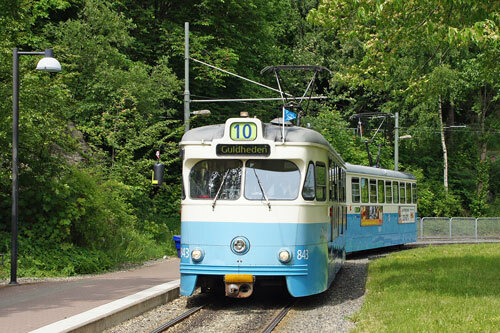 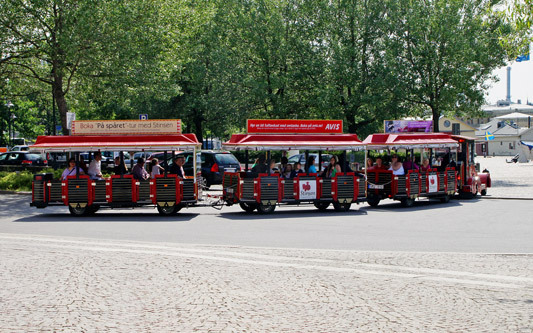 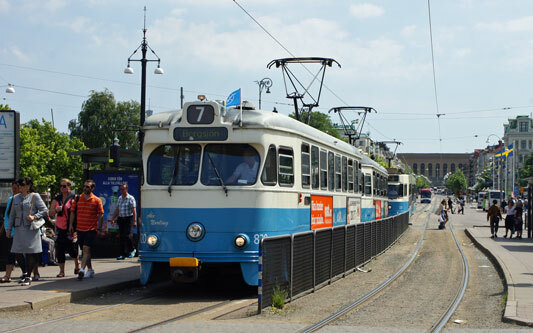 The trams perform about 2,000 trips and cover 30,000 km per day. 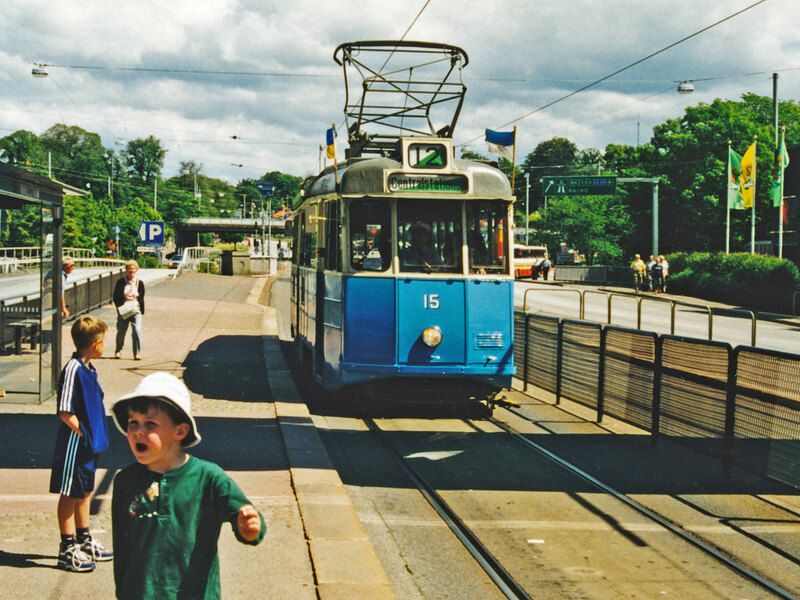 In 2007, 100.5 million journeys were made (with changes counting as a journey). 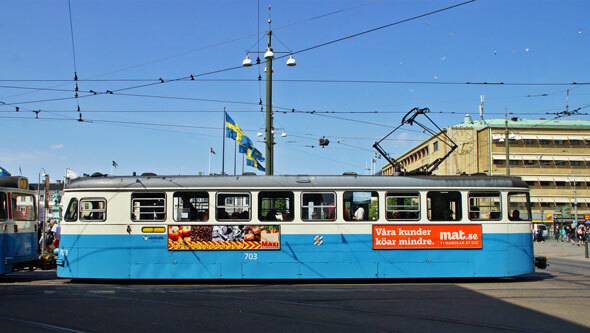 Images: ©Ian Boyle, ©Kalle Id & ©Mike Tedstone. 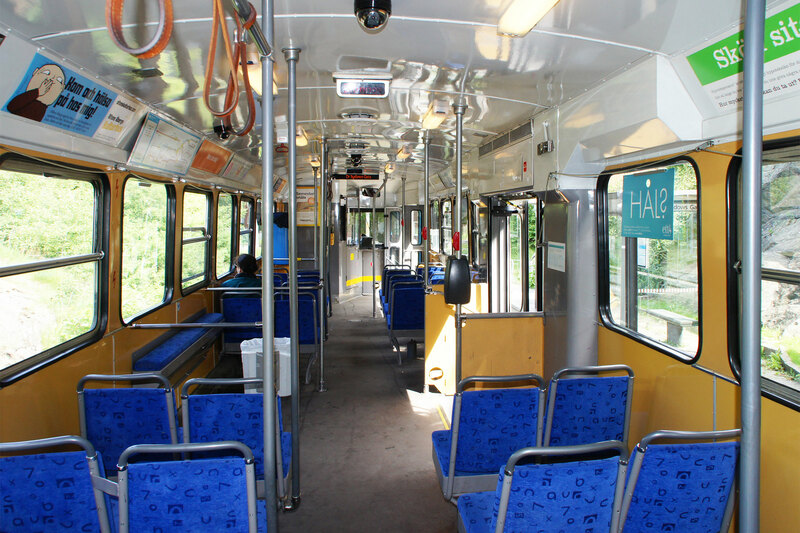 M32 Sirio, AnsaldoBreda 2005–2012:- 401-465. The M28 (ASJL 700 series) and M29 (Hägglund 800 series) run together, generally with an M29 leading an M28. 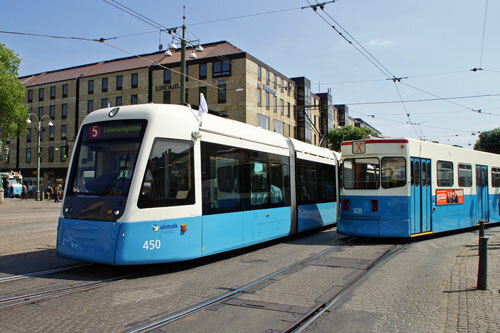 Images of both batches are therefore shown together below. Most double units consisted of of an 800-series M29 leading a 700-series M28. 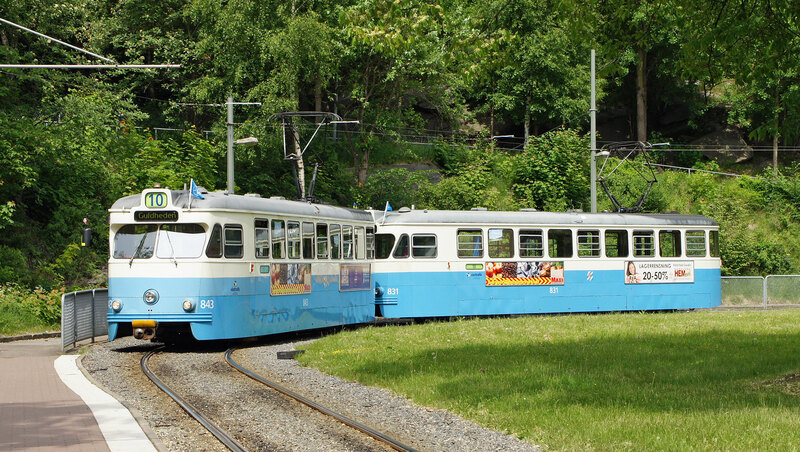 I saw just one M28+M28 unit 715+754 and one M29+M29 unit 843+831 in service during my visit. 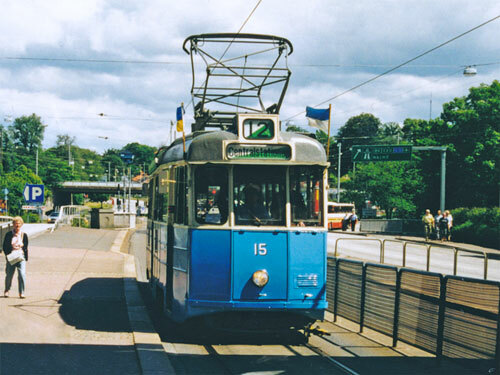 The M31 trams were built by ASEA as two-section M21 trams between 1984–1992. 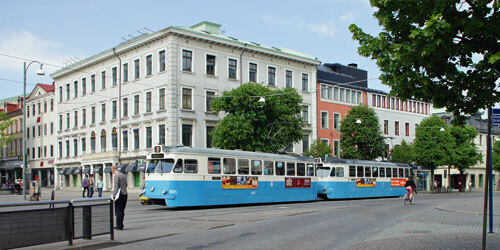 They were rebuilt with low-floor centre sections to become class M31 by ASEA/MGB between 1998–2003. 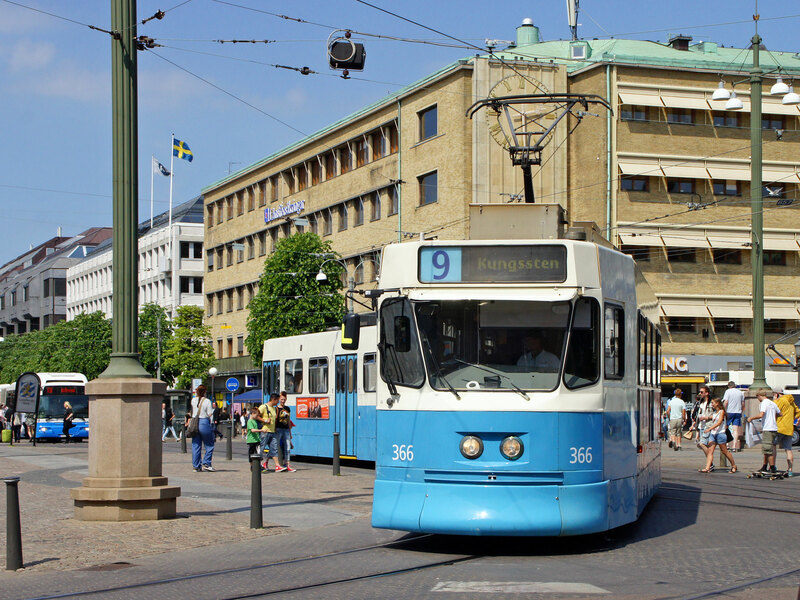 They are numbered 300–380. 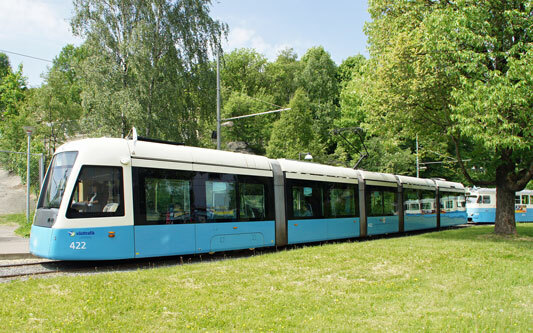 The M32 Sirio series of trams (401-465) were built by AnsaldoBreda in Italy between 2005–2012. 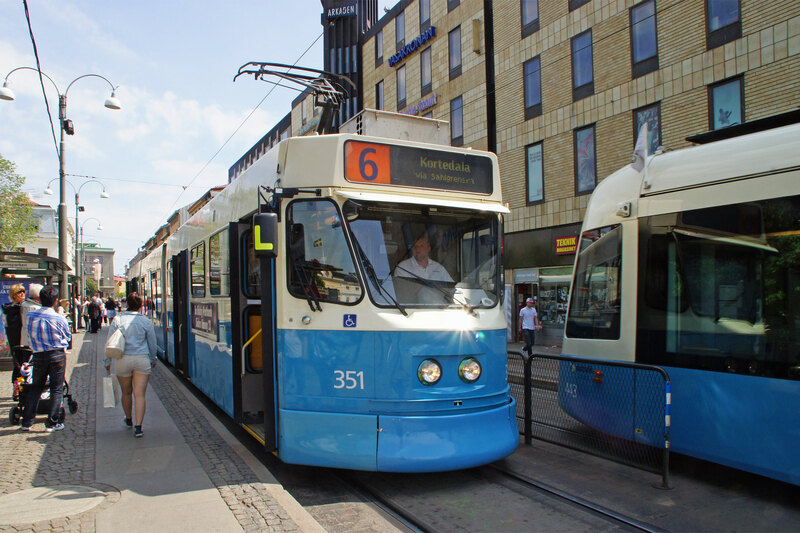 These trams have had various problems in service and many are currently out of service, requiring many M28/M29 trams to be returned to use. 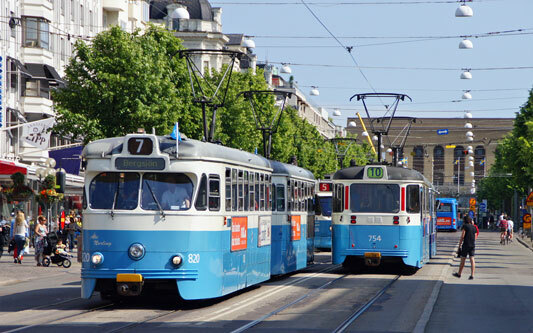 I saw only 8 M32 trams compared to 25 M31 trams and 18 M28/M29 pairs. 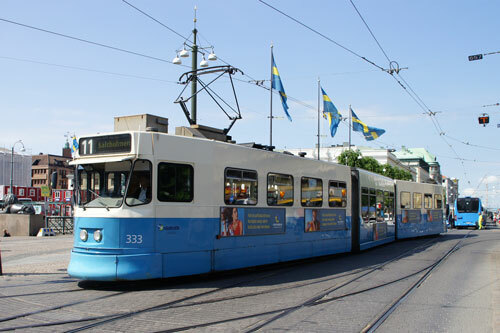 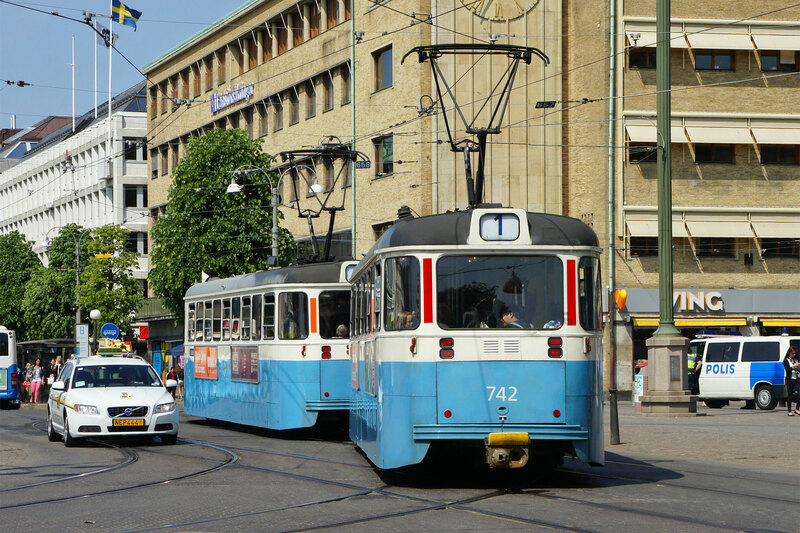 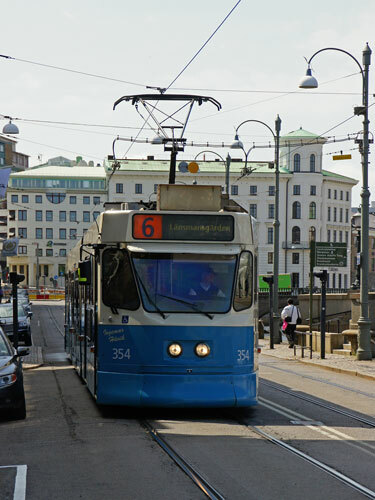 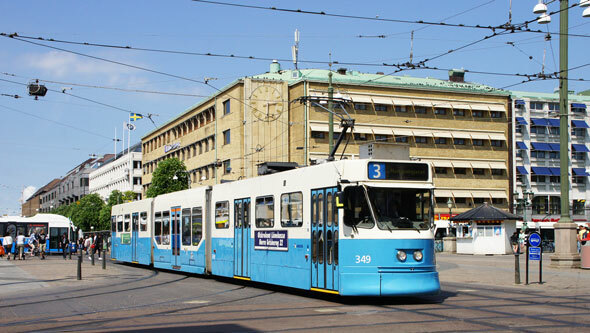 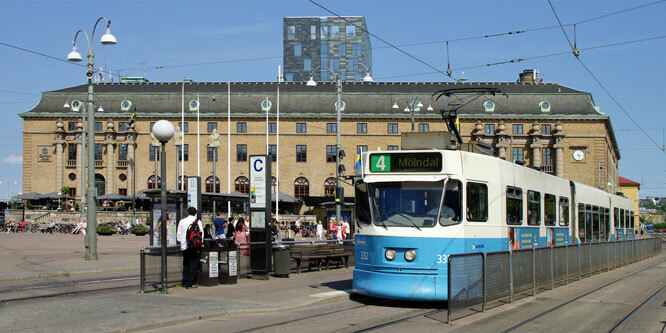 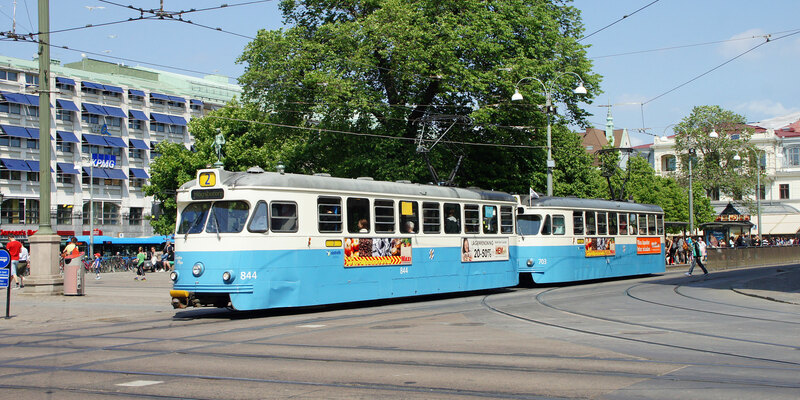 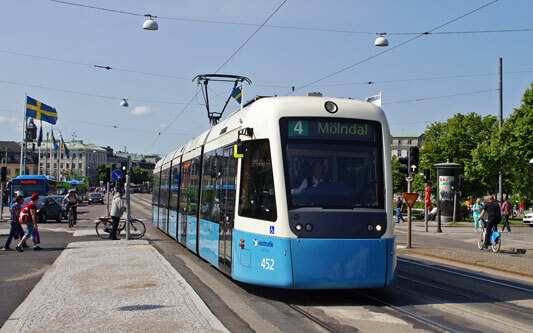 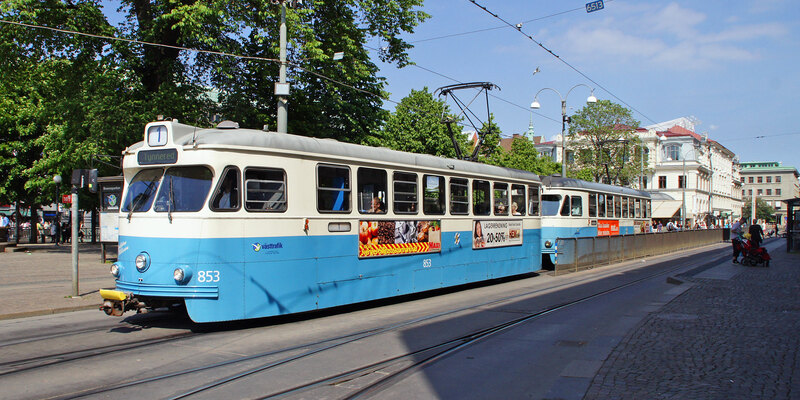 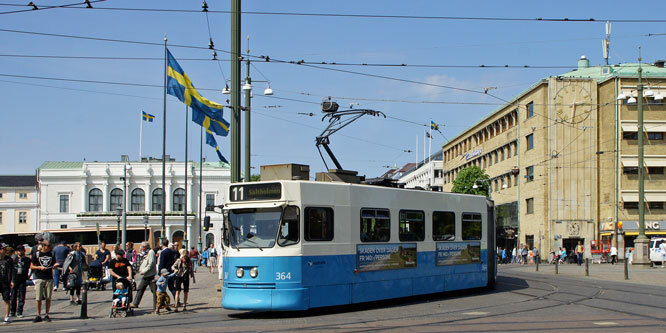 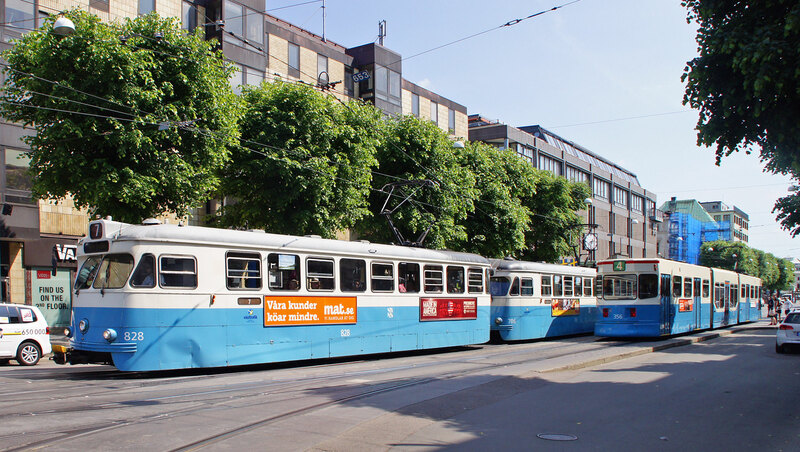 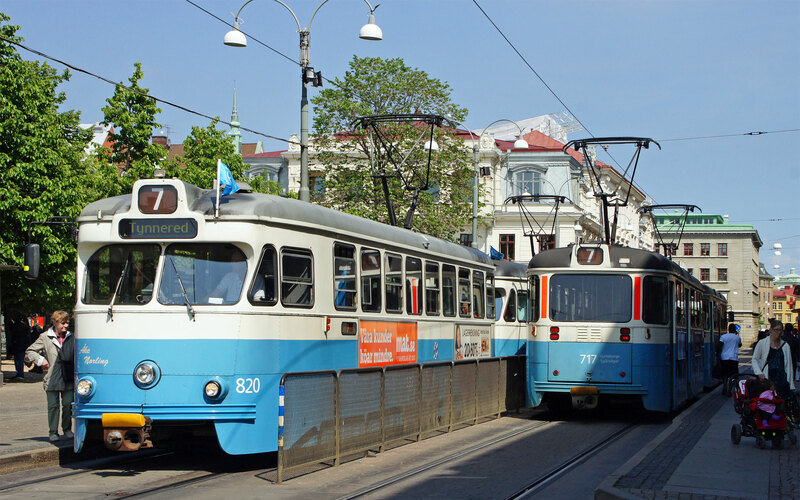 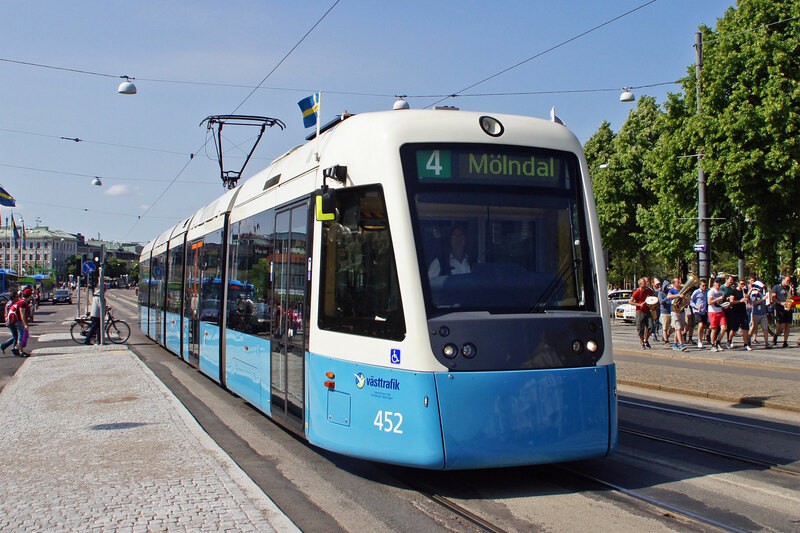 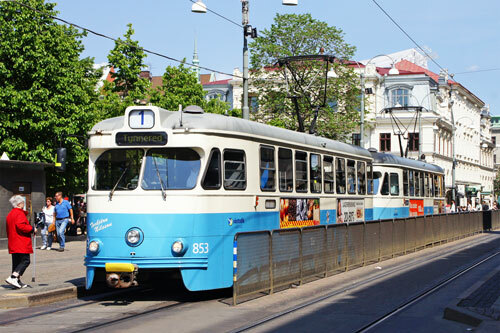 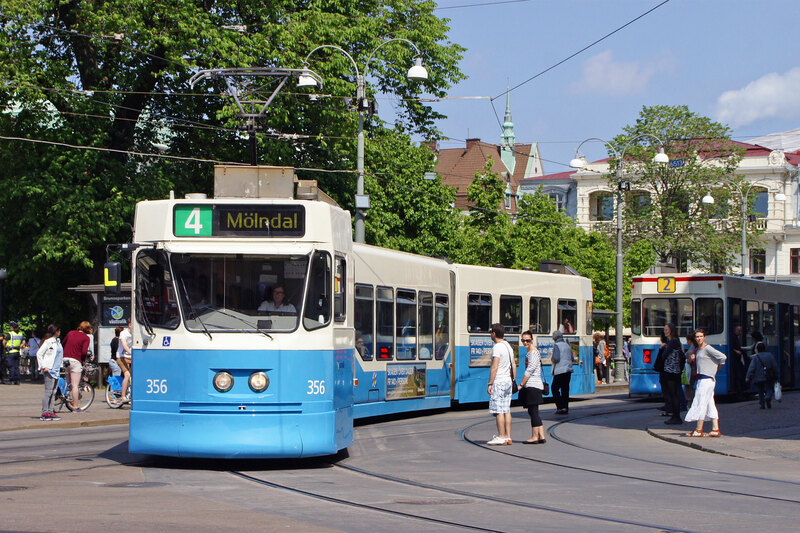 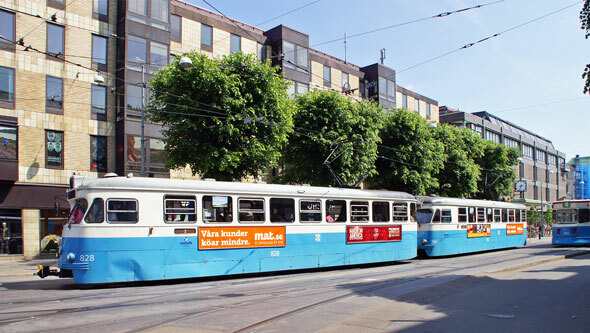 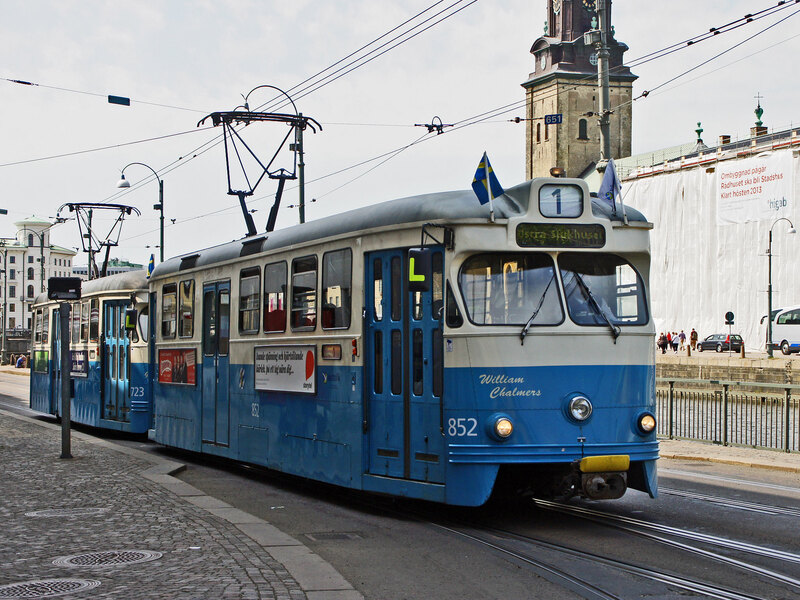 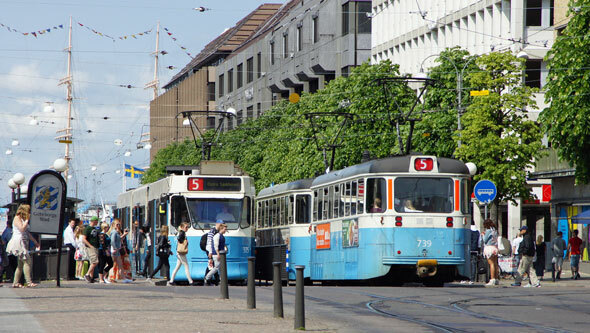 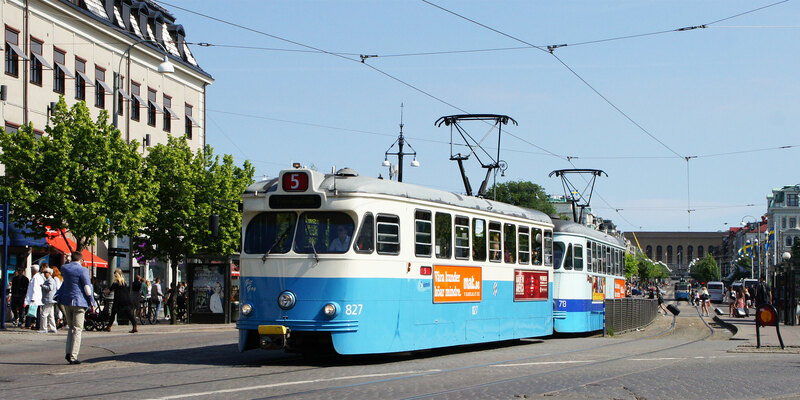 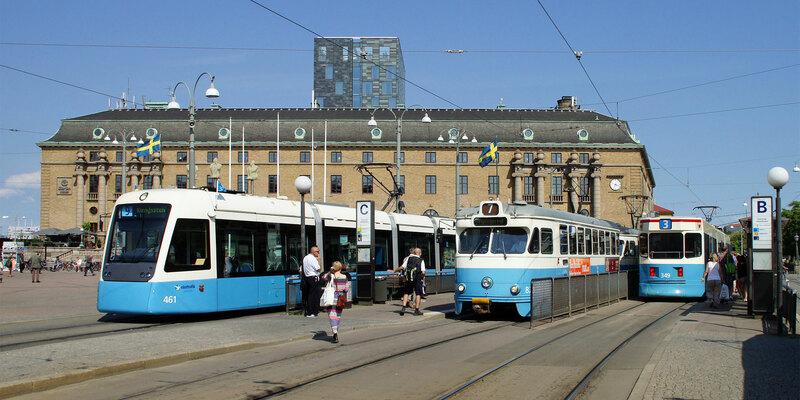 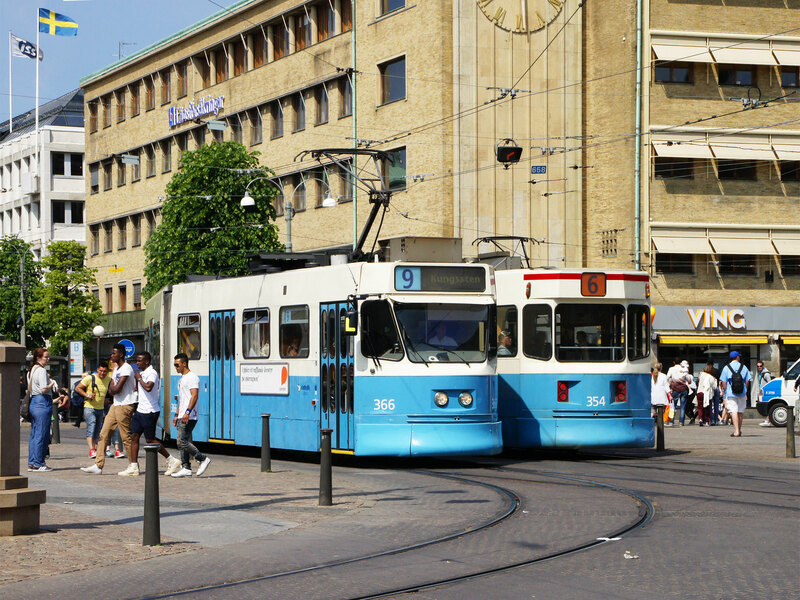 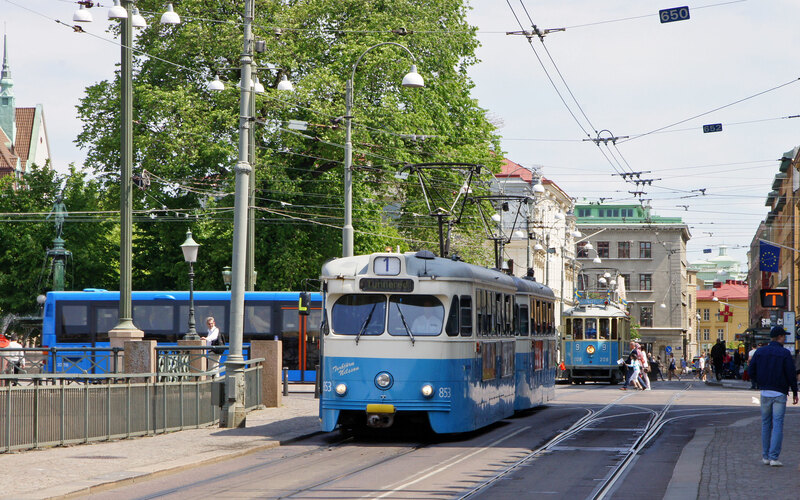 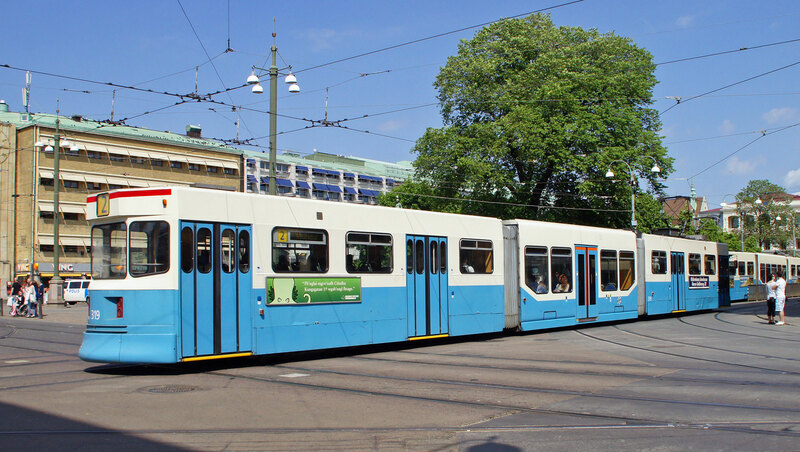 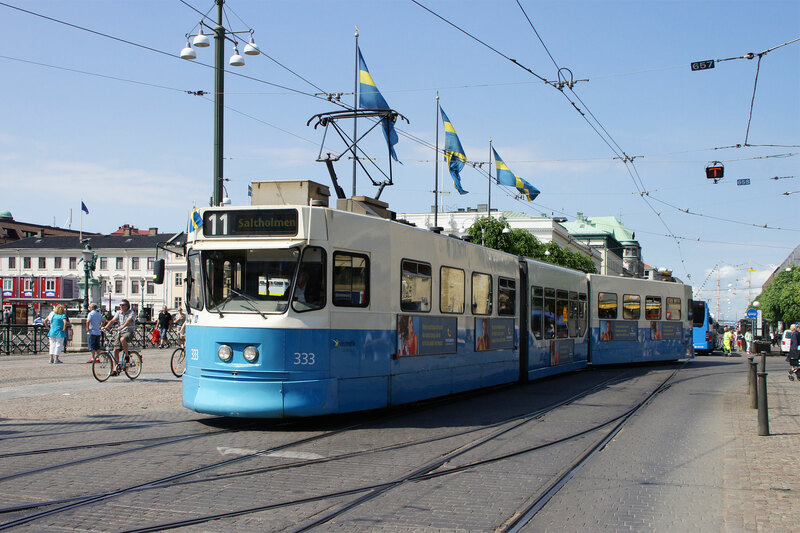 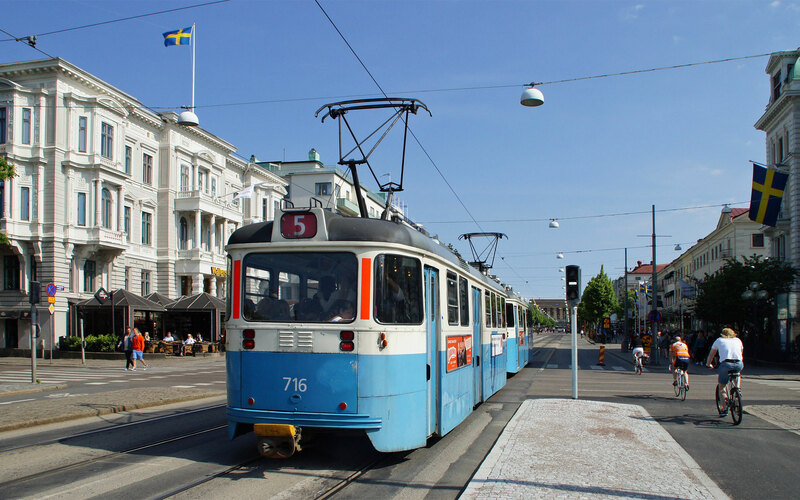 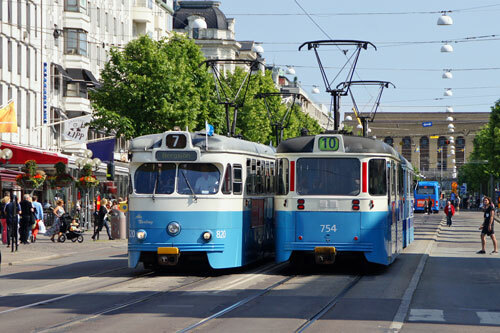 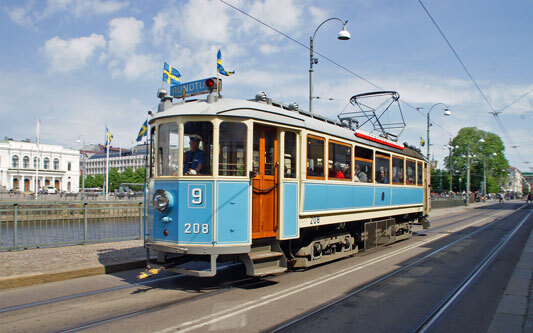 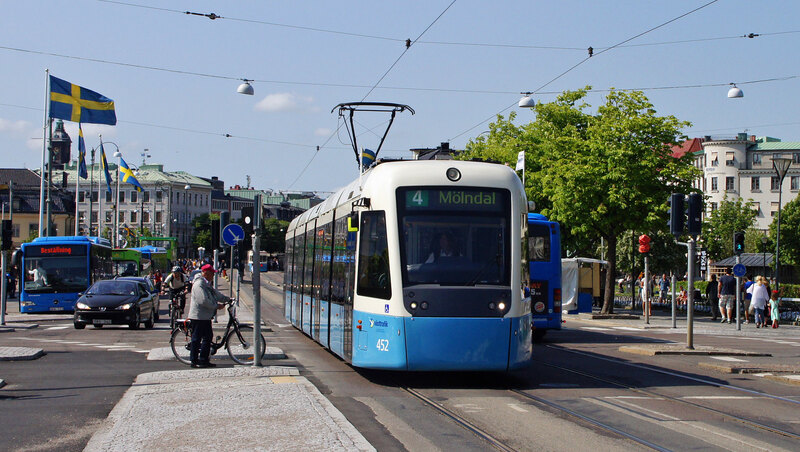 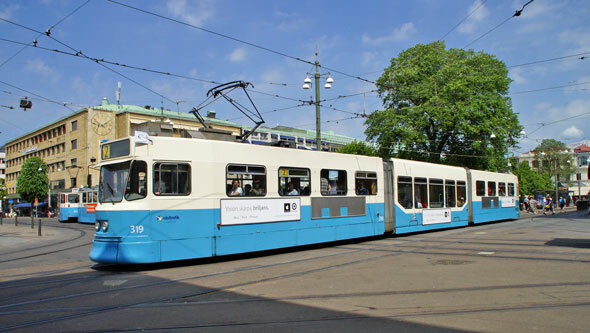 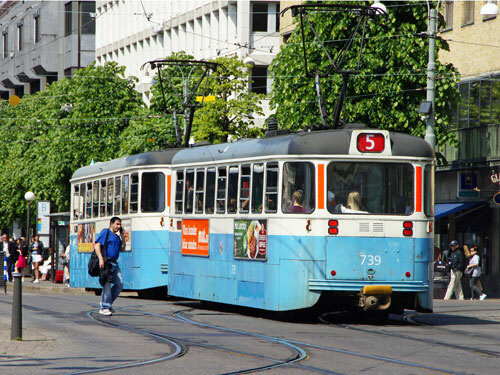 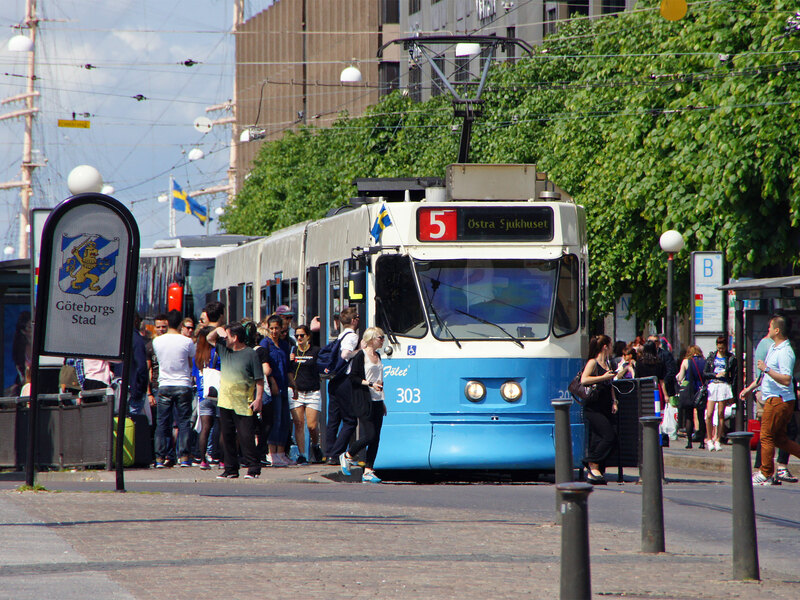 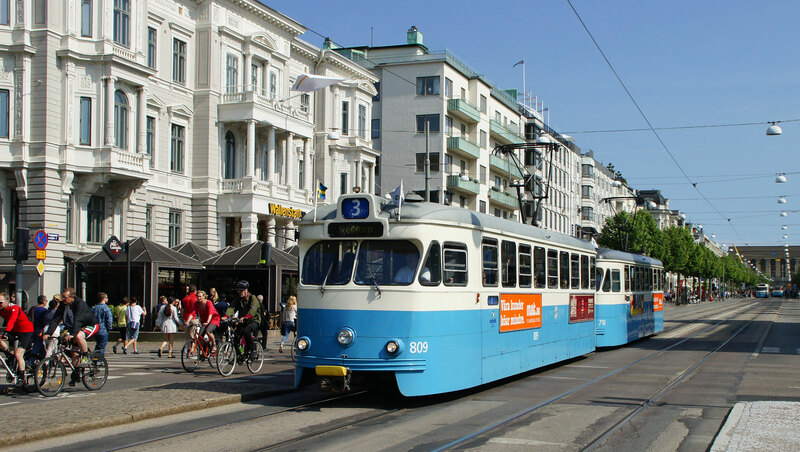 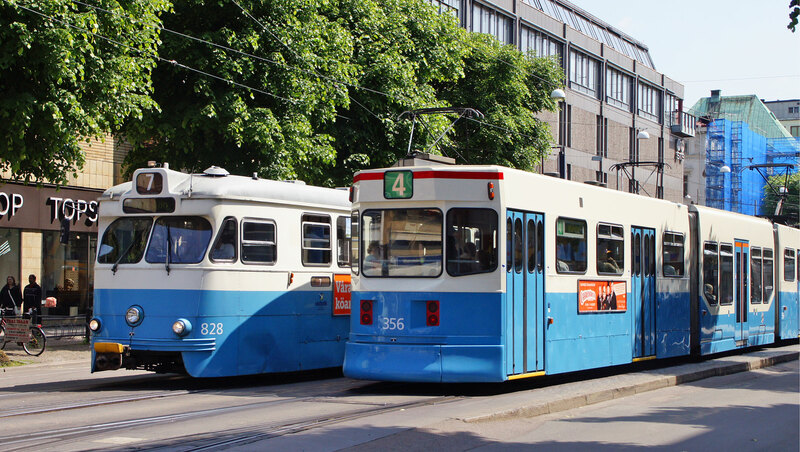 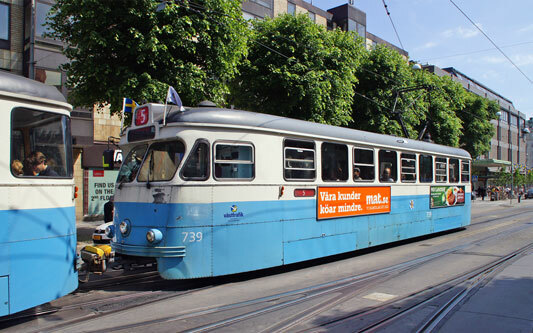 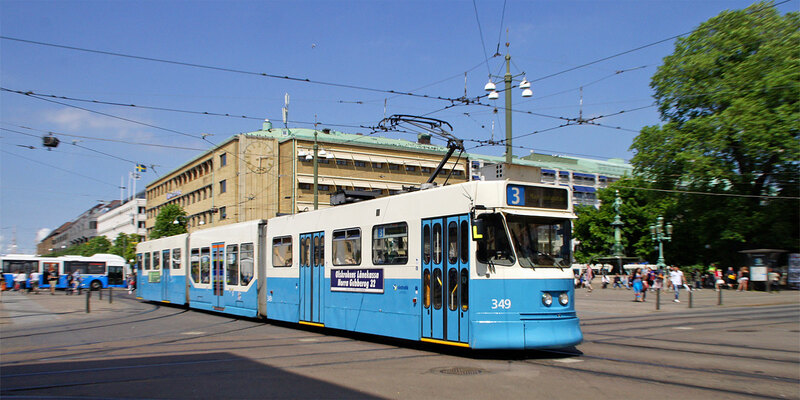 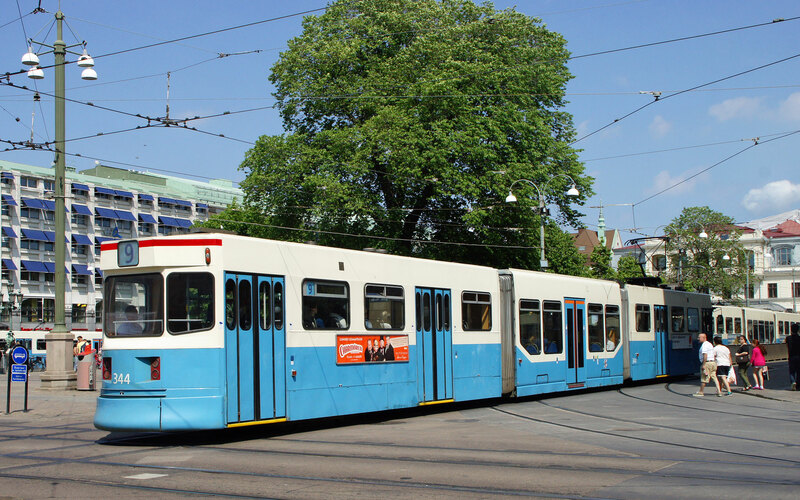 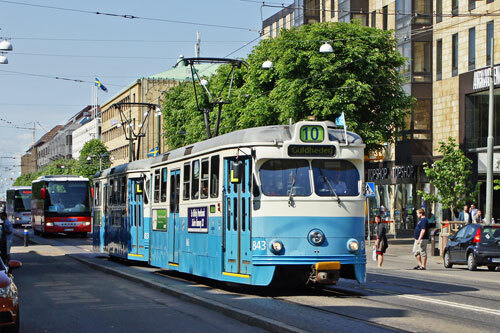 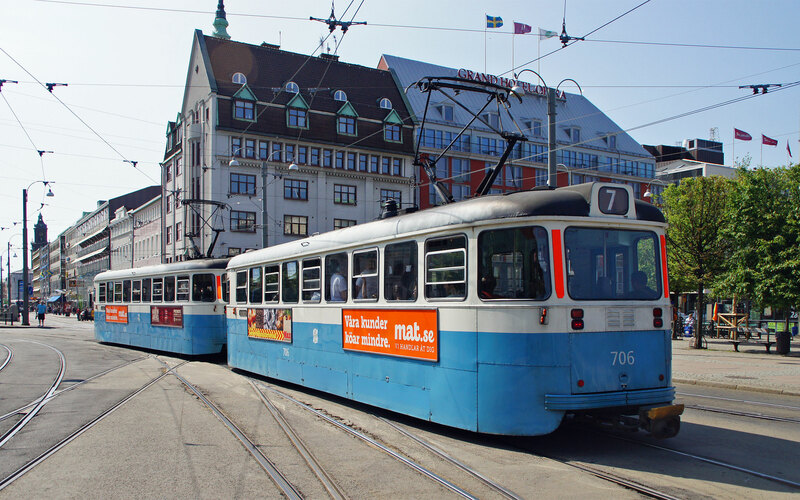 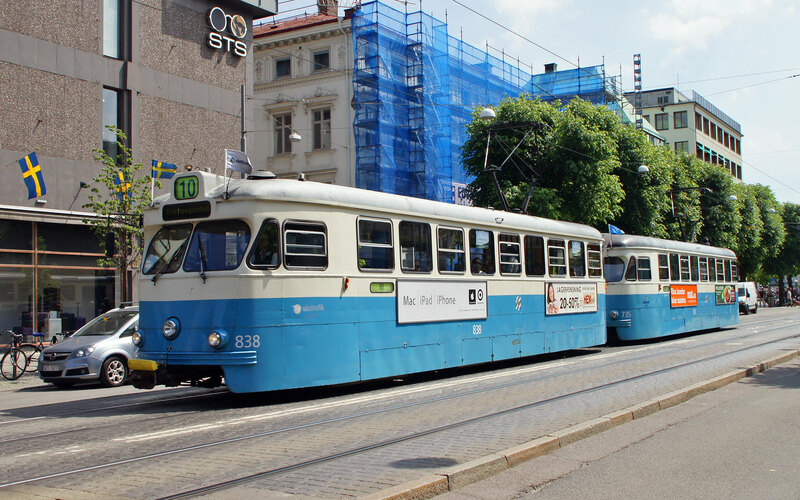 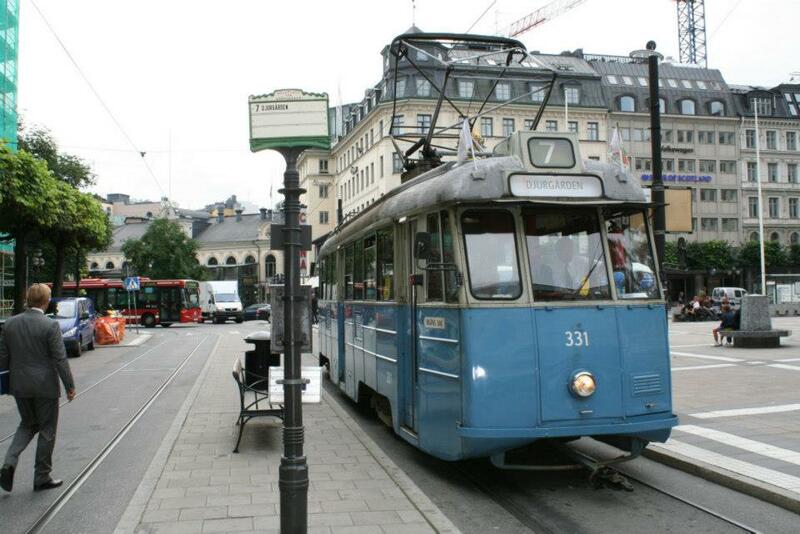 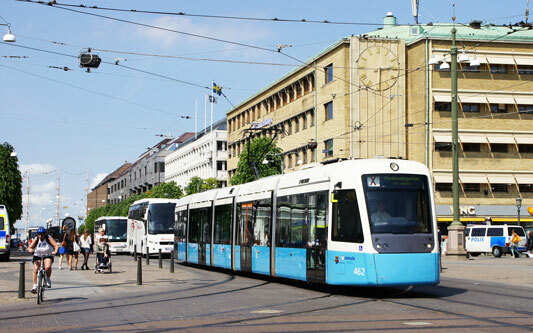 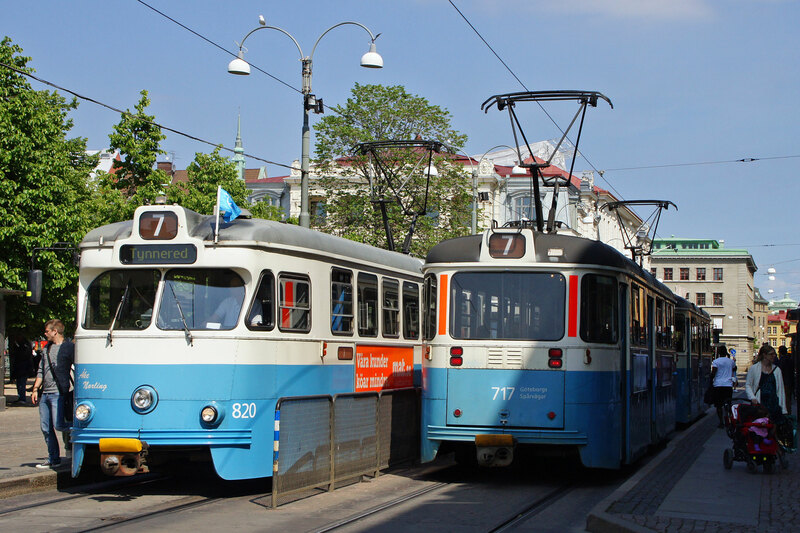 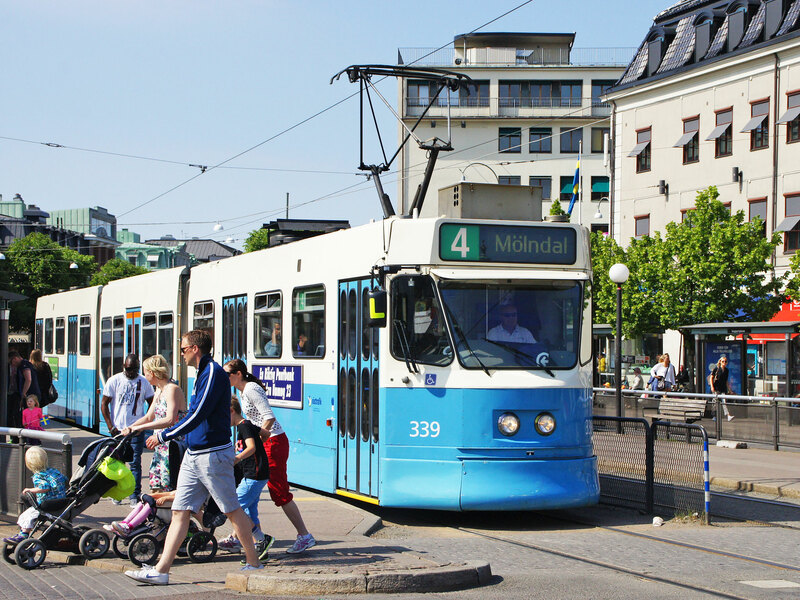 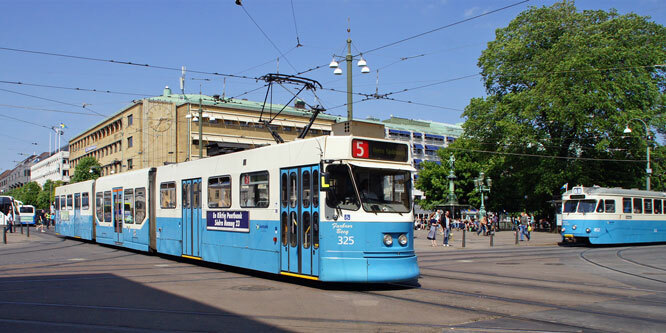 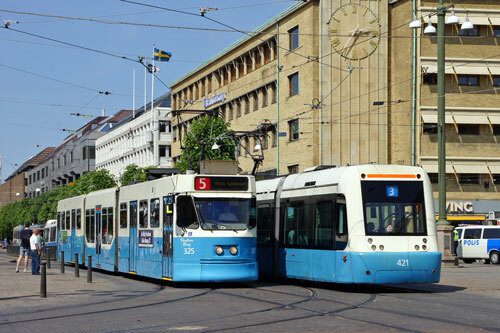 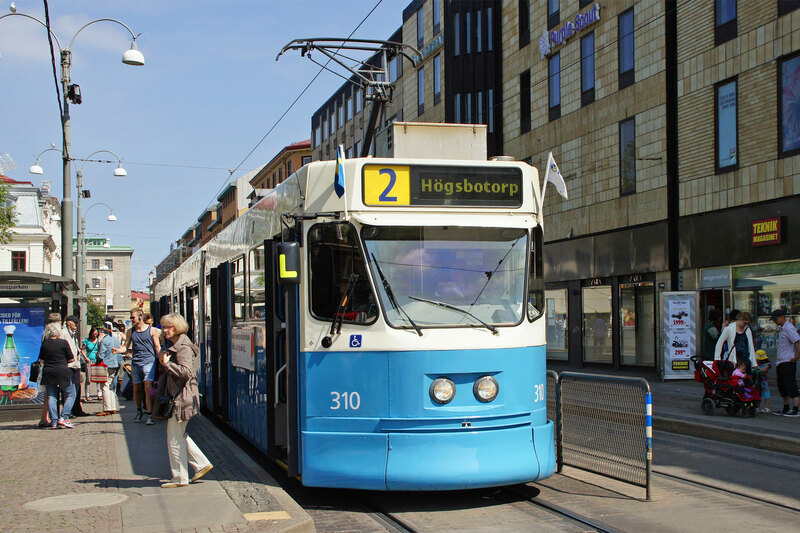 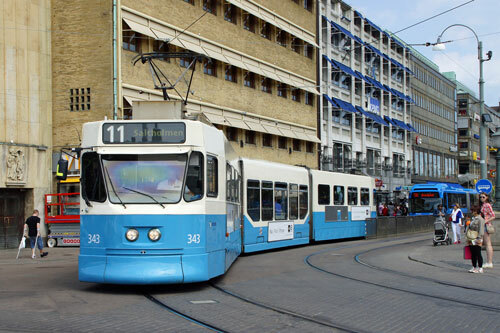 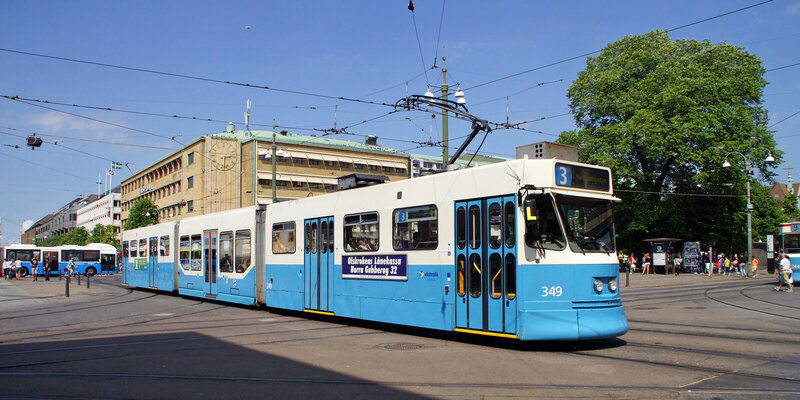 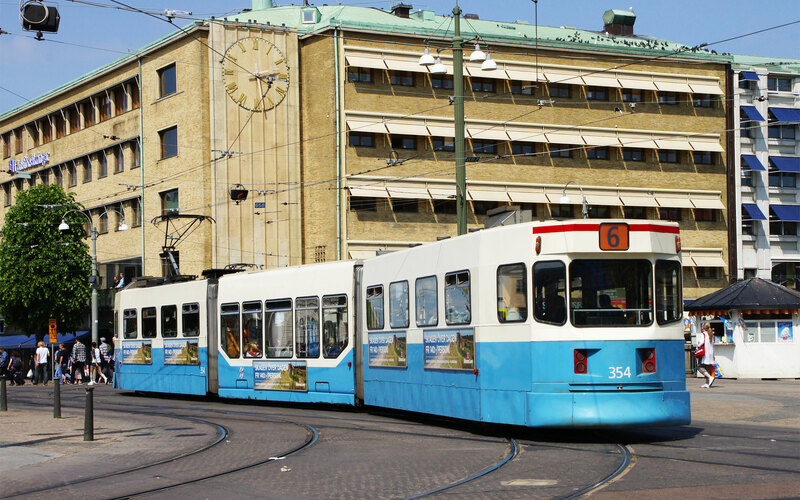 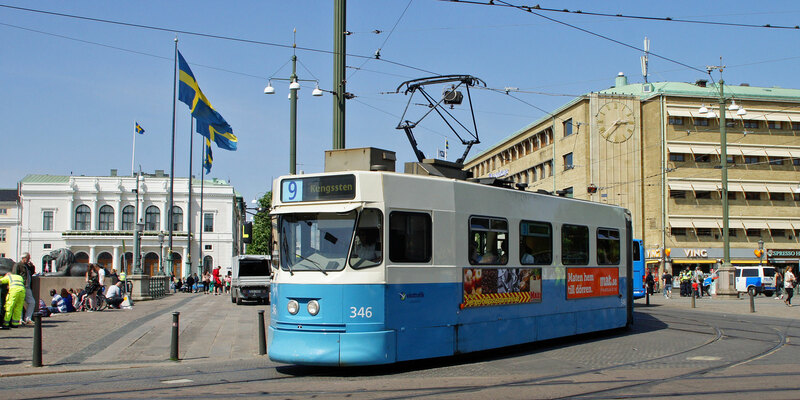 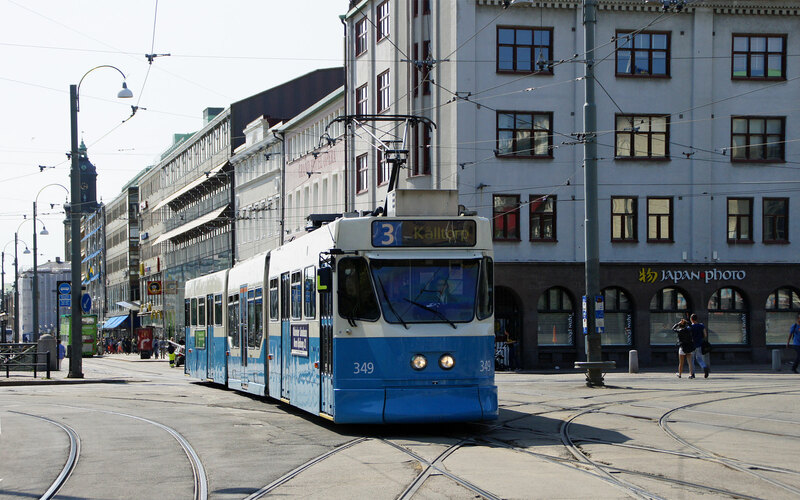 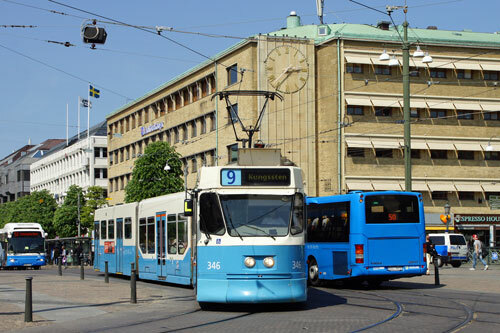 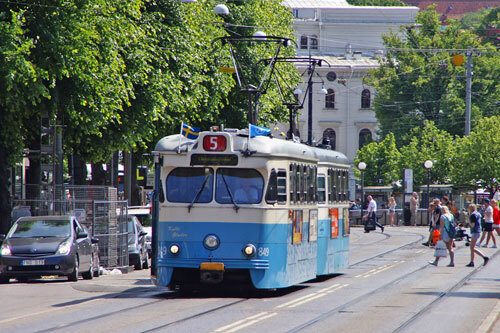 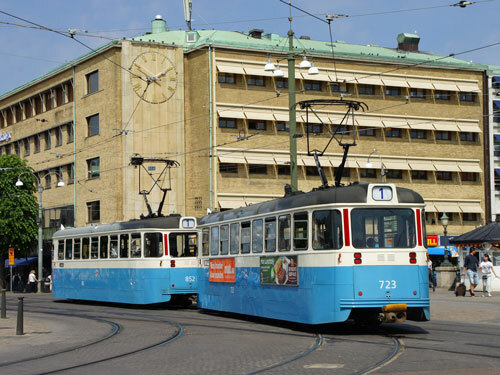 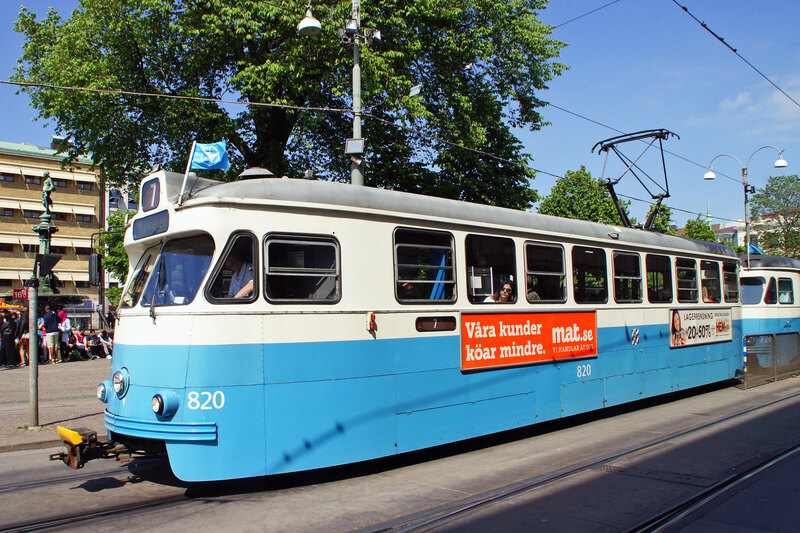 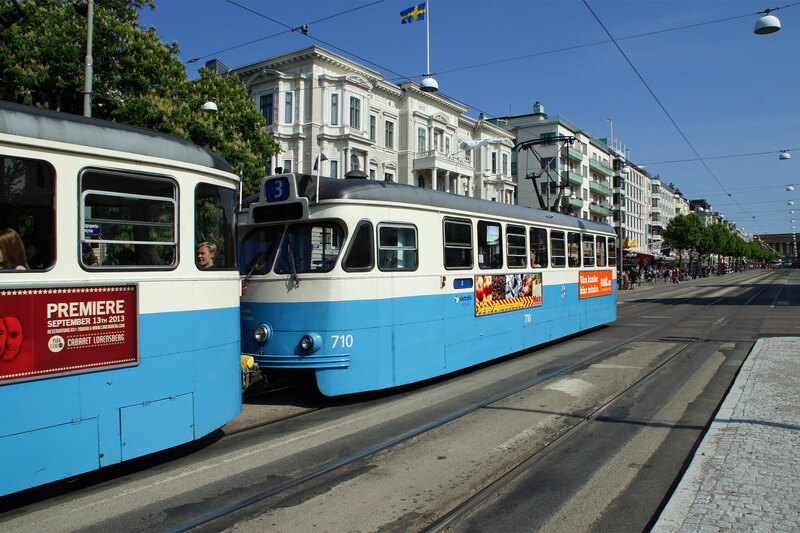 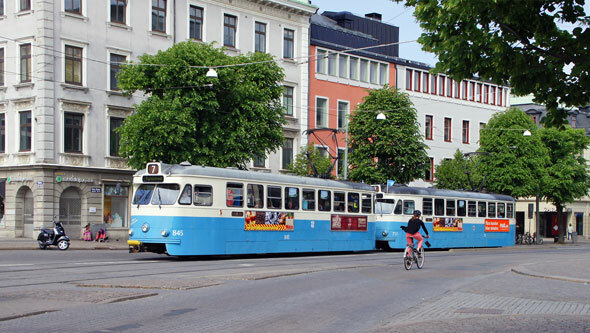 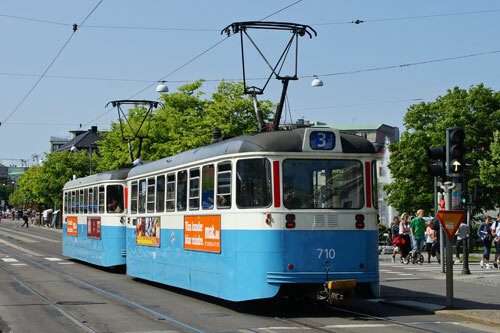 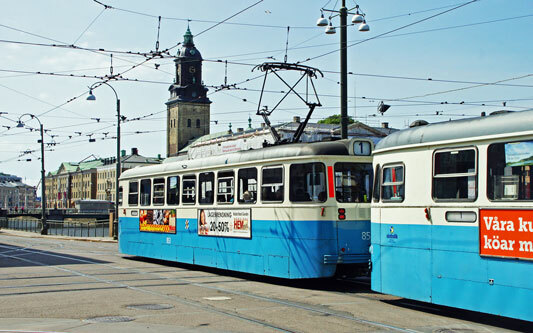 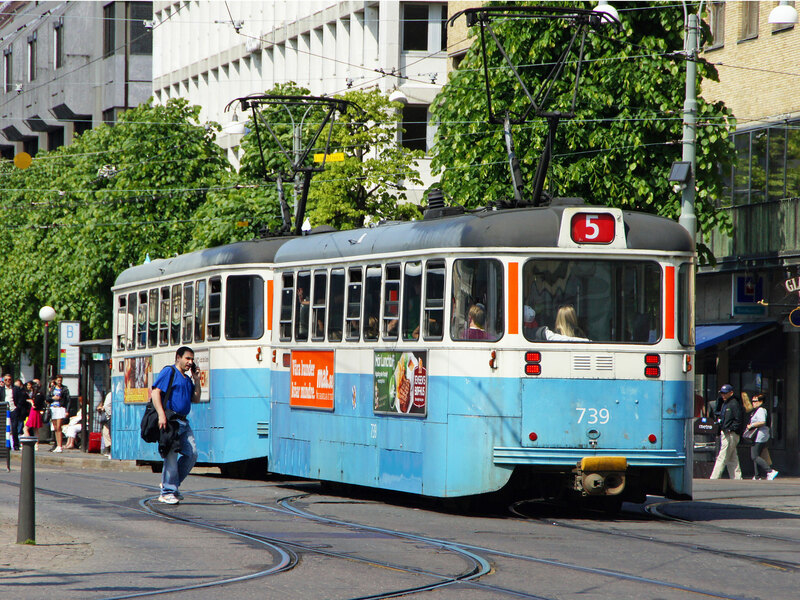 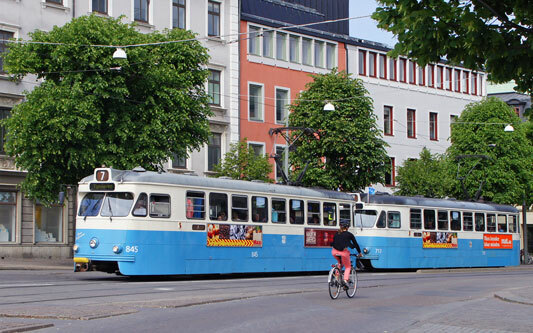 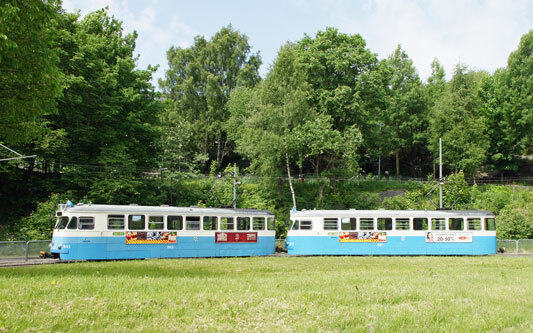 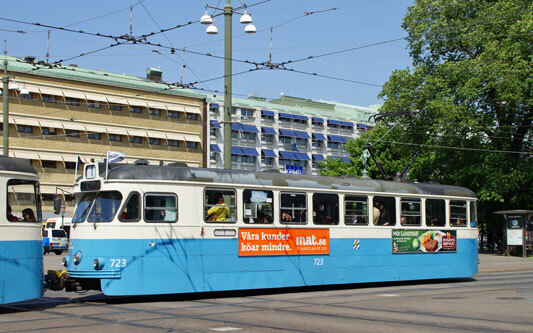 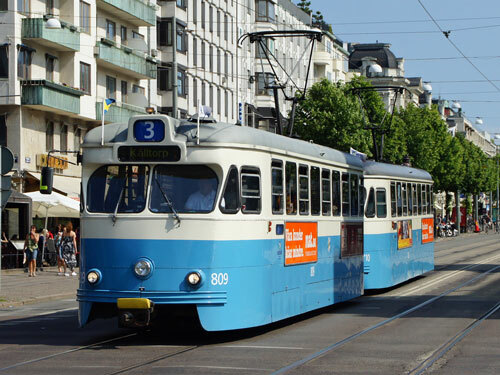 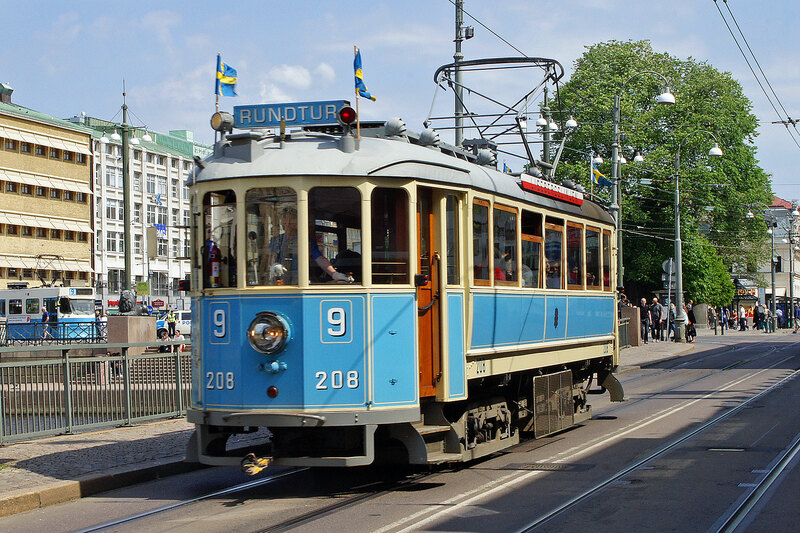 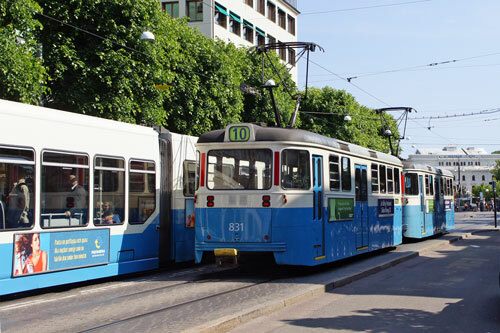 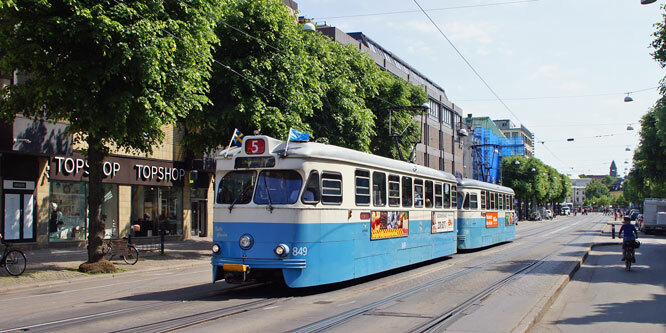 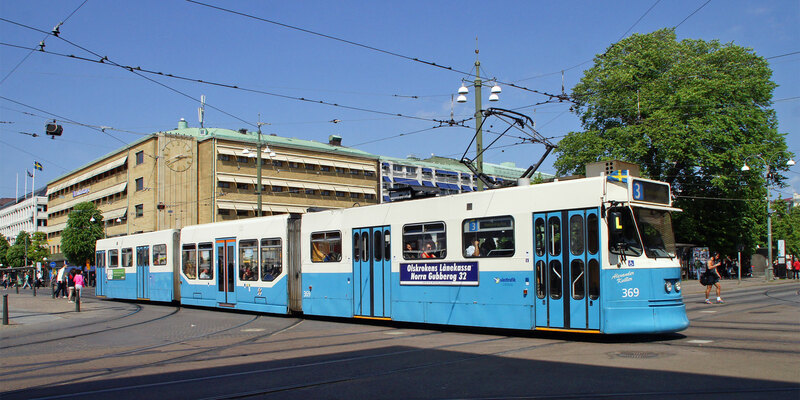 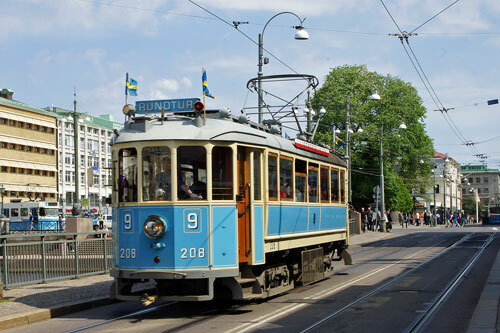 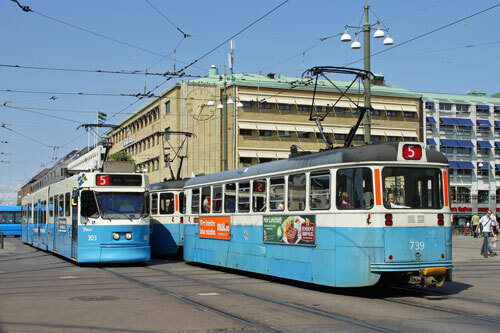 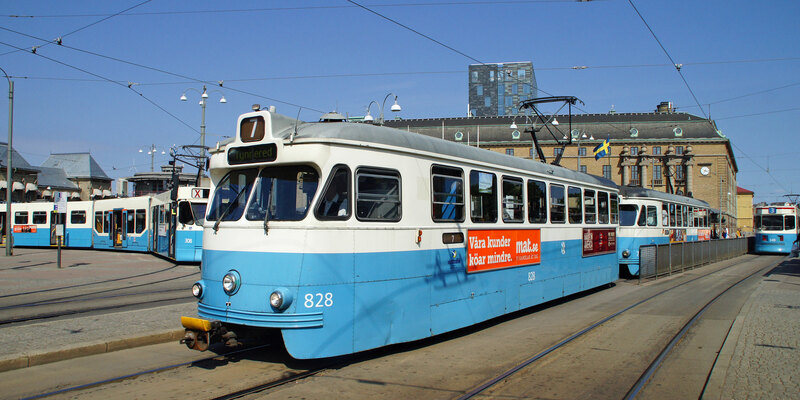 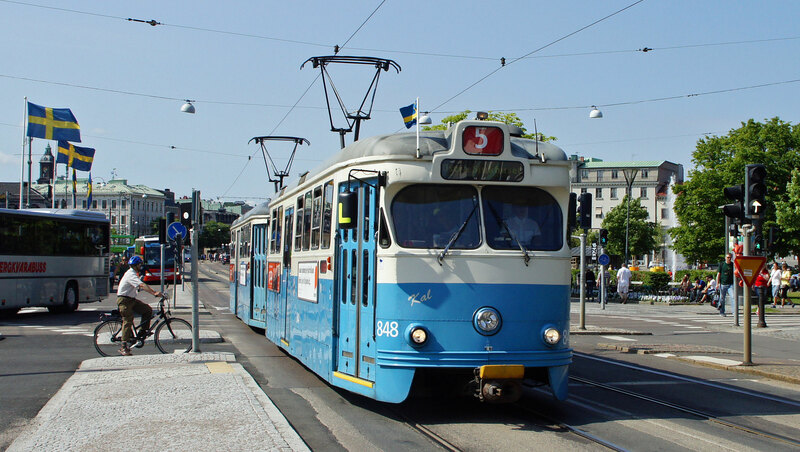 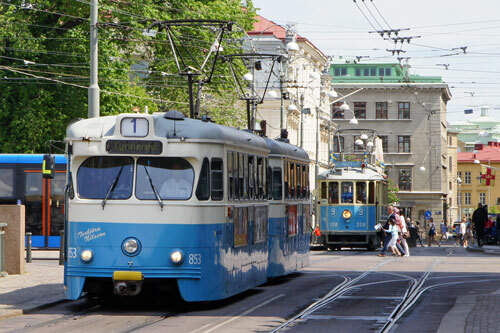 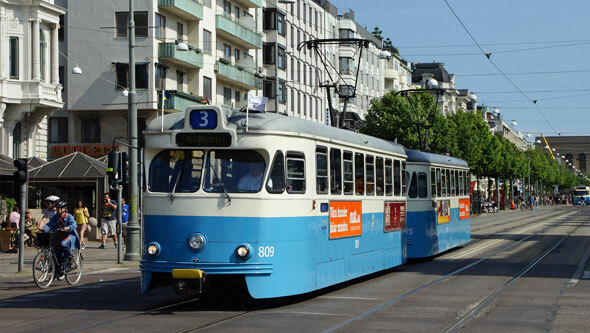 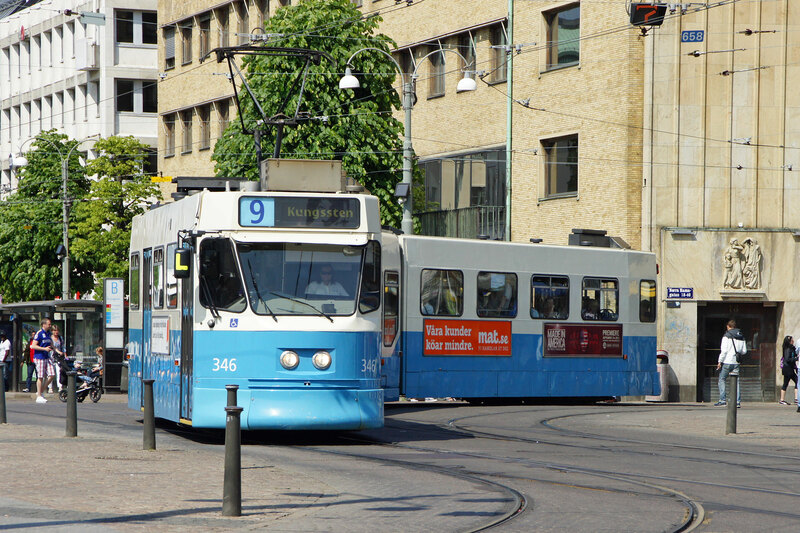 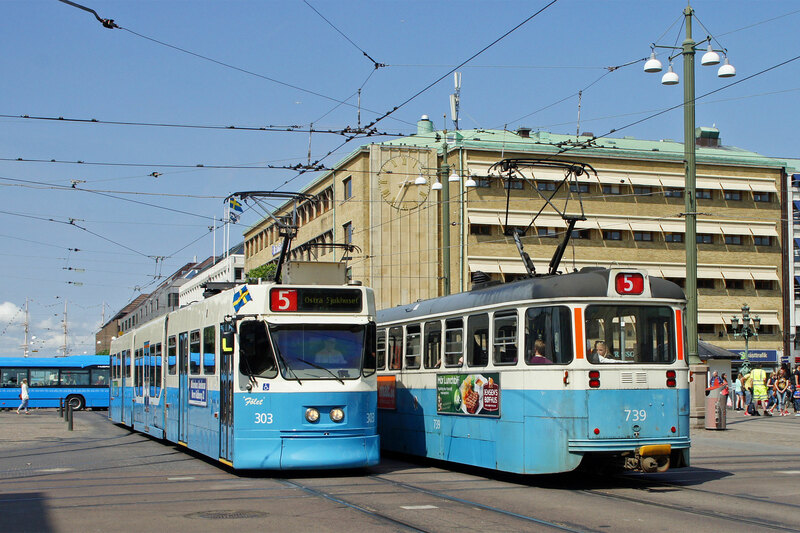 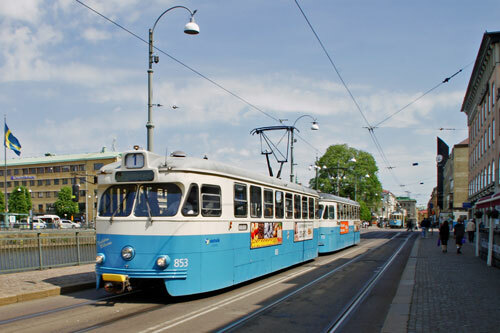 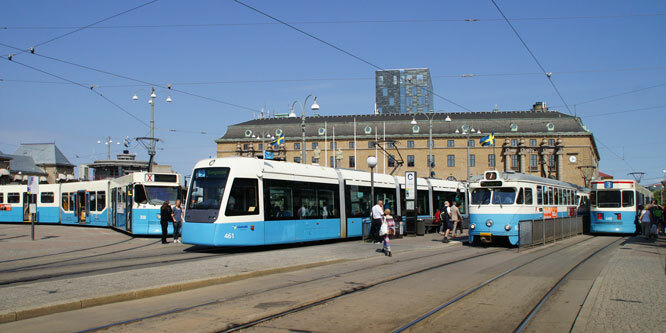 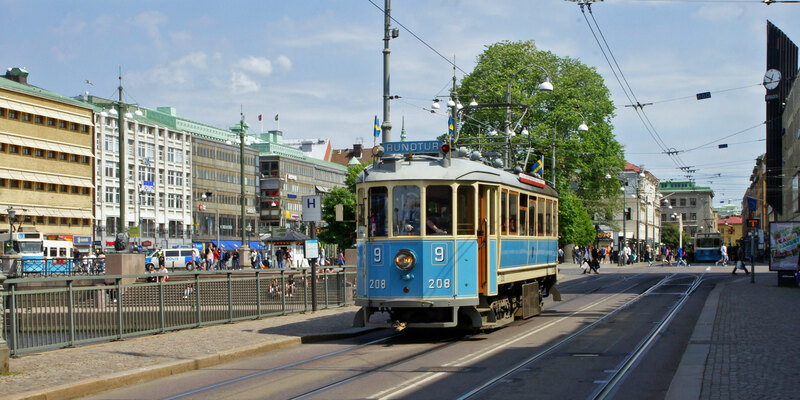 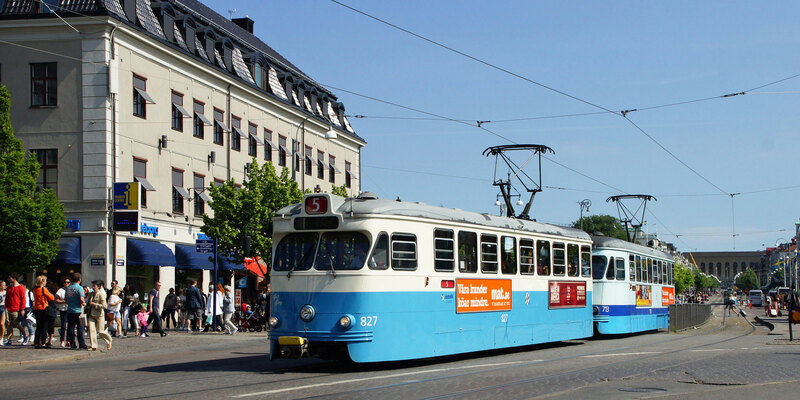 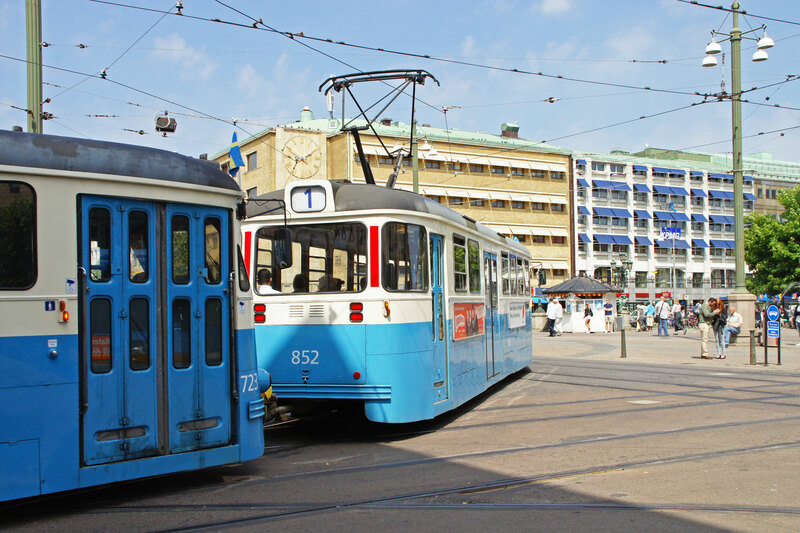 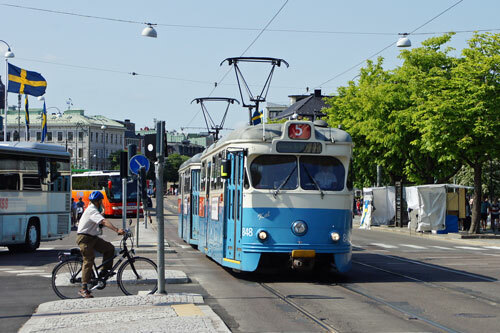 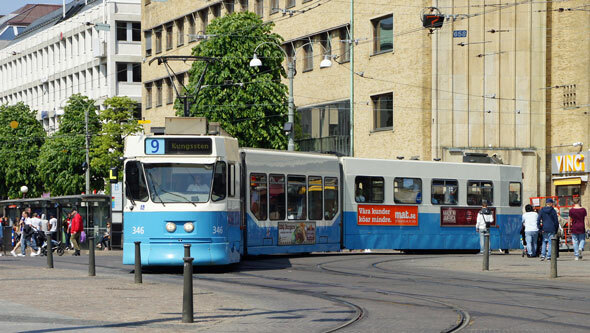 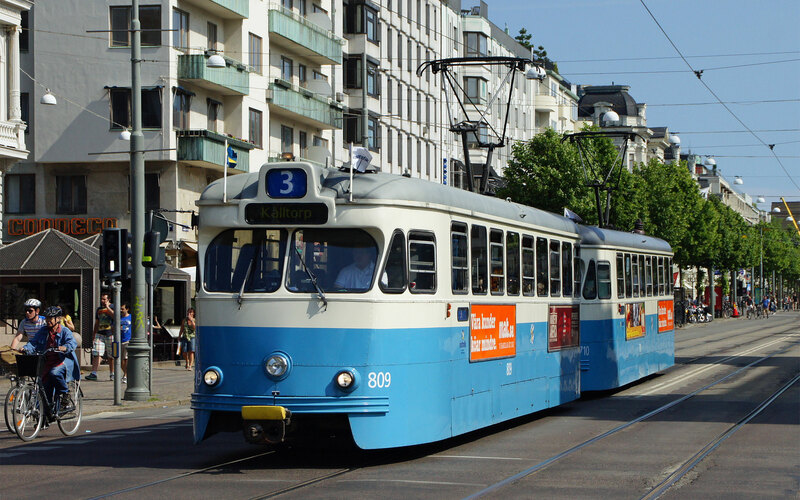 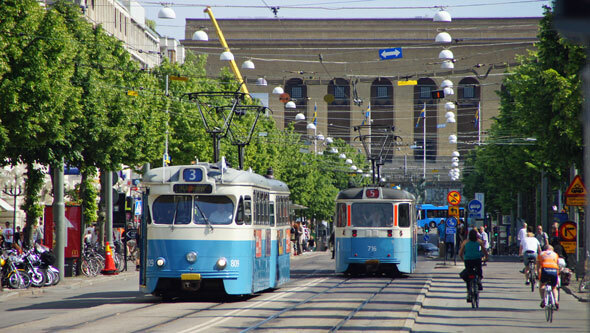 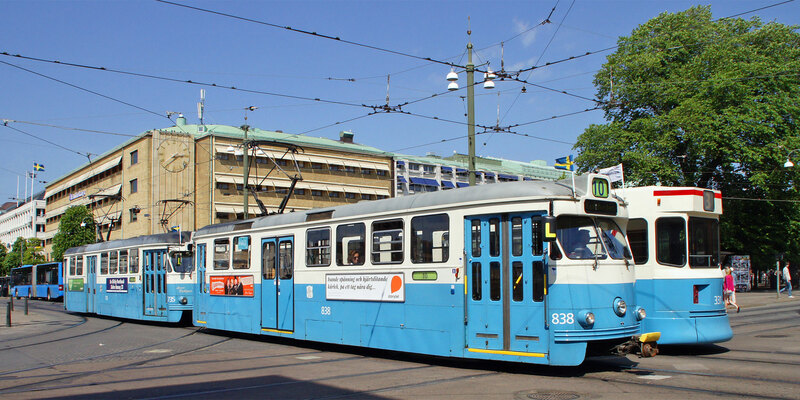 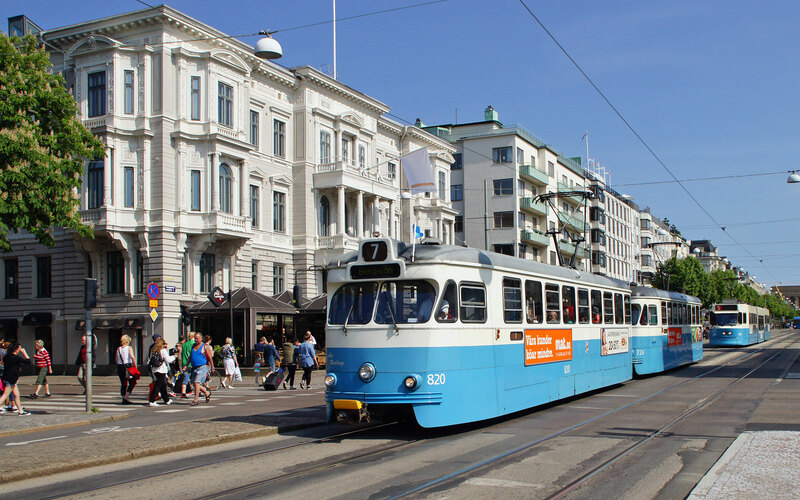 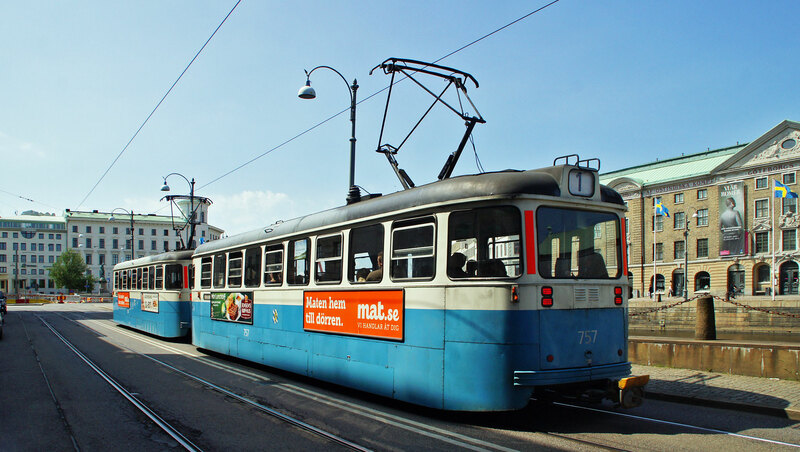 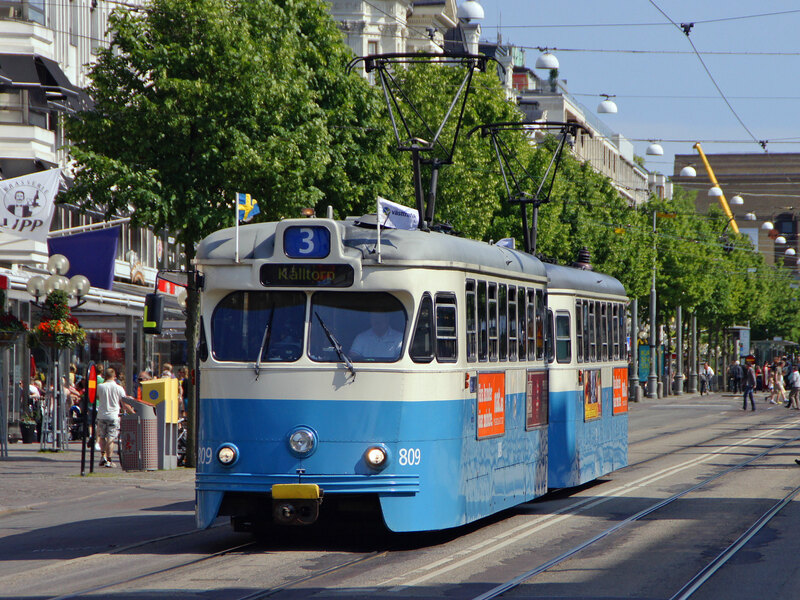 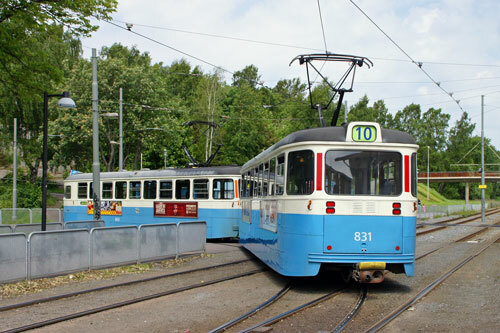 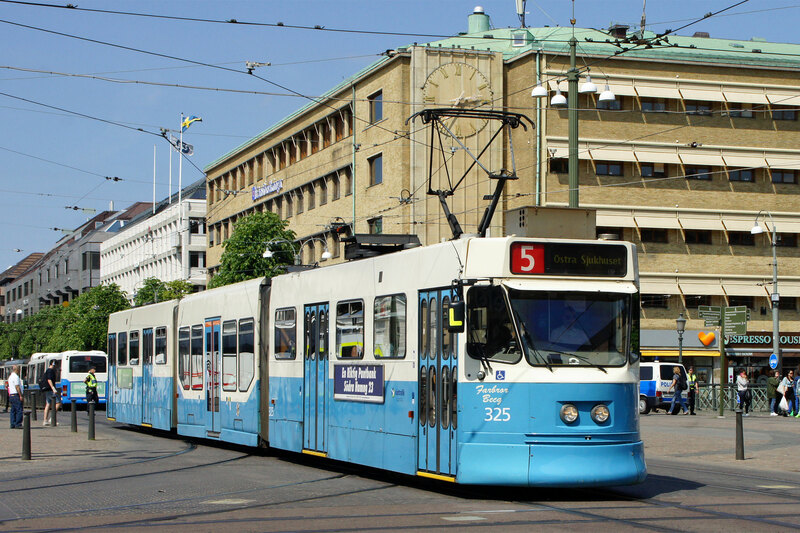 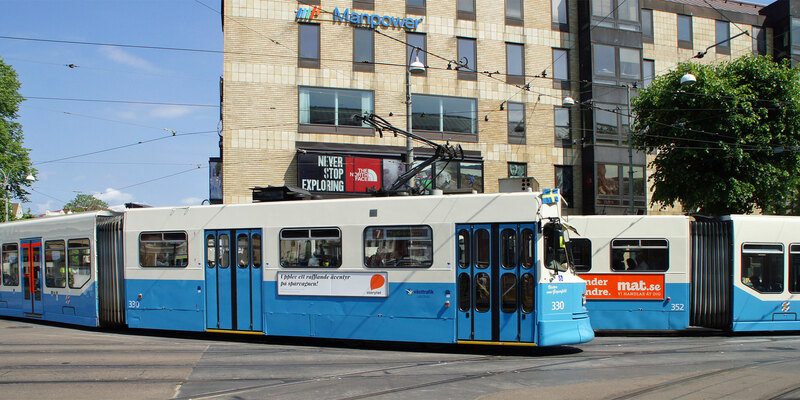 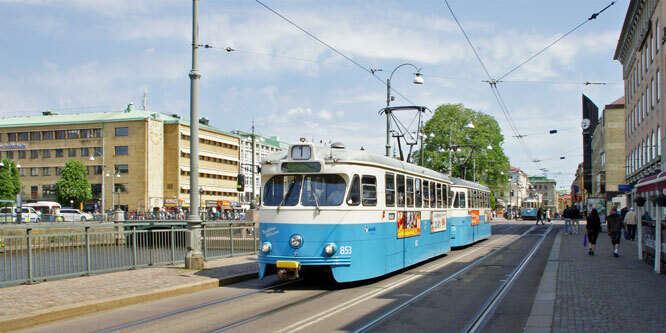 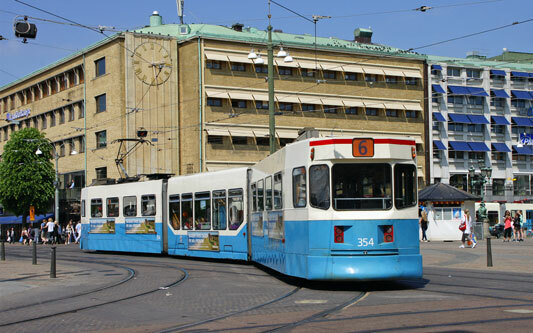 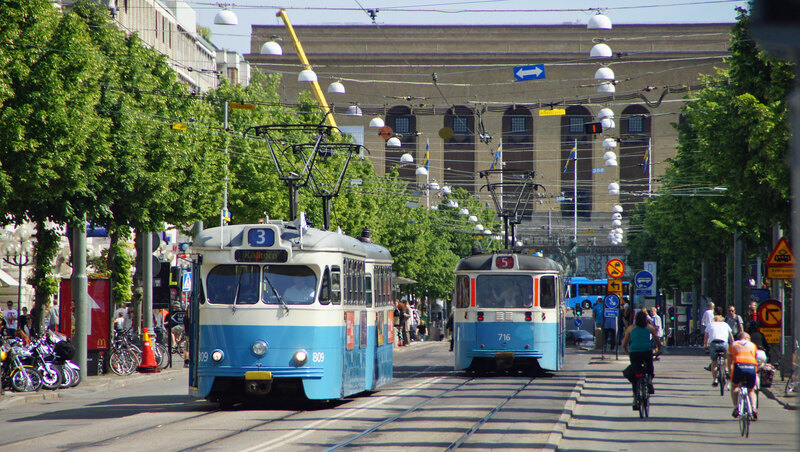 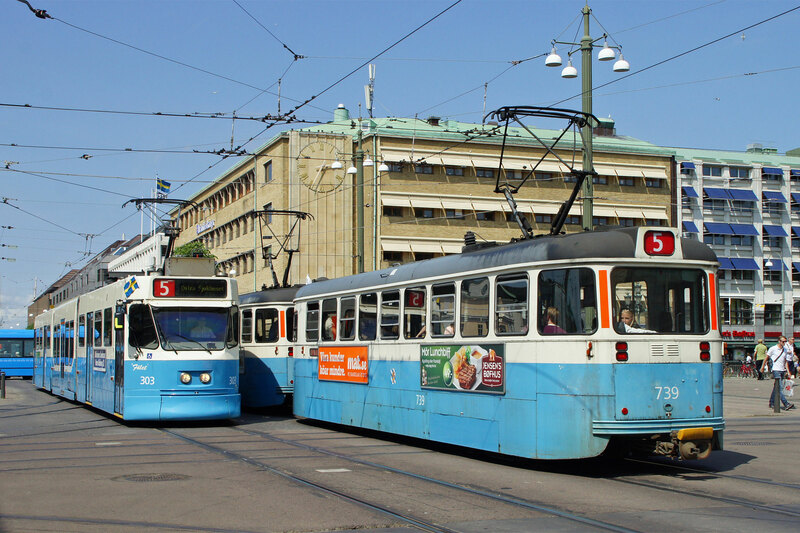 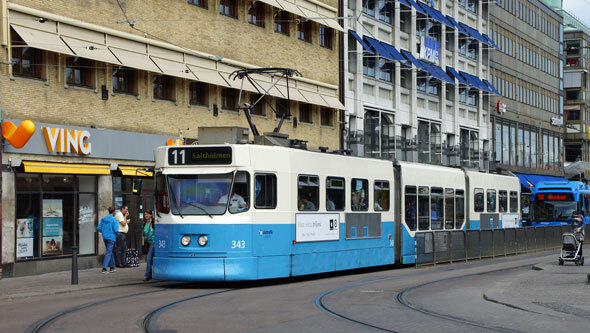 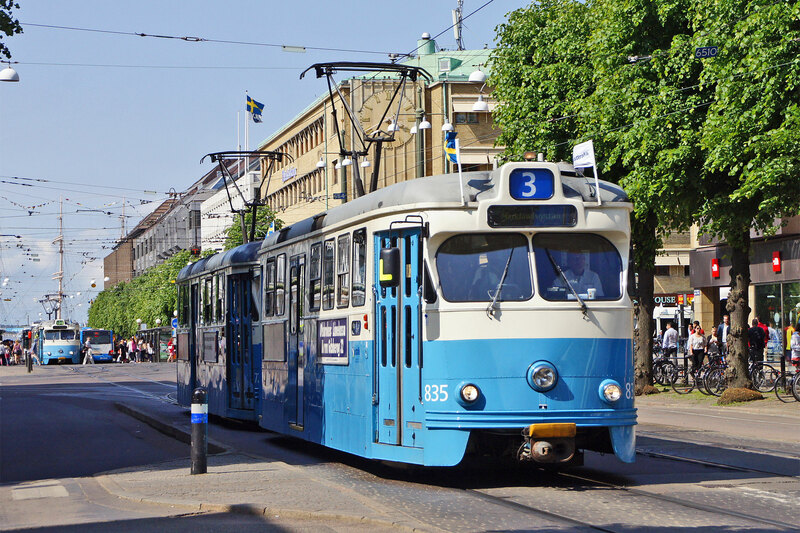 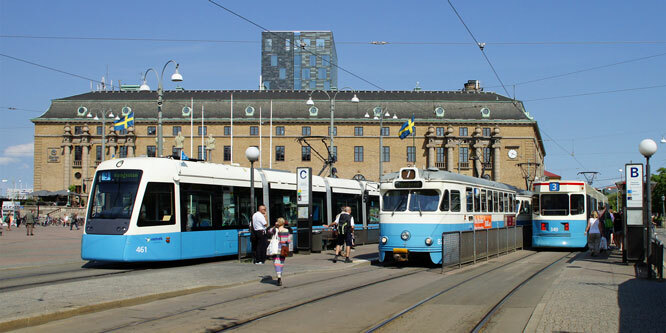 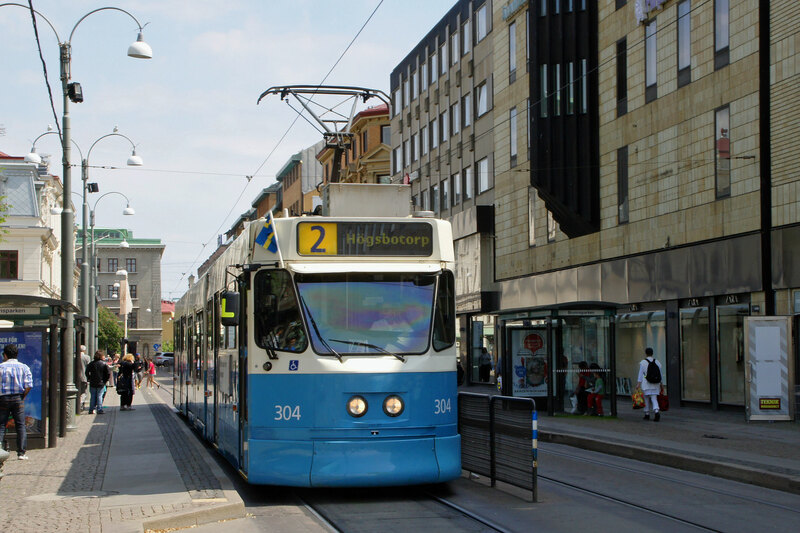 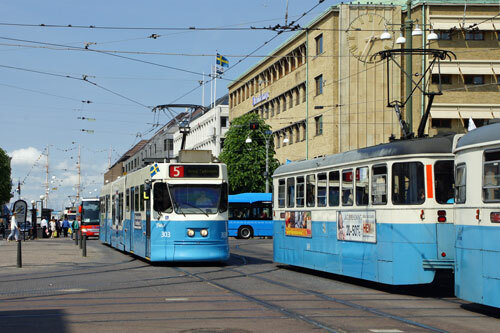 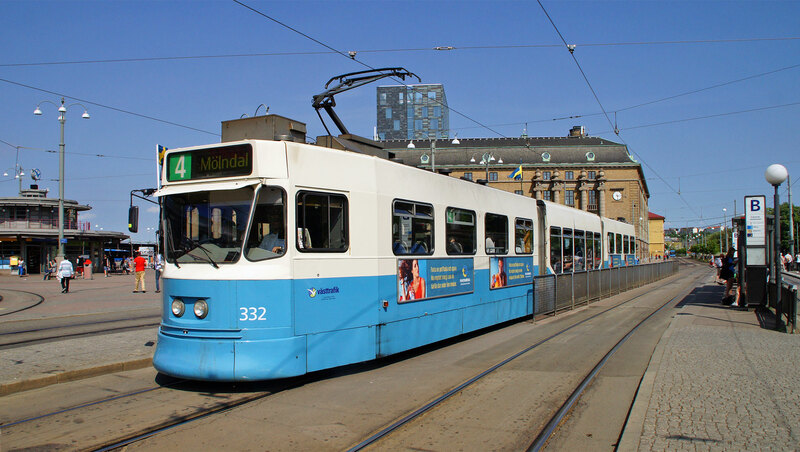 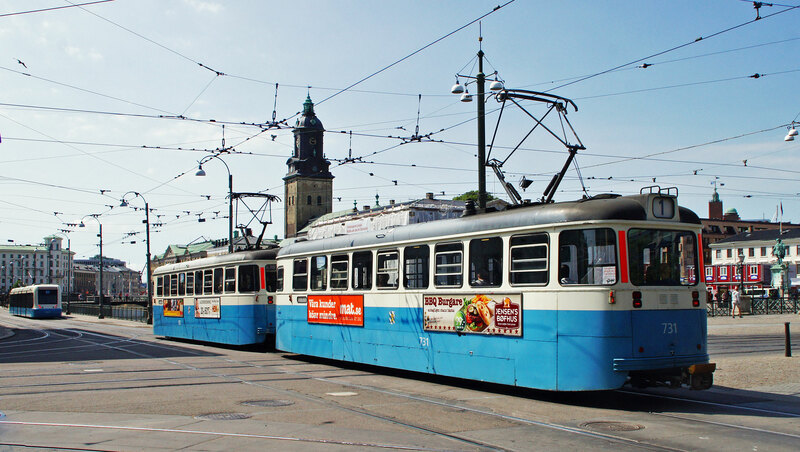 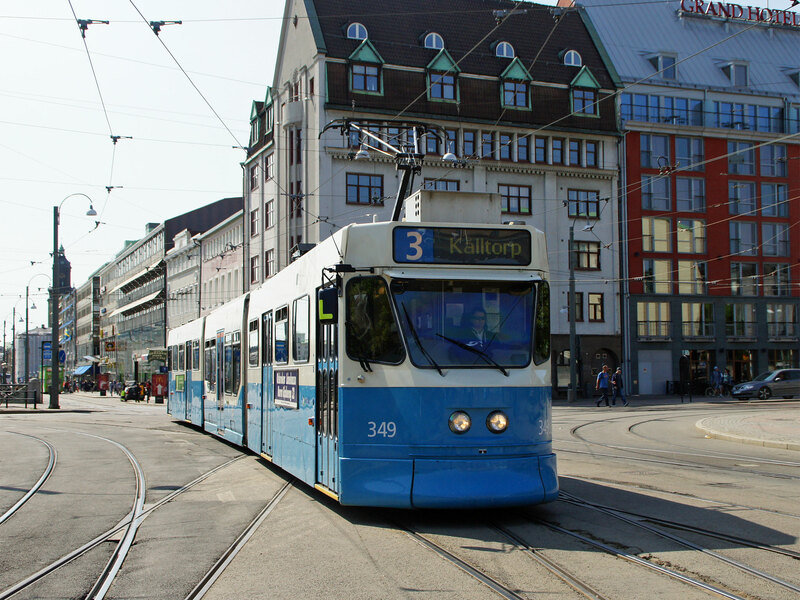 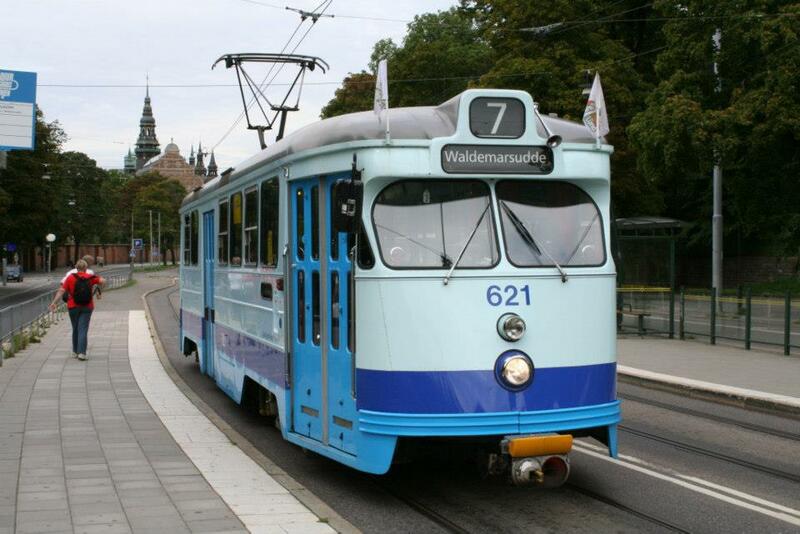 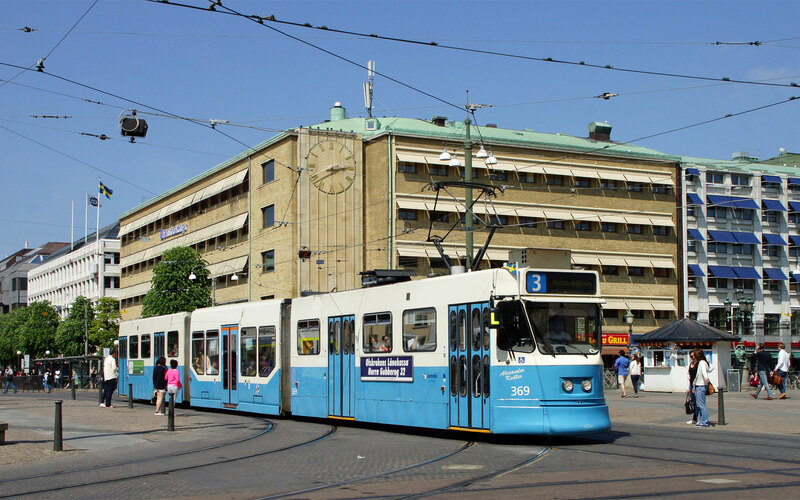 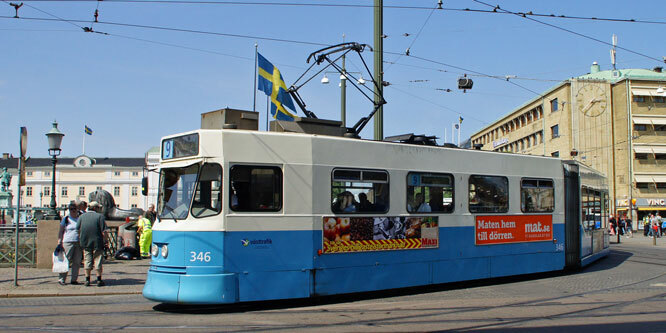 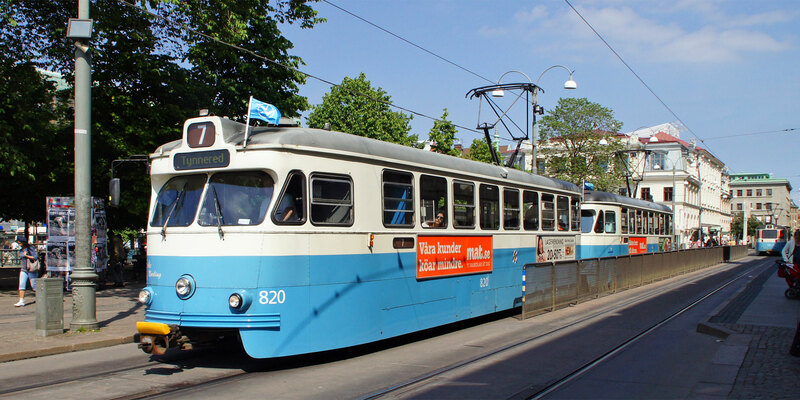 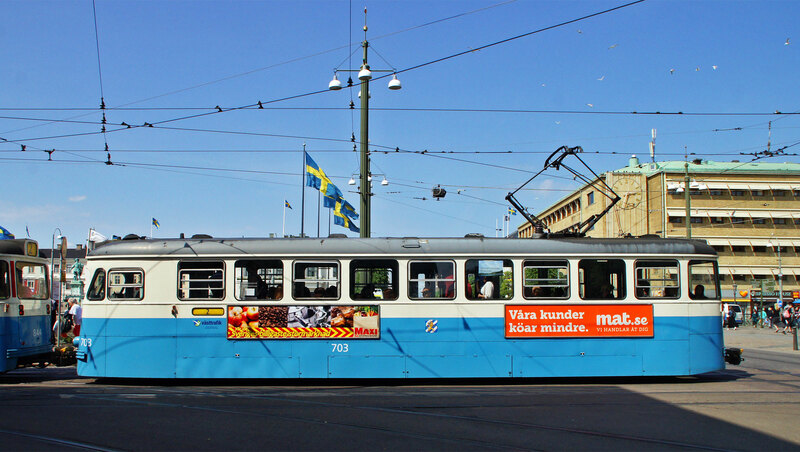 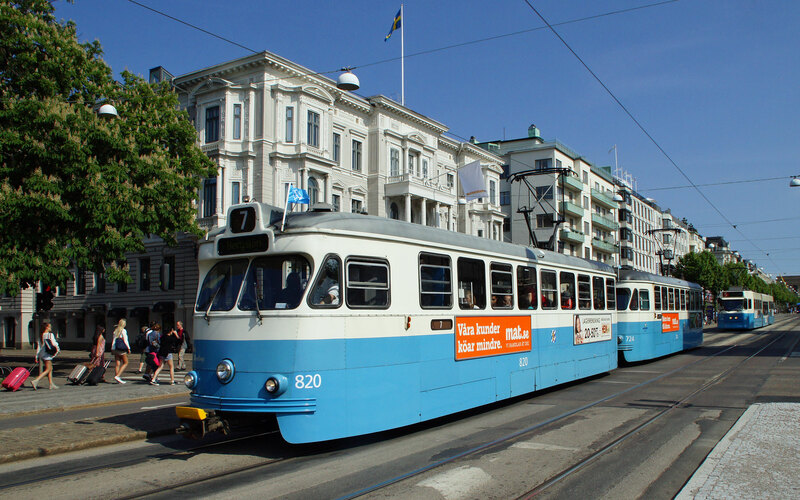 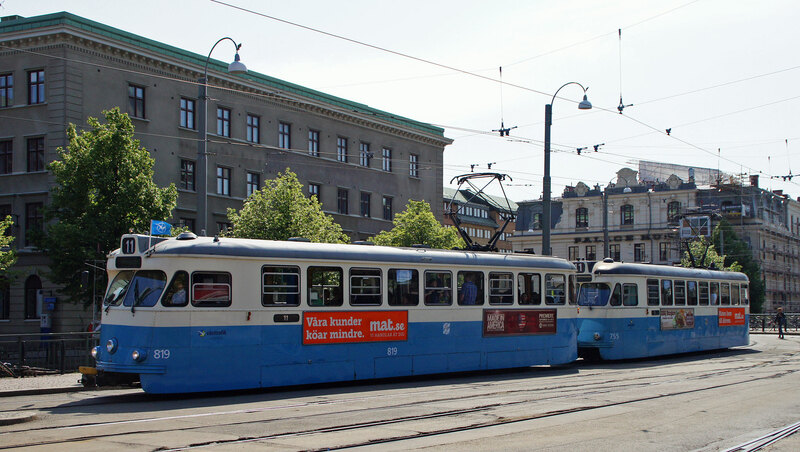 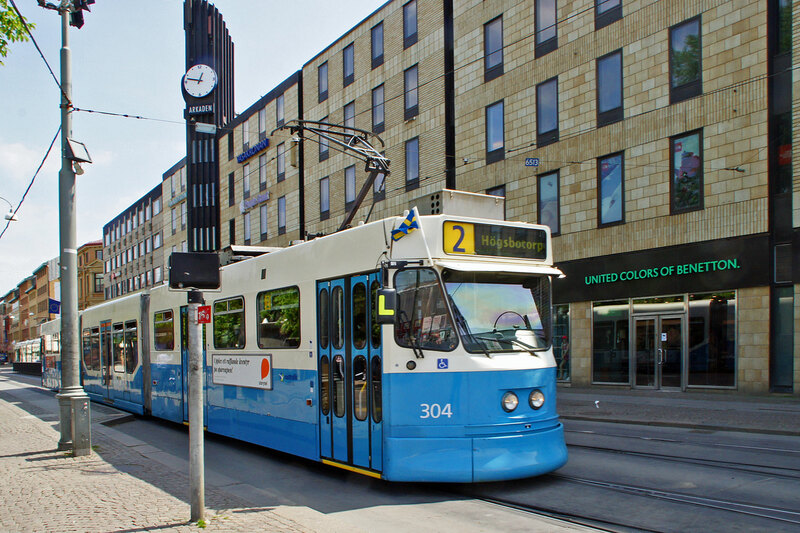 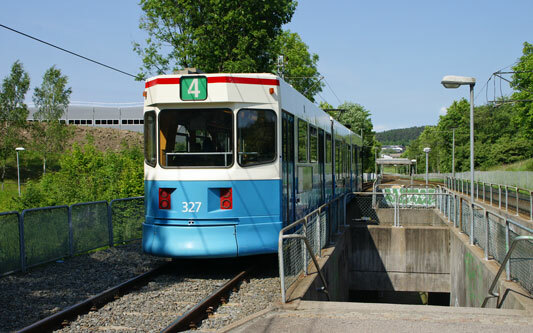 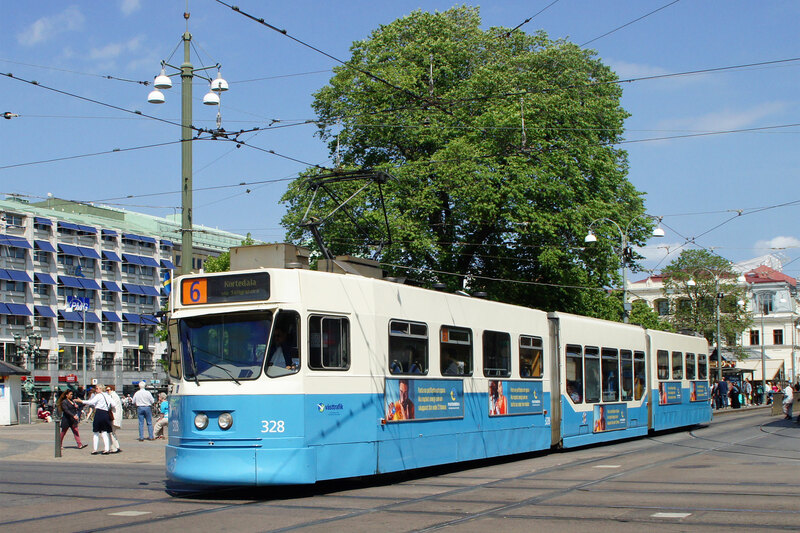 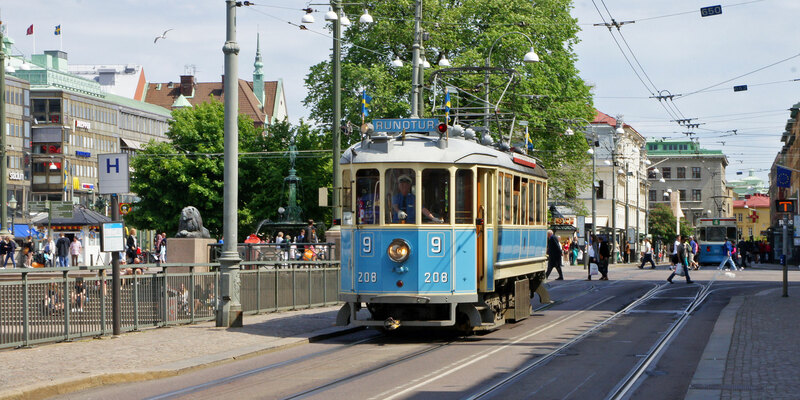 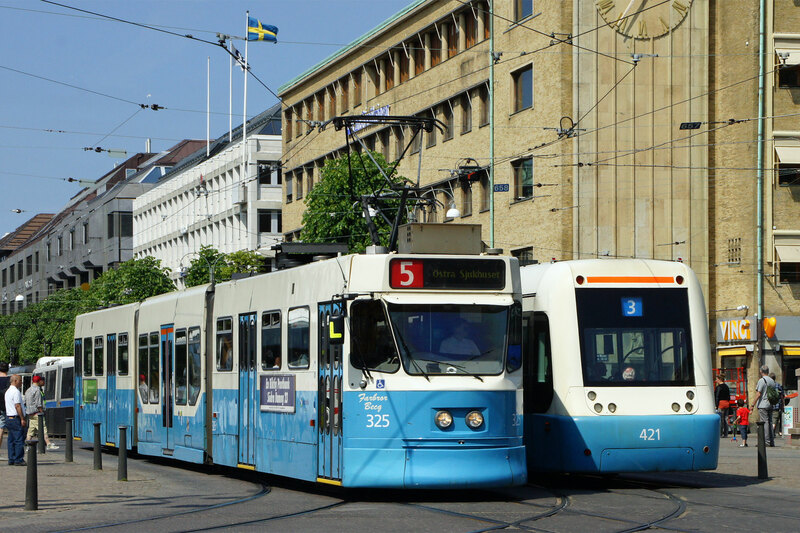 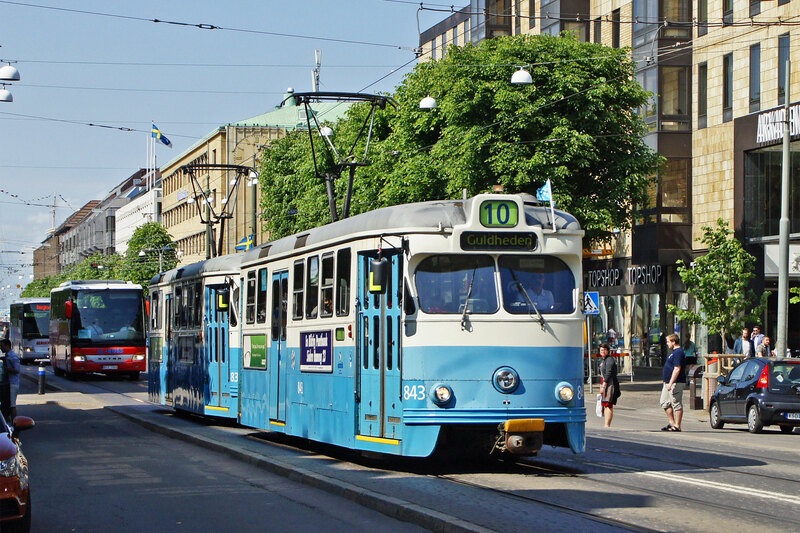 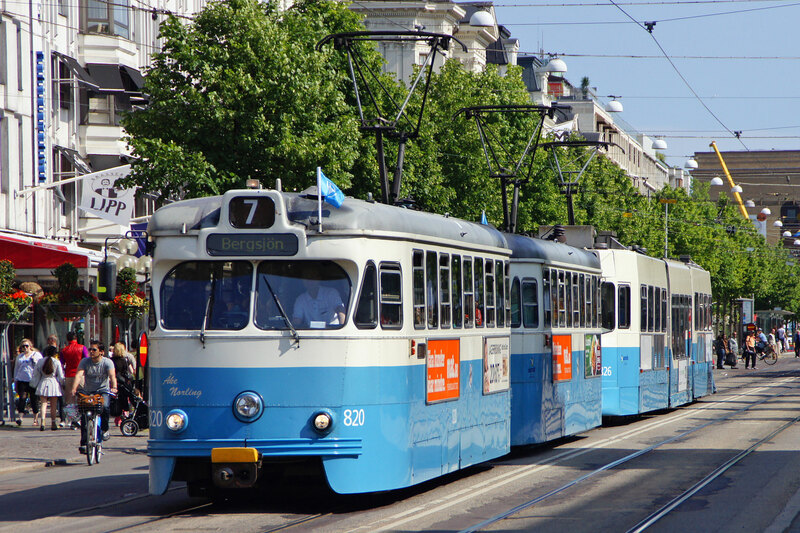 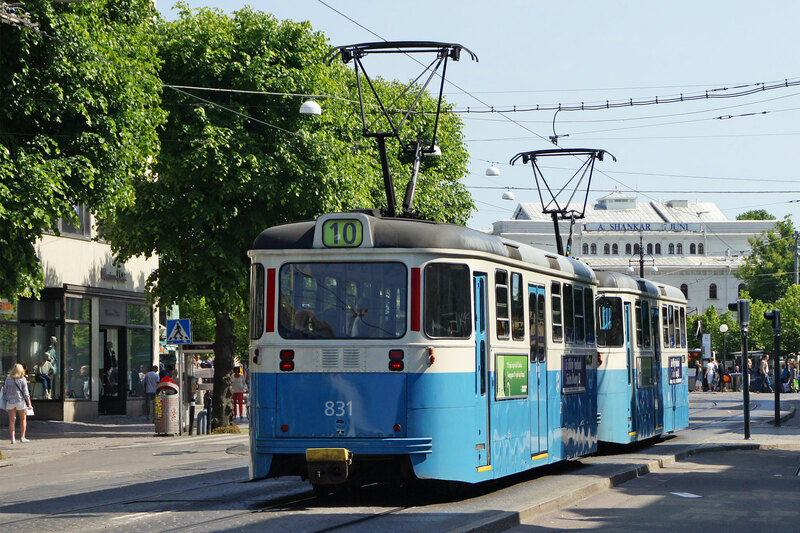 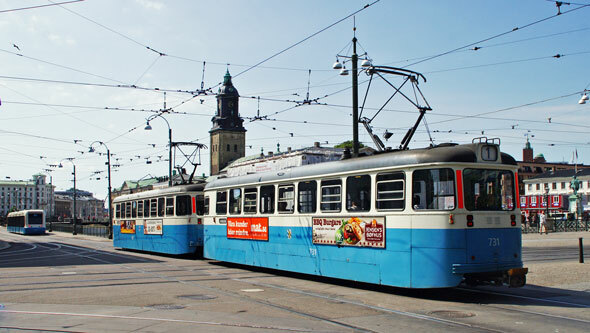 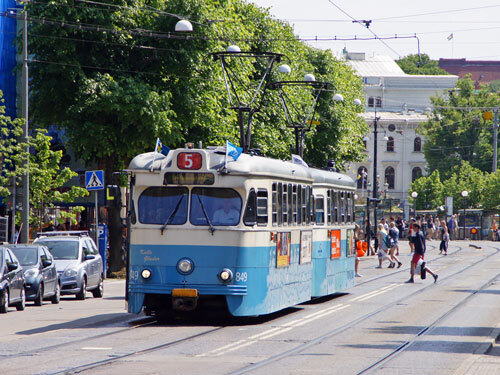 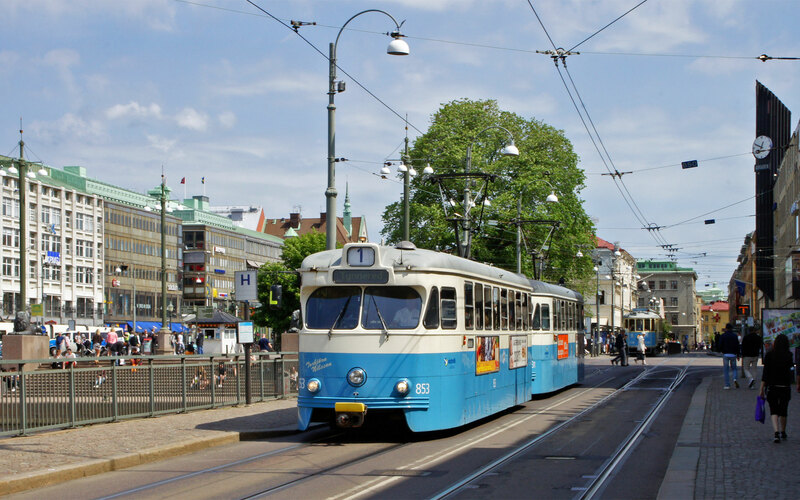 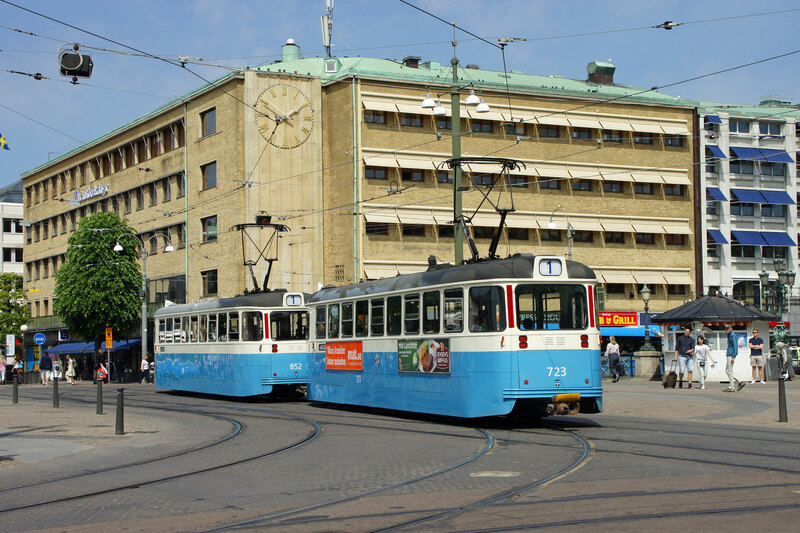 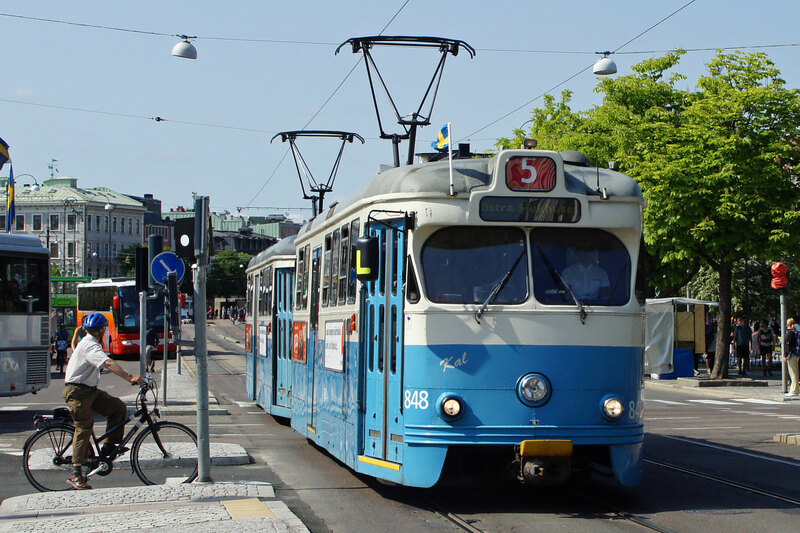 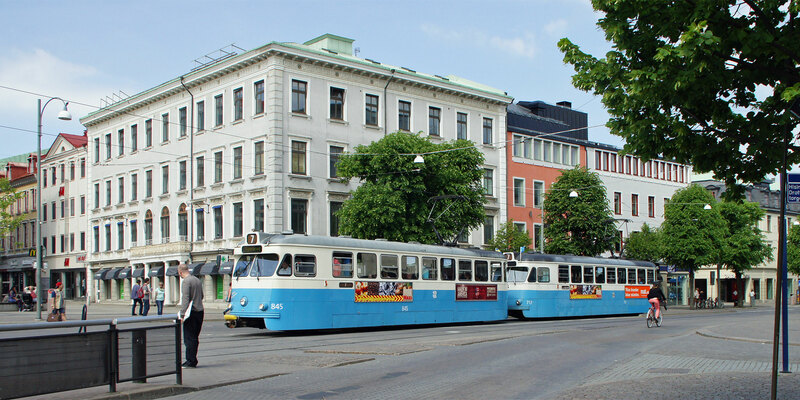 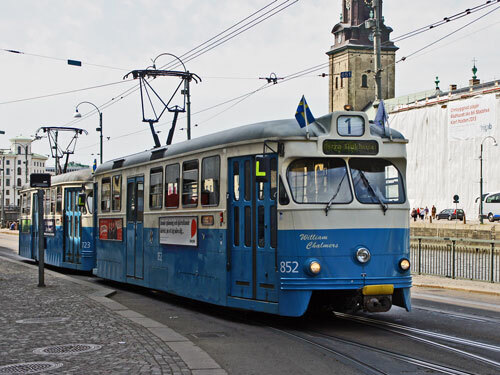 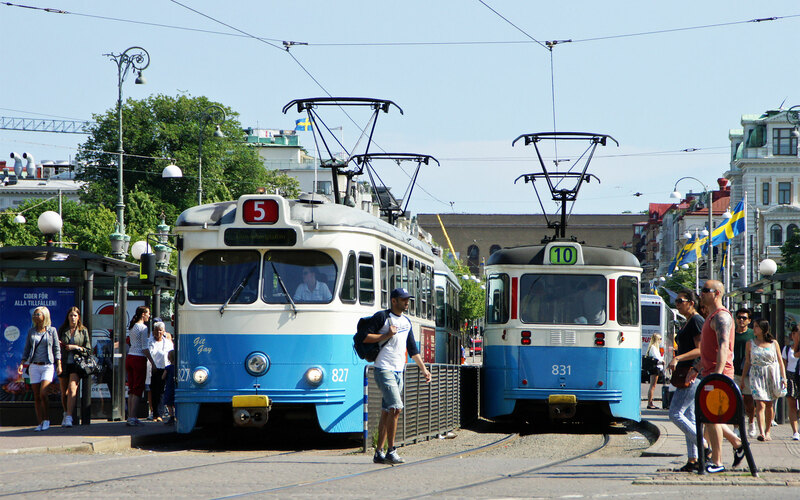 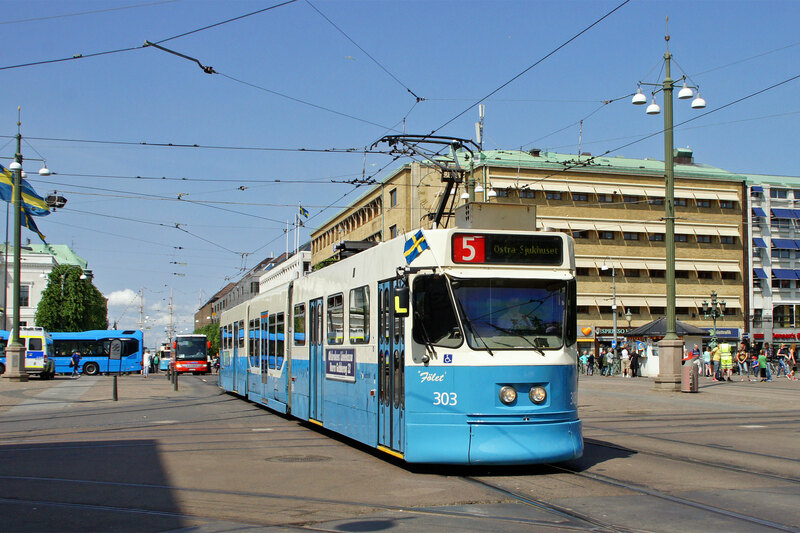 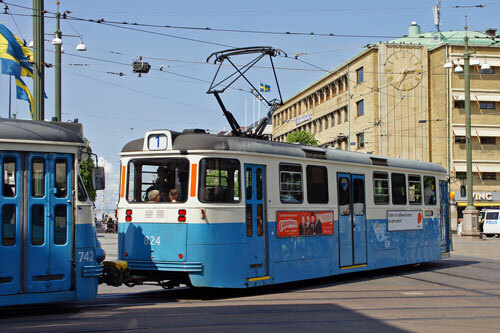 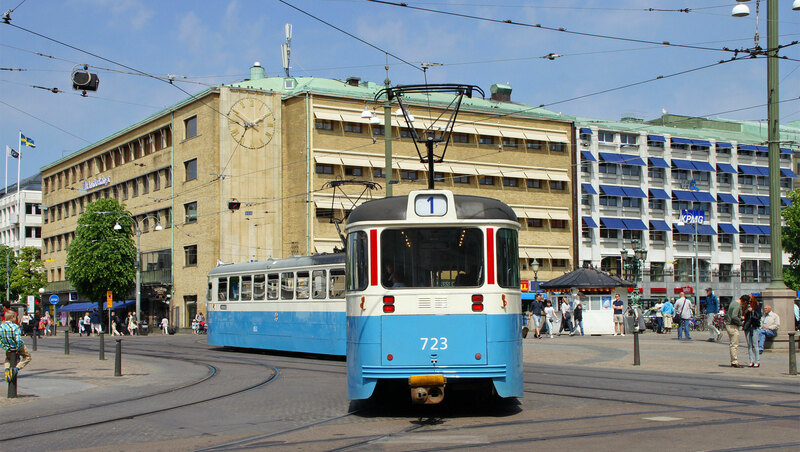 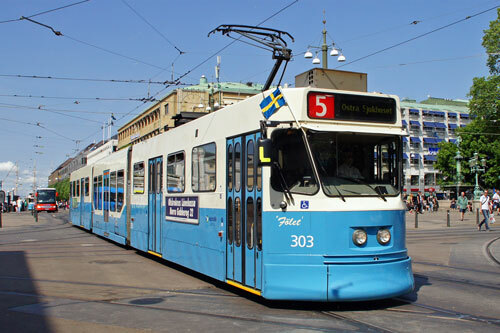 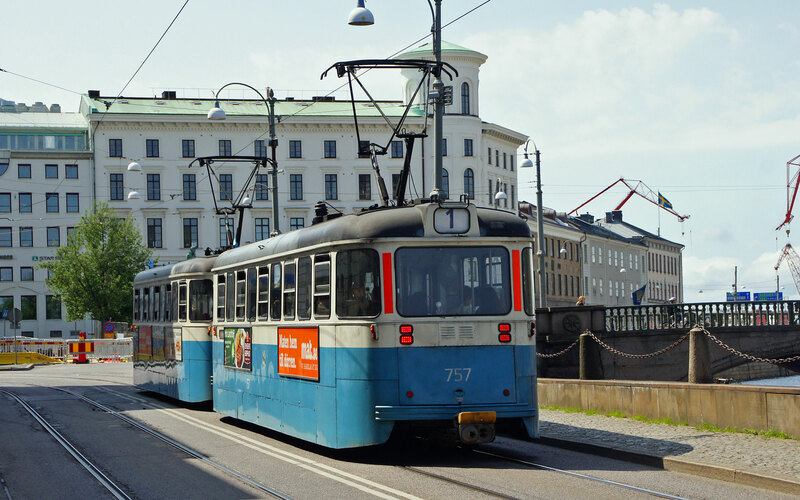 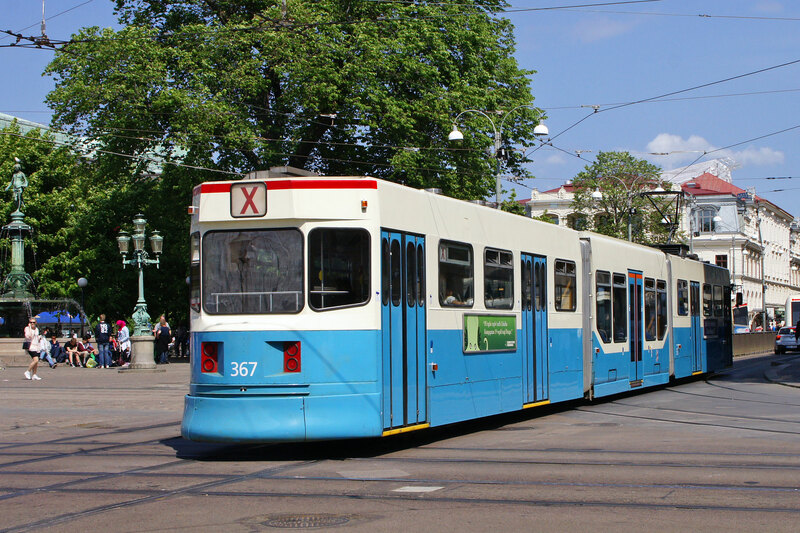 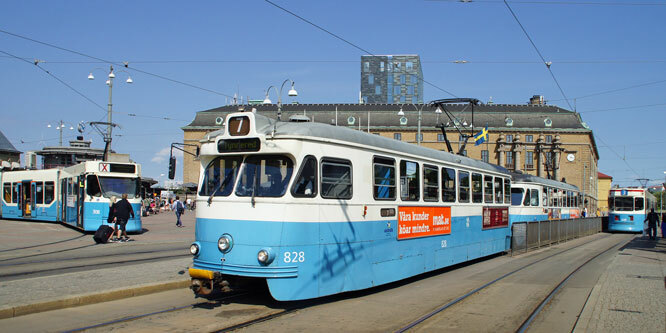 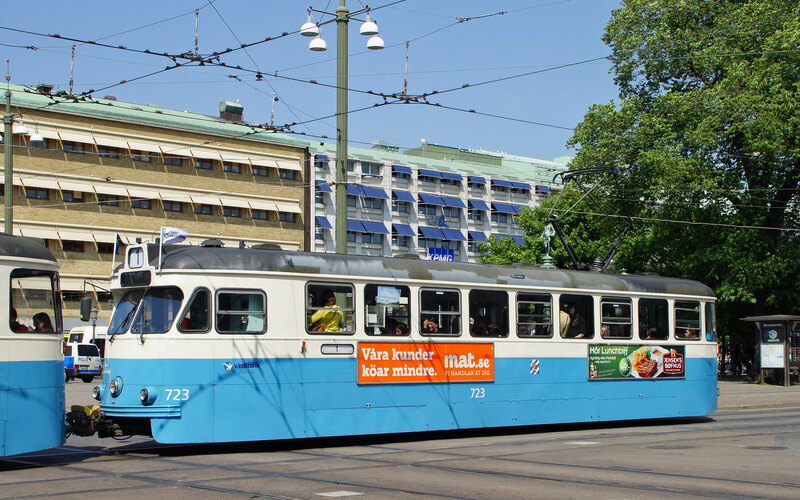 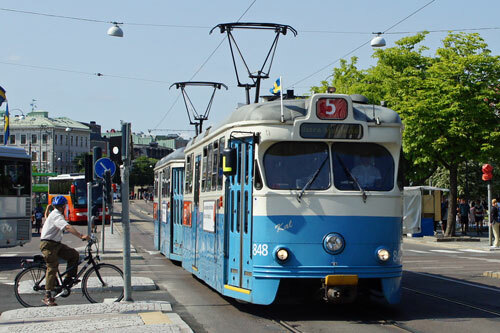 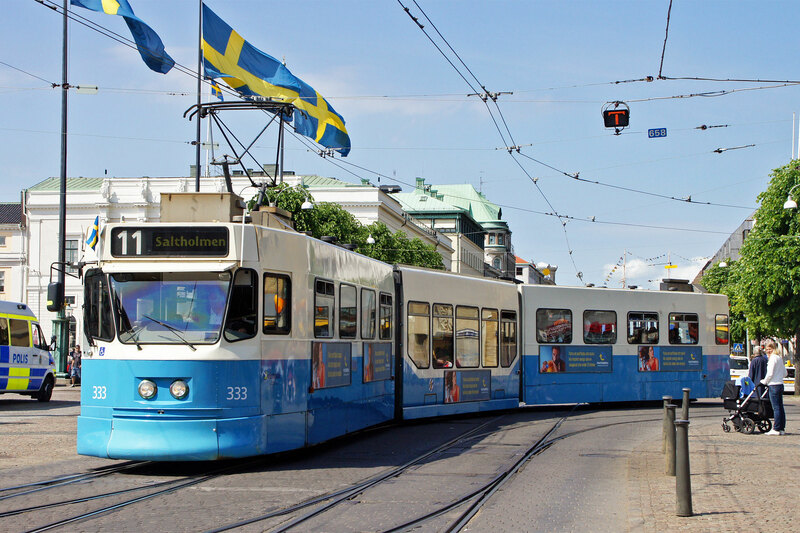 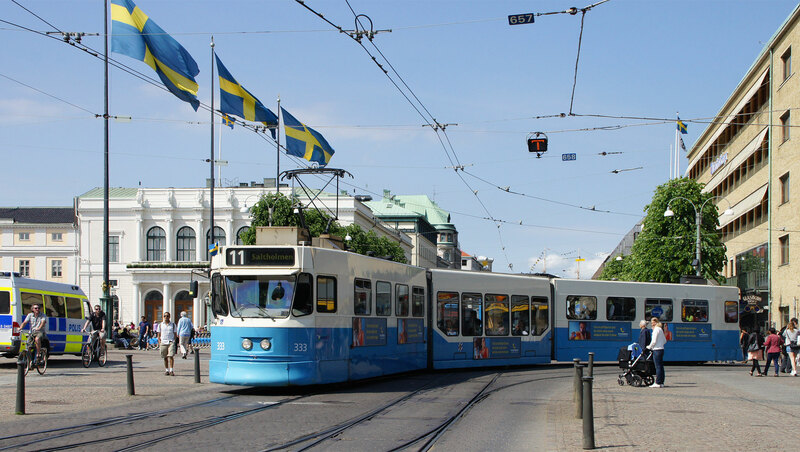 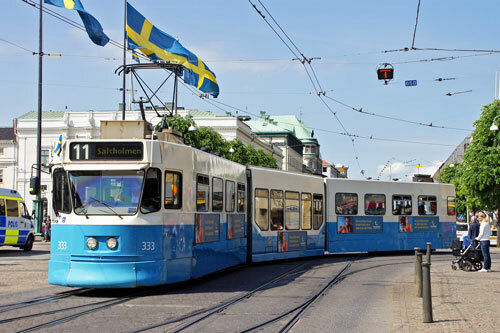 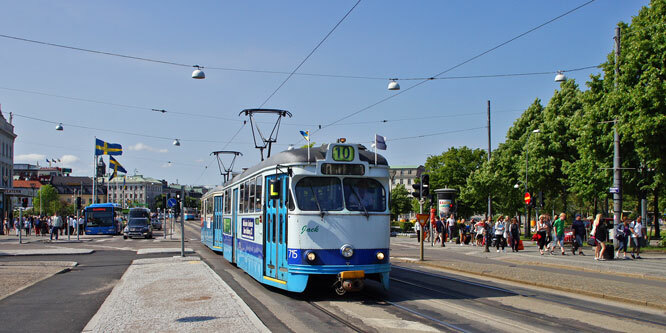 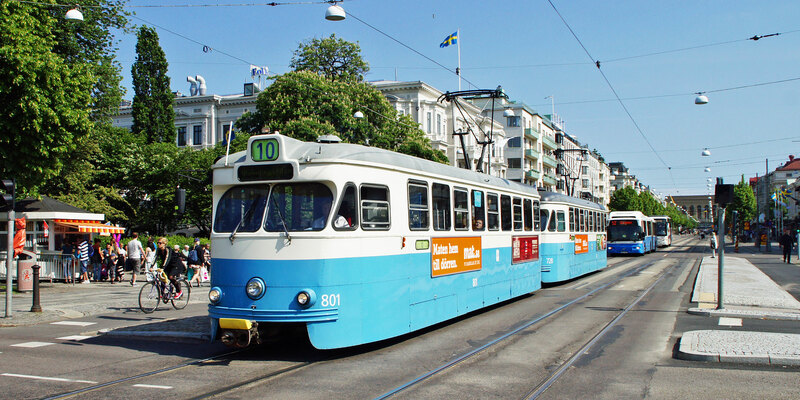 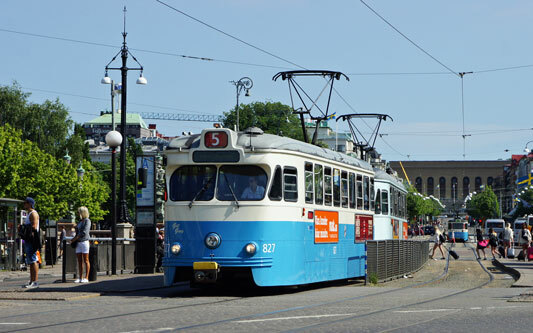 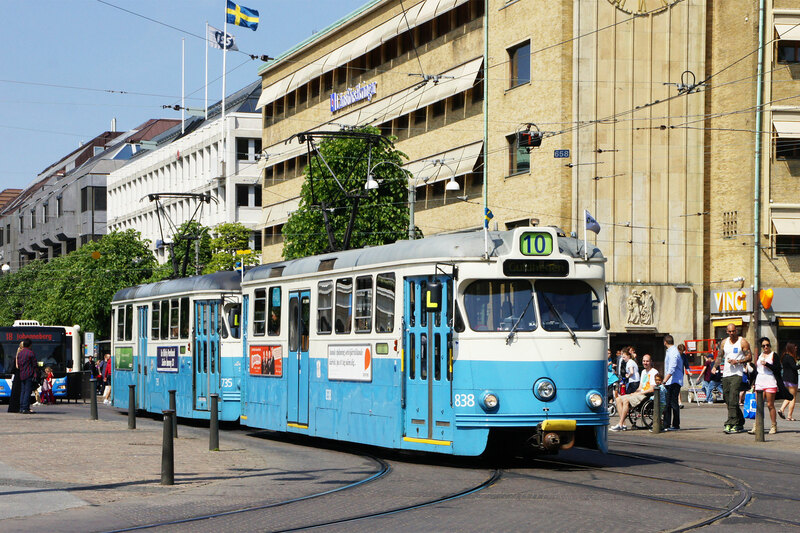 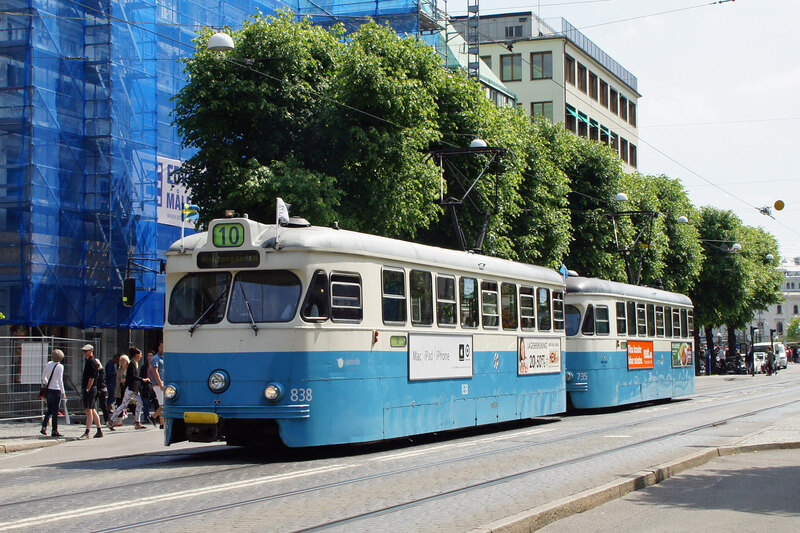 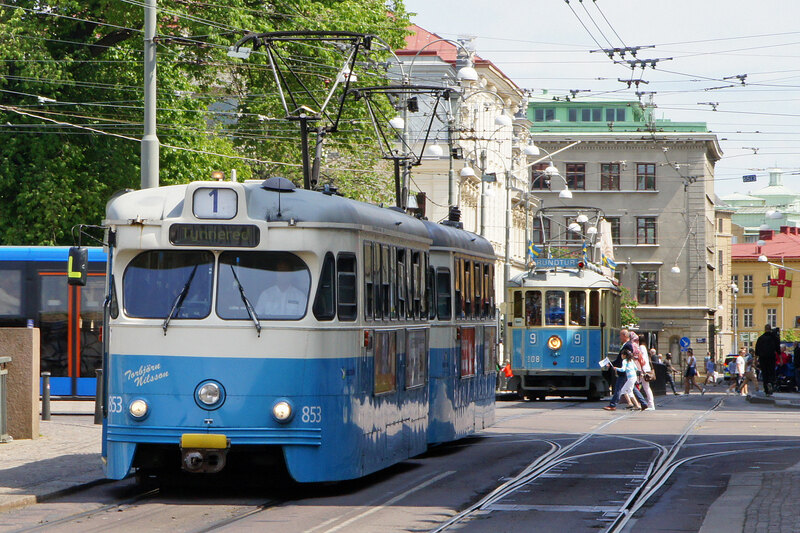 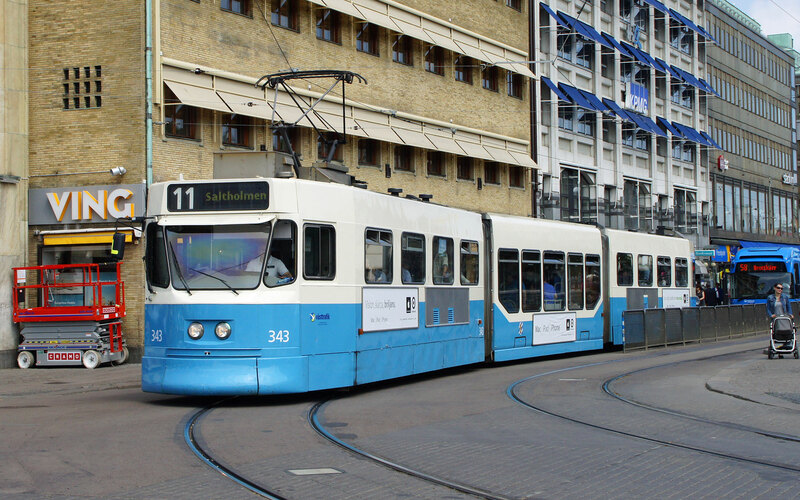 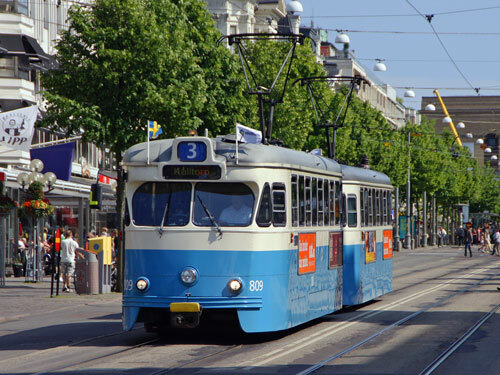 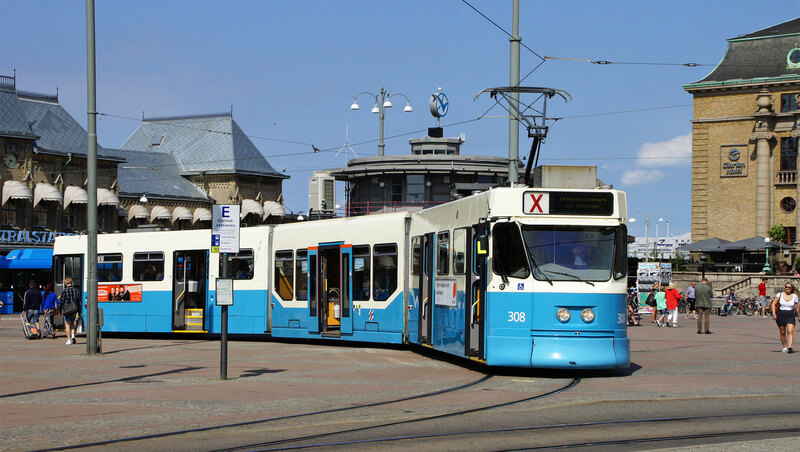 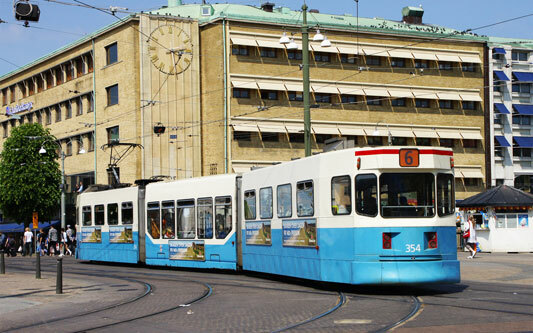 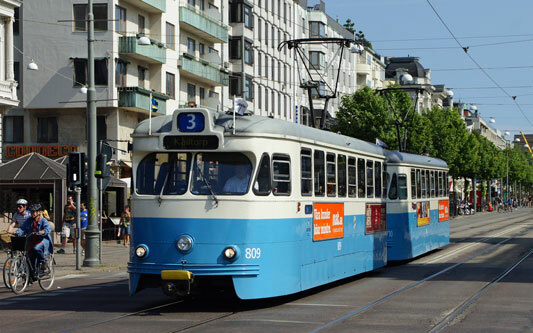 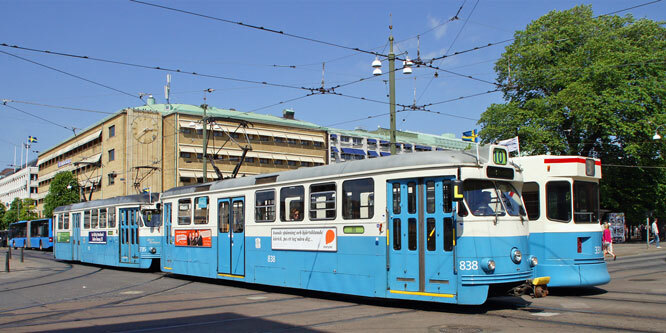 Due to the lack of right-handed traffic trams in Stockholm when the museum line was opened, six class M23 trams were bought from Gothenburg and given the class designation A31. 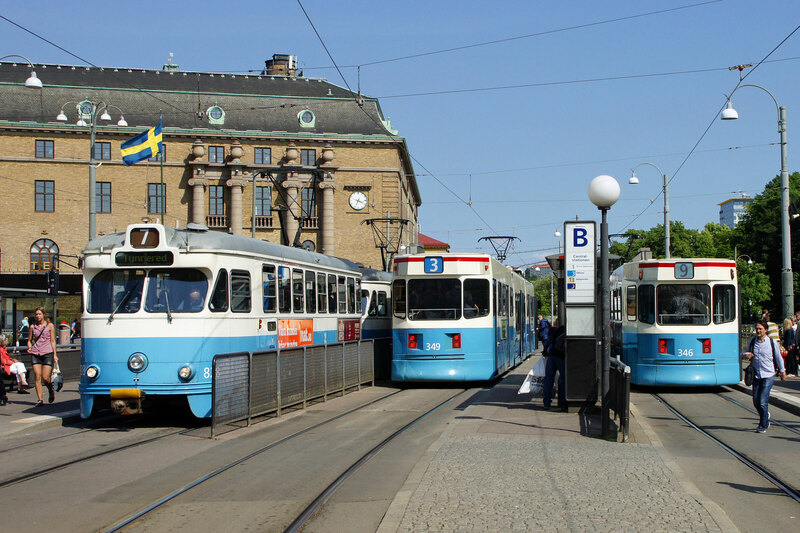 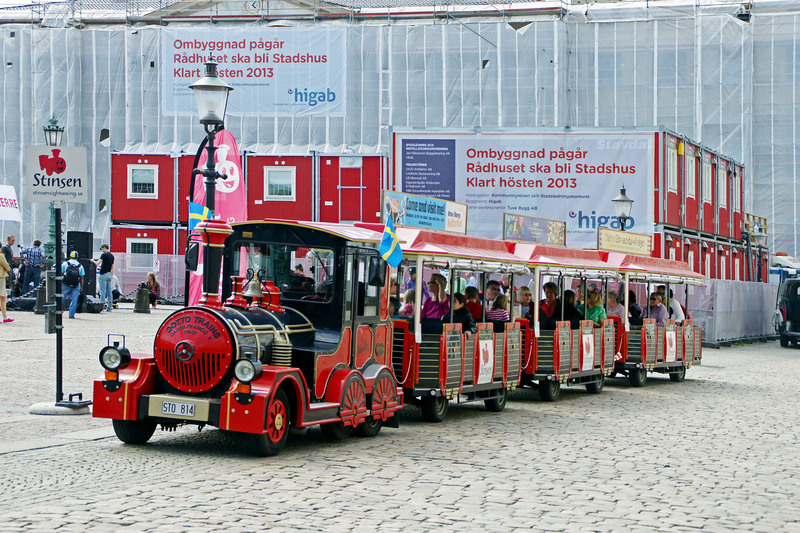 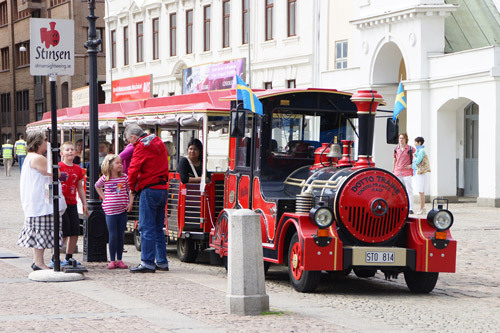 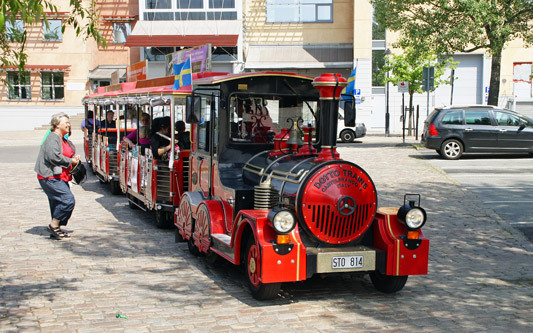 These "Gothenburg-Mustangs" were externally different from all trams used in Stockholm. 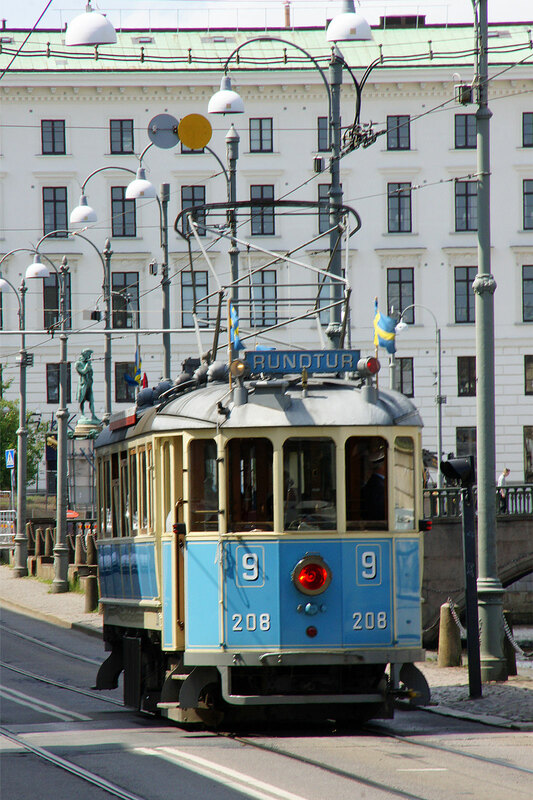 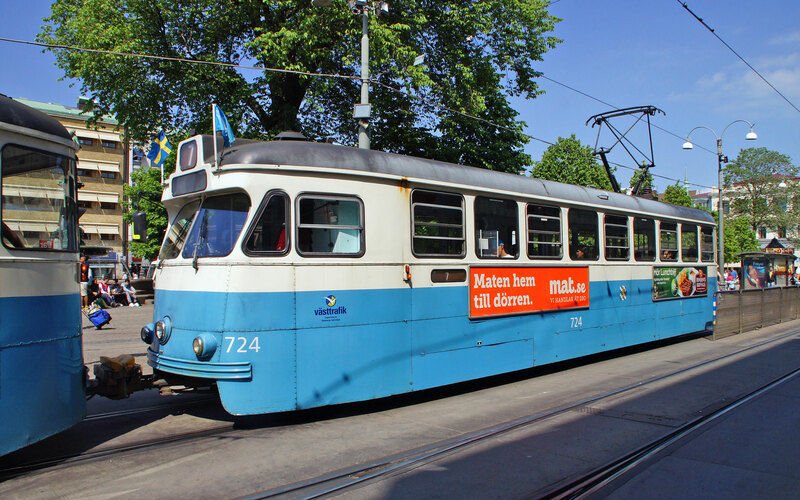 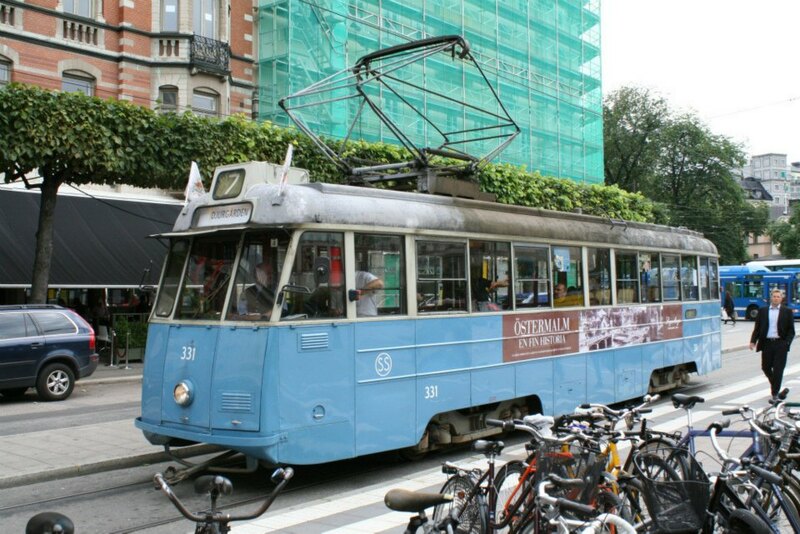 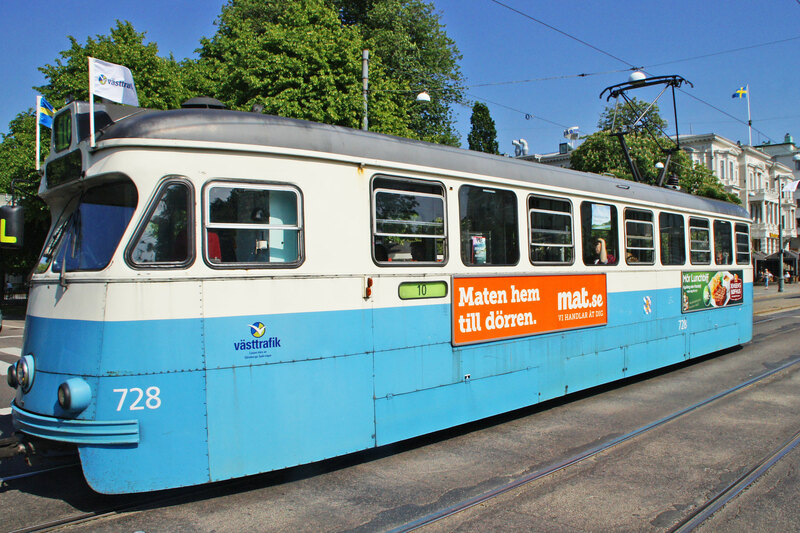 Another Gothenburg tram in Stockholm; in summer 2008 Stockholm's museum line had the M25 unit 621 on loan from Gothenburg. 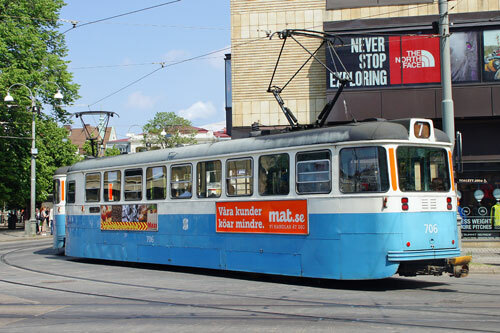 The M25 class trams were built in 1958-1962 by Hägglund and adapted to right-handed traffic in 1967. 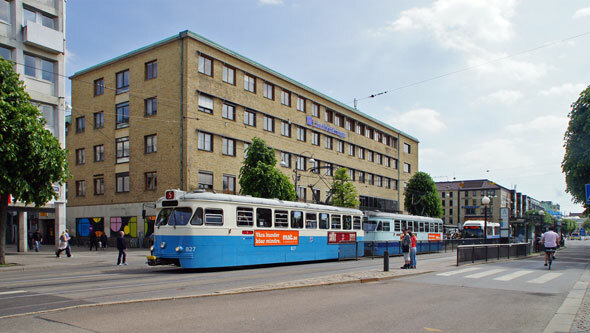 The original Gothenburg livery was identical to that of Stockholm's traditional one, the three-shaded livery seen here was taken into used in the 1970s. 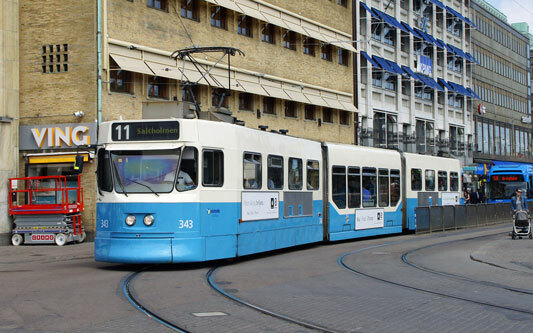 Presently it's being abandoned in favour of a return to the original blue/white. 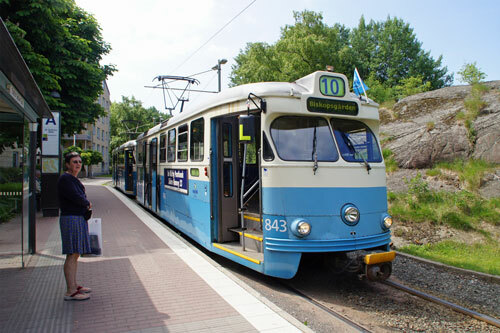 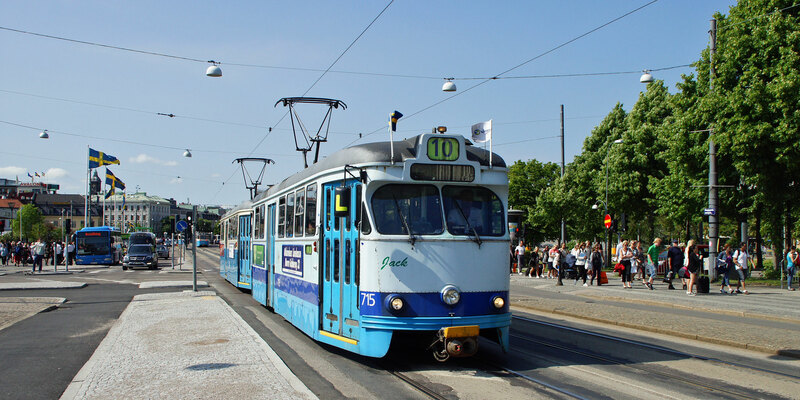 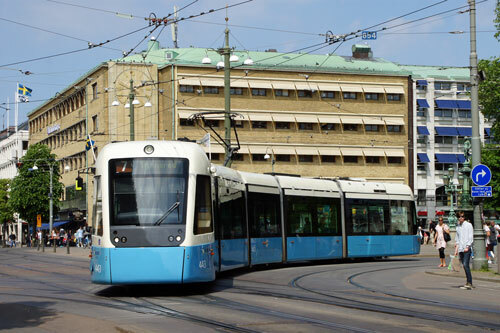 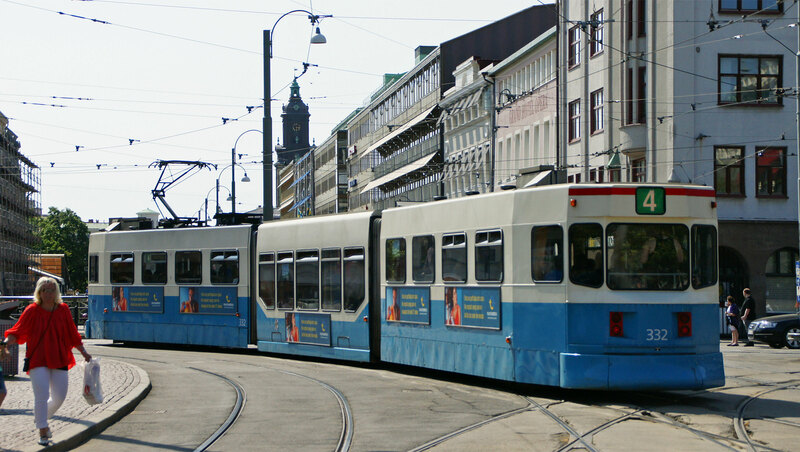 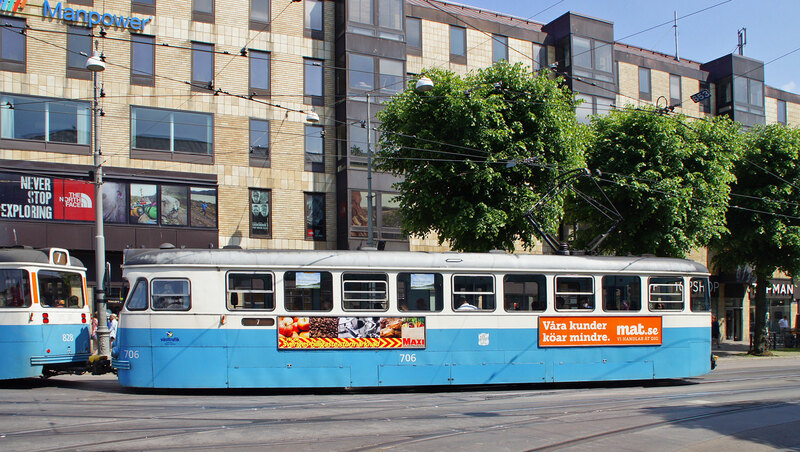 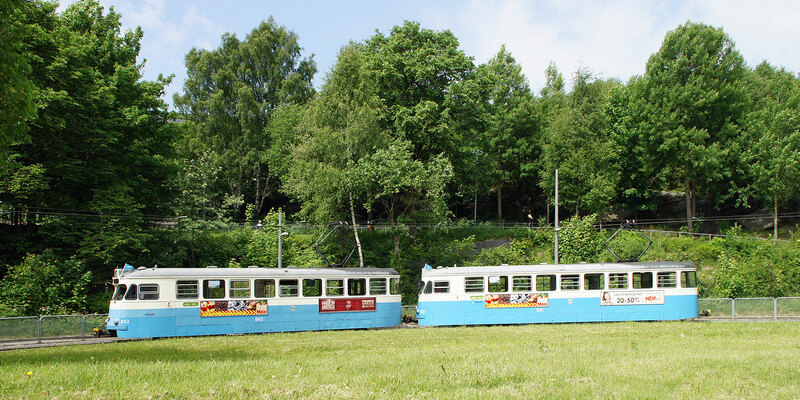 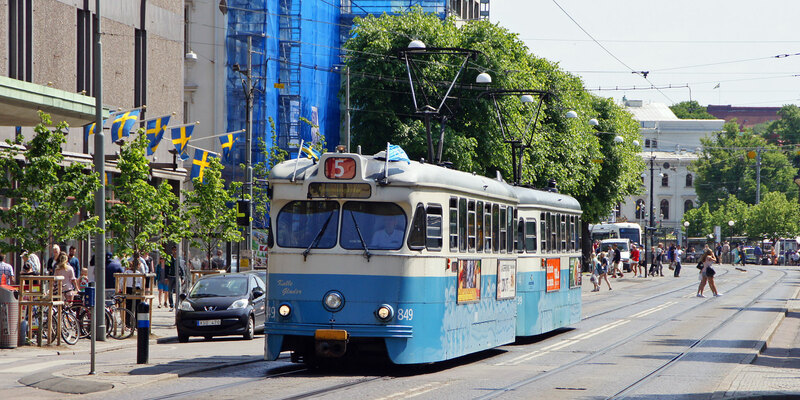 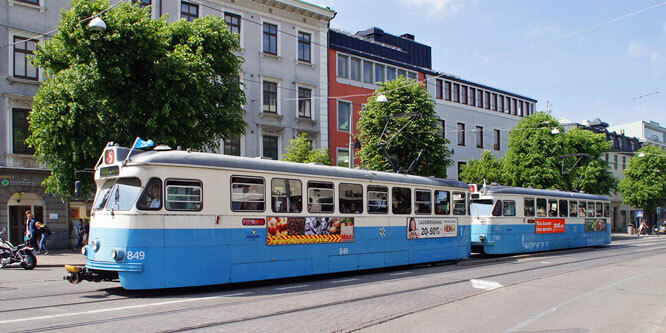 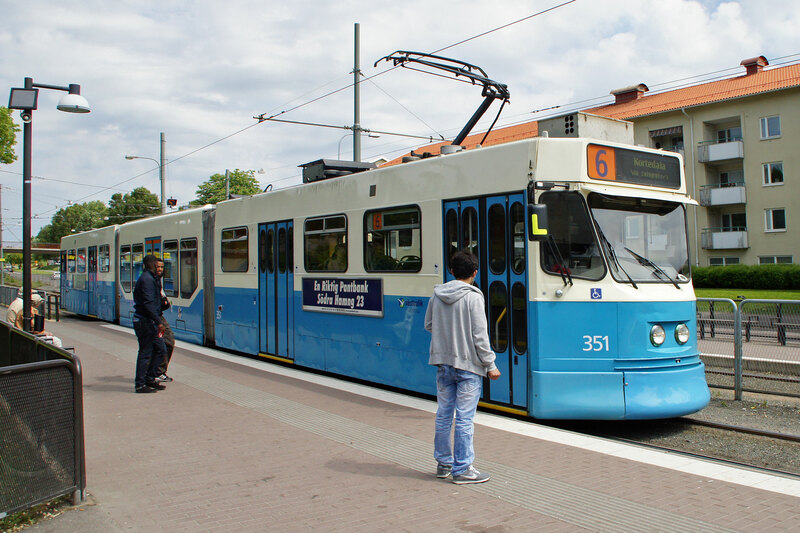 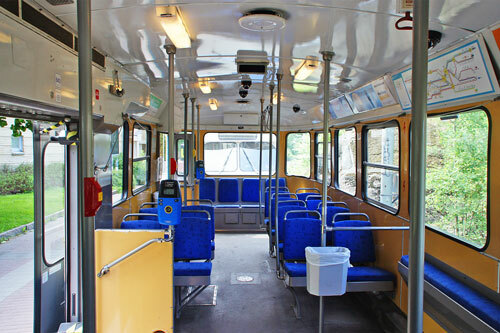 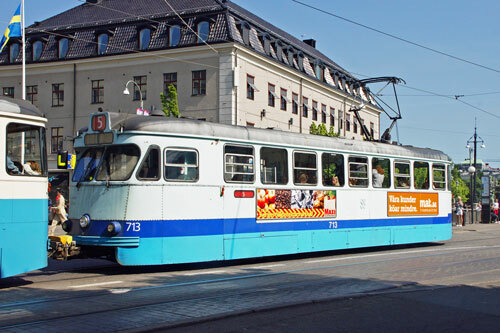 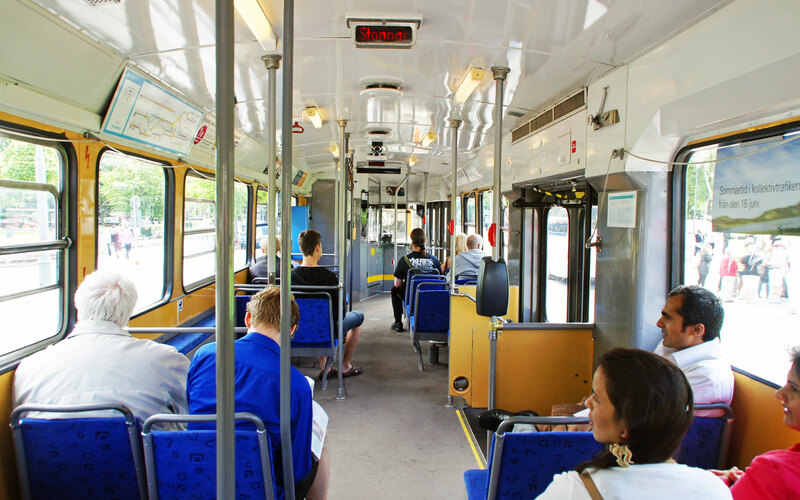 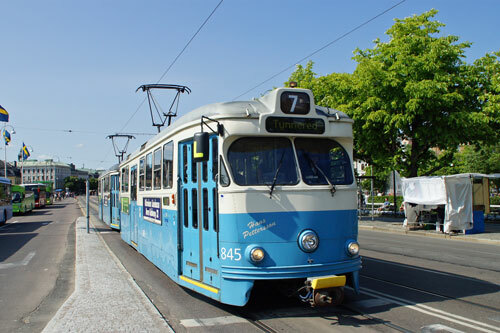 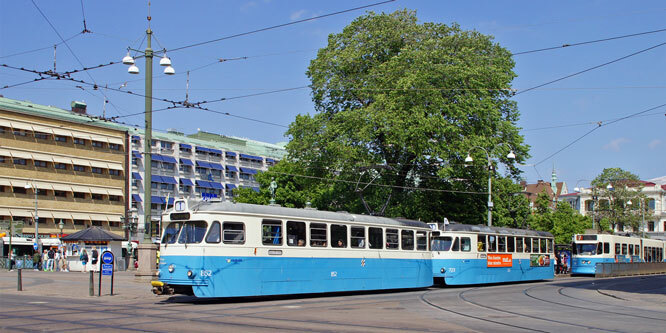 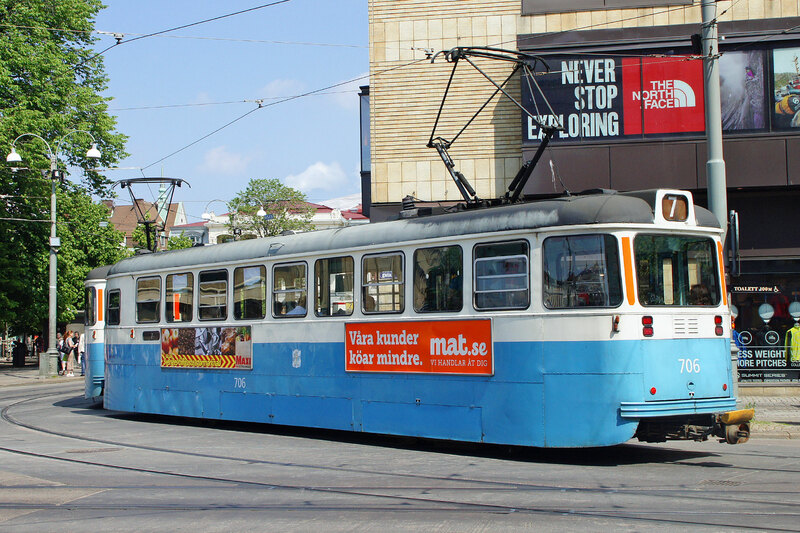 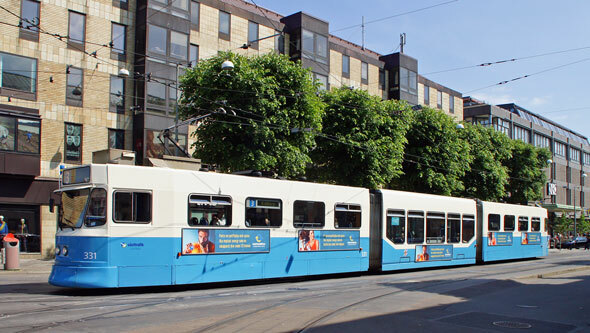 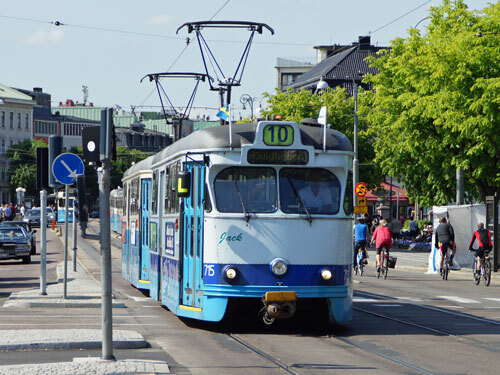 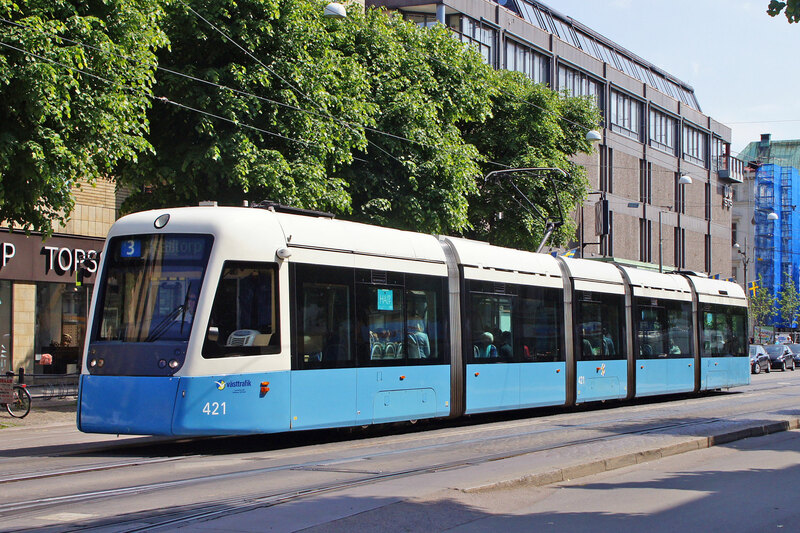 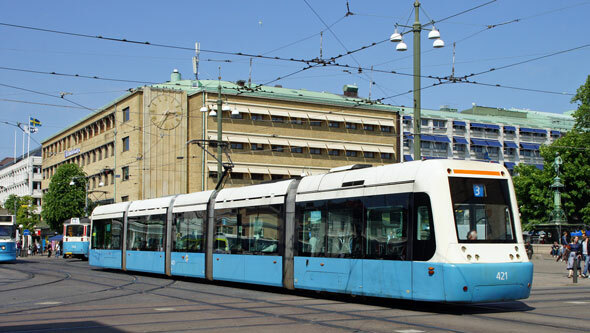 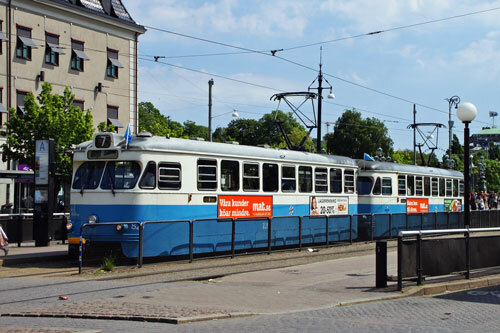 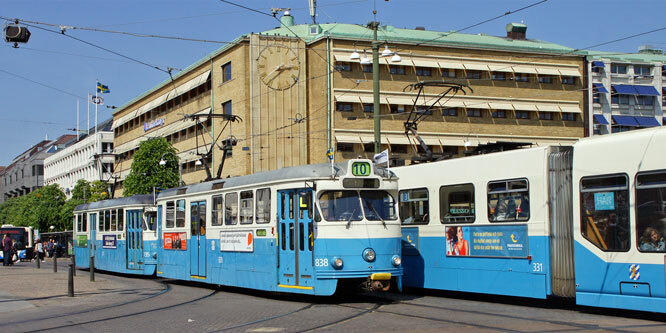 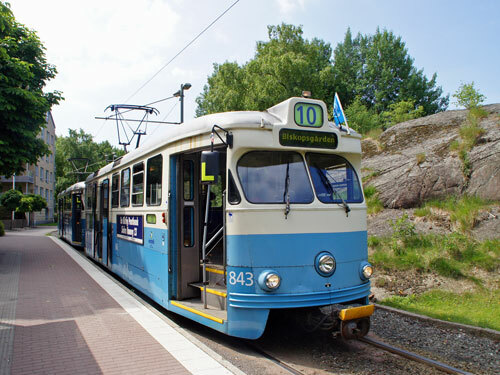 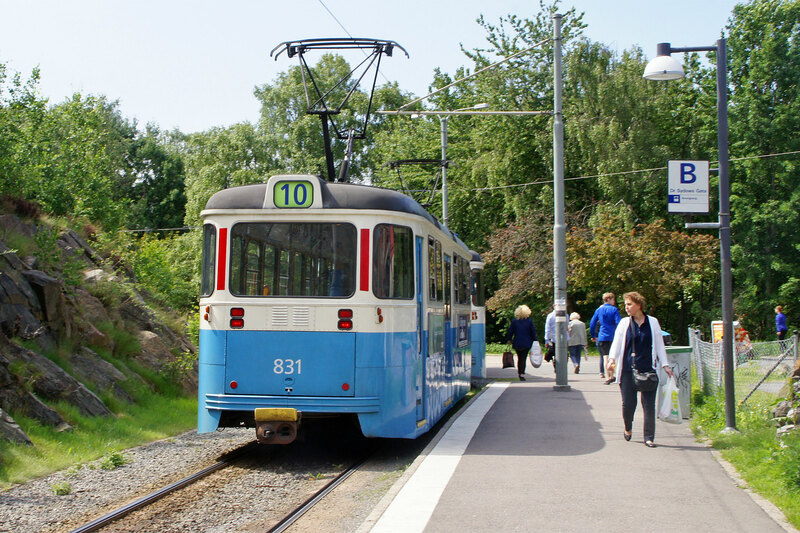 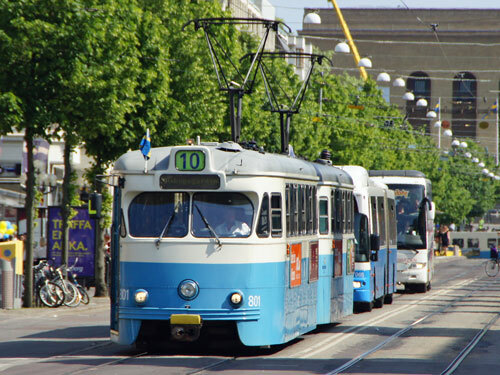 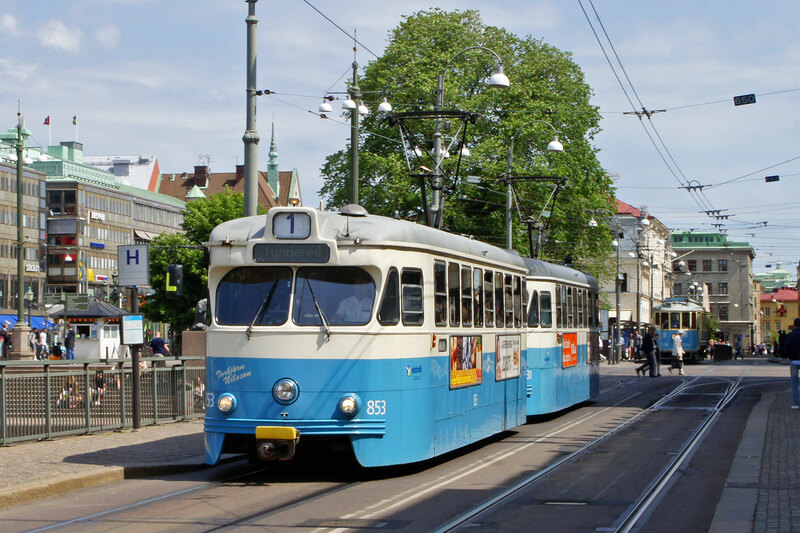 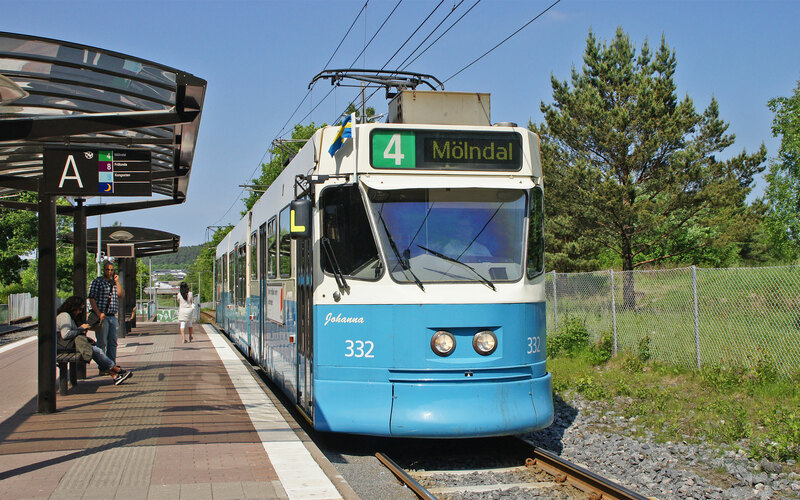 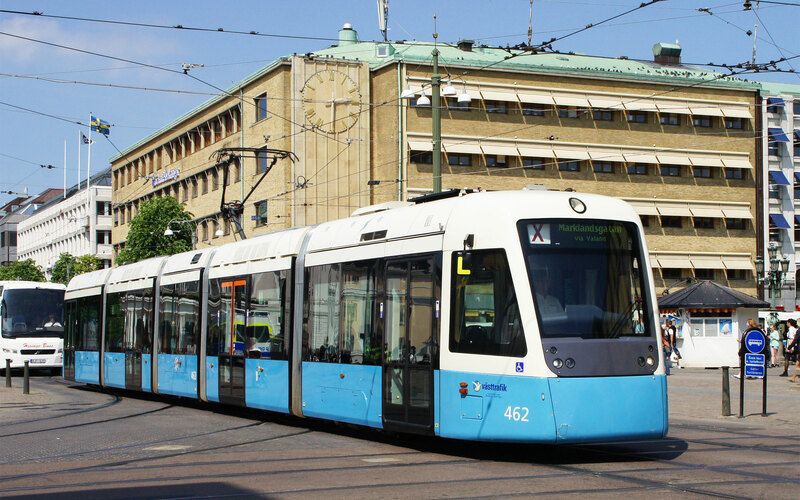 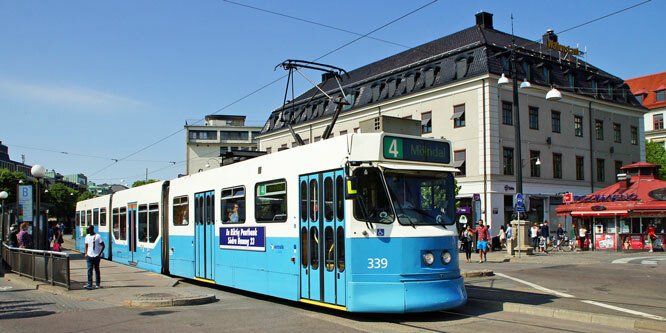 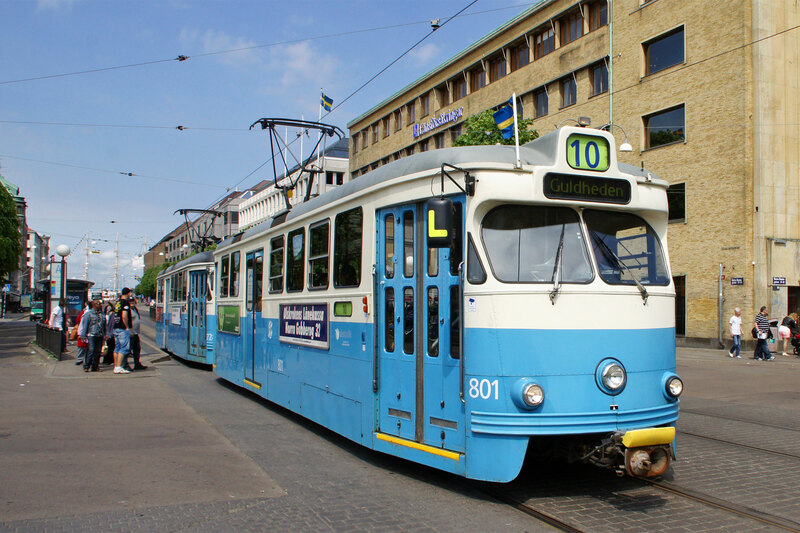 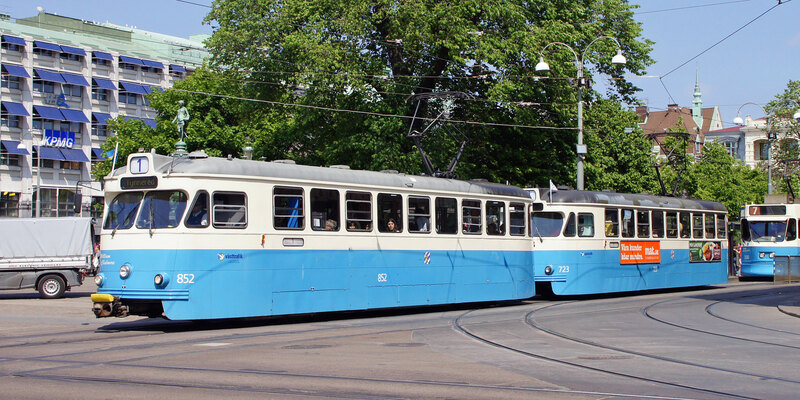 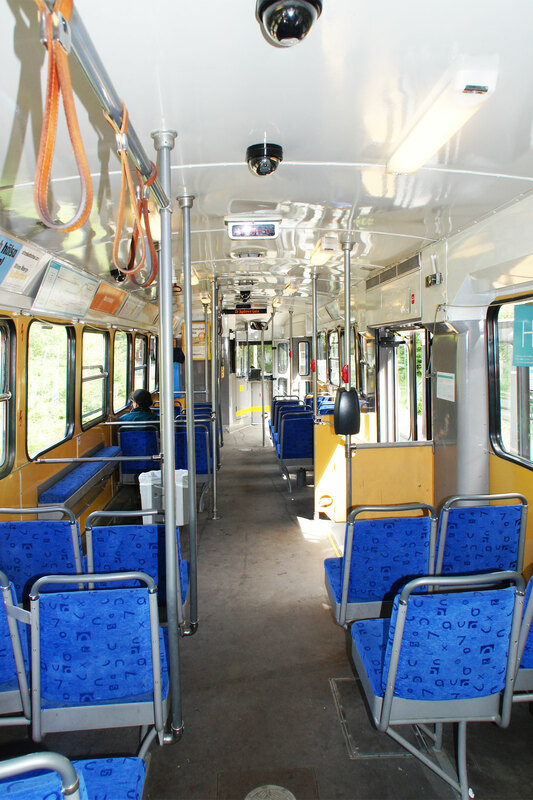 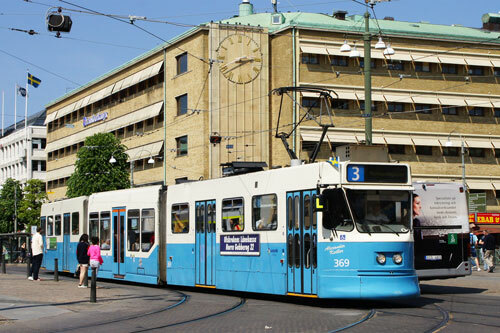 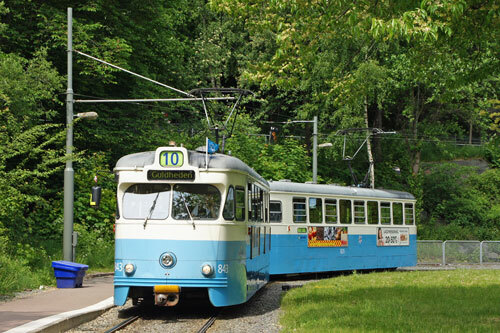 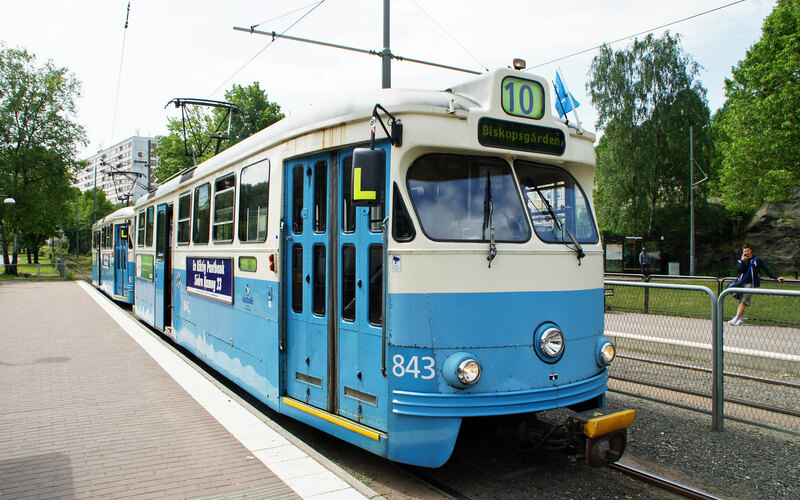 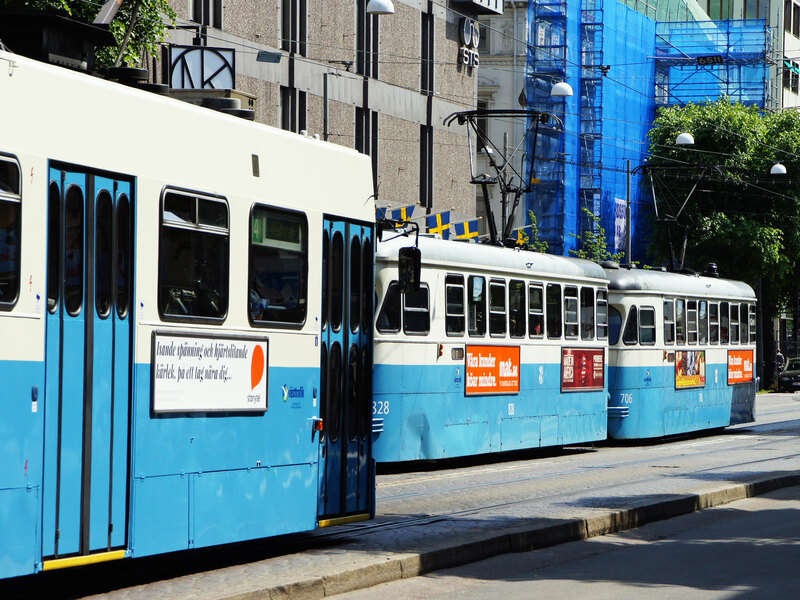 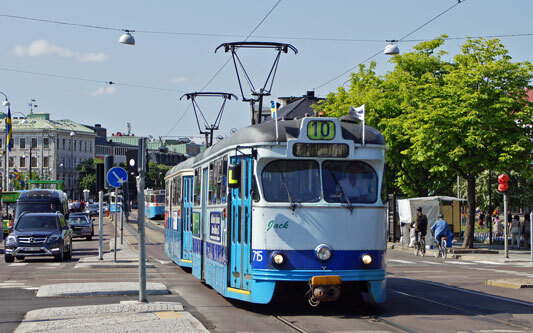 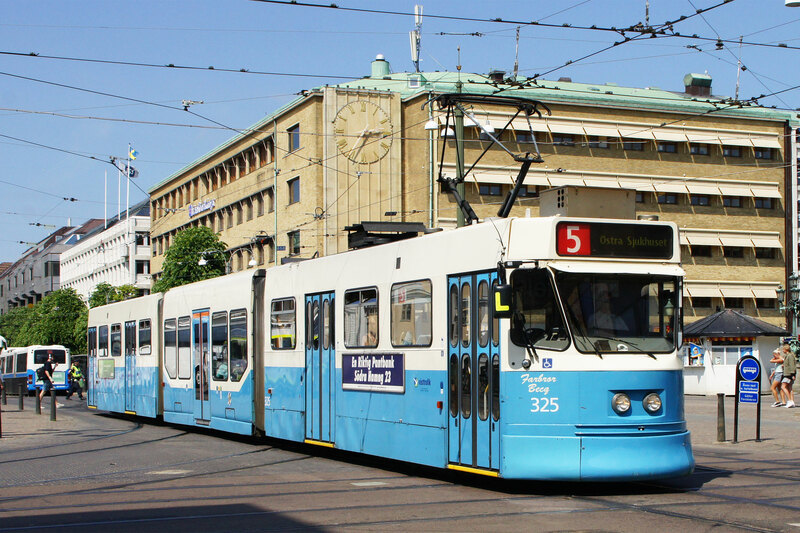 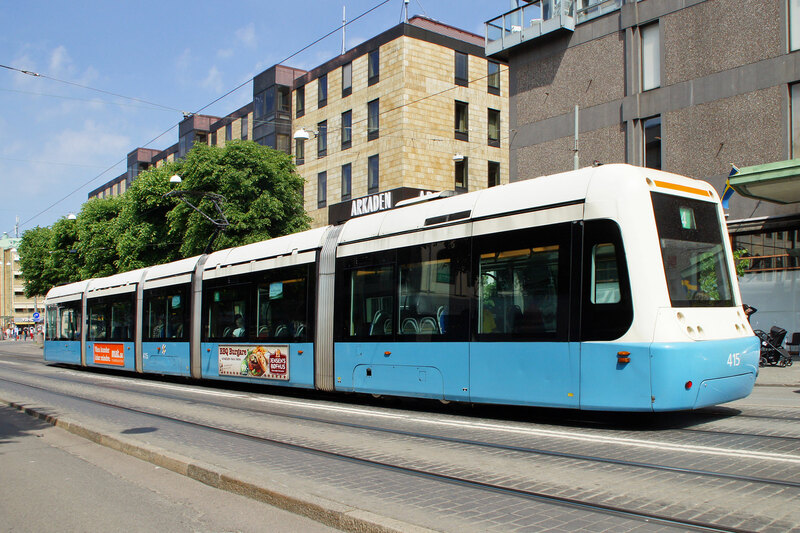 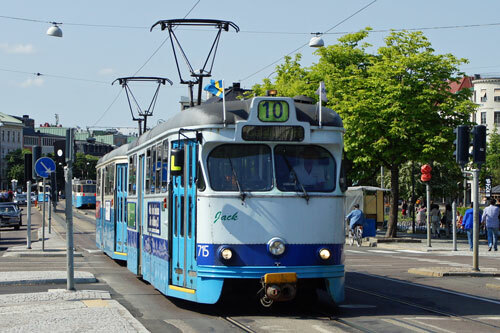 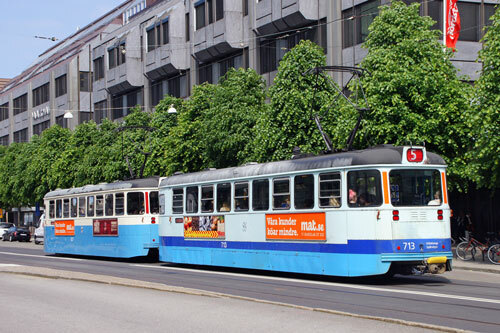 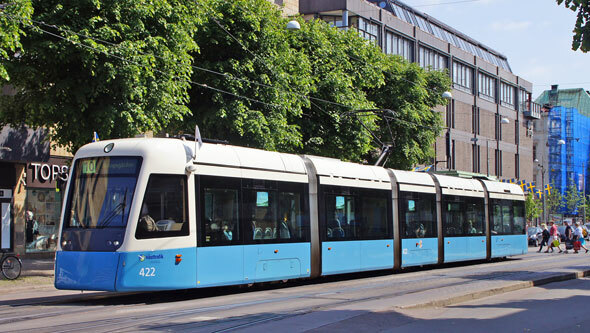 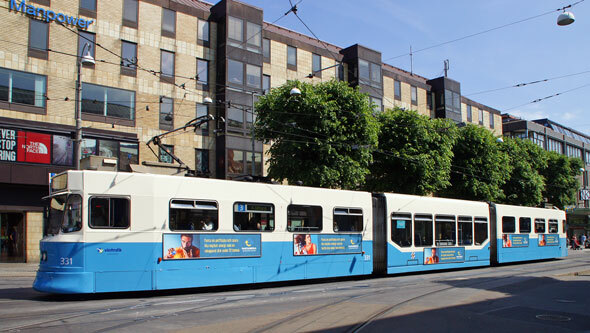 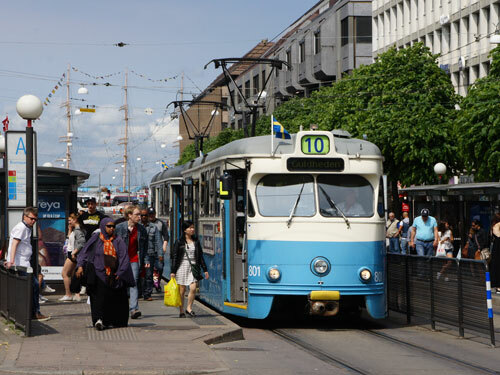 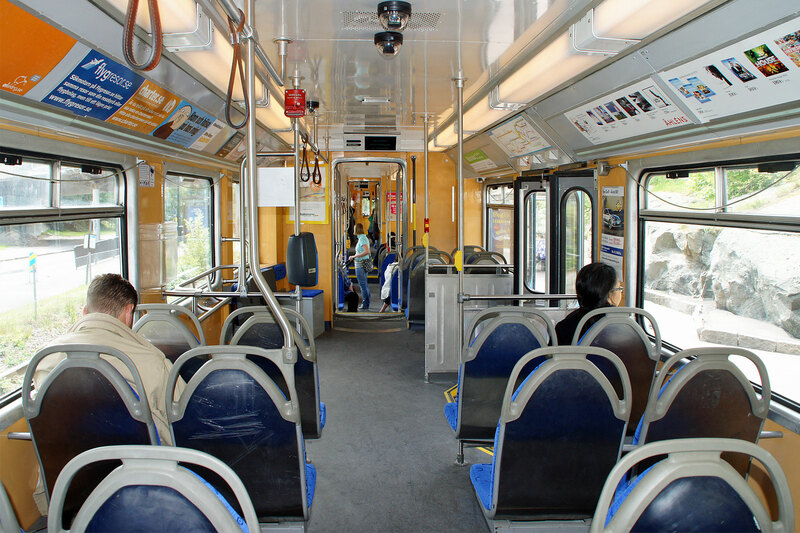 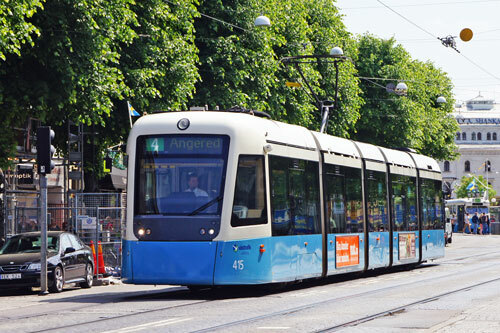 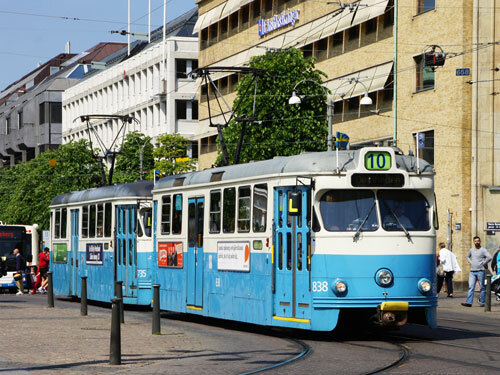 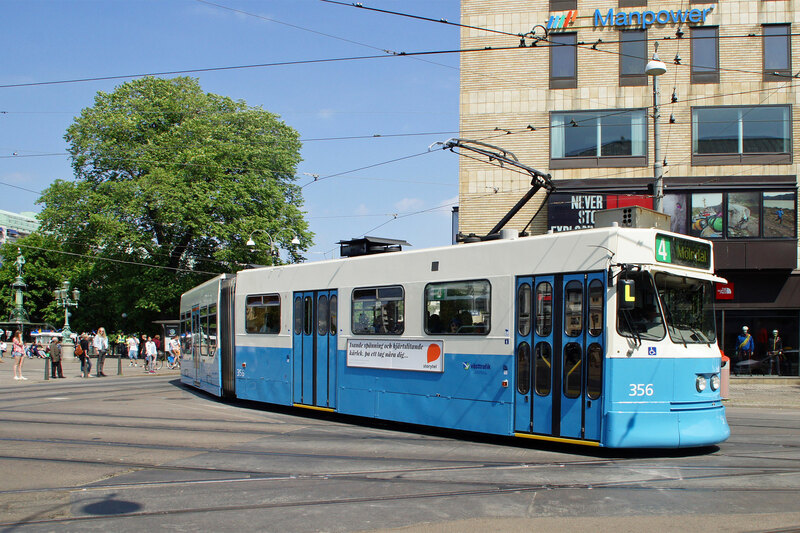 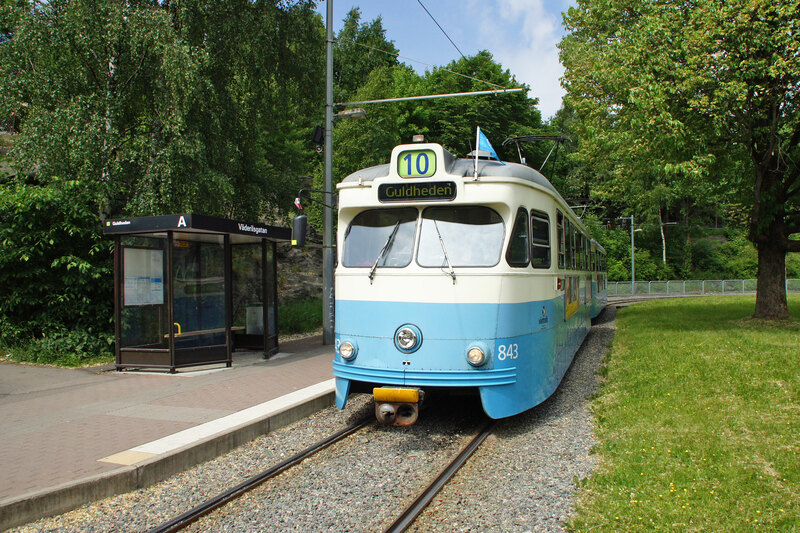 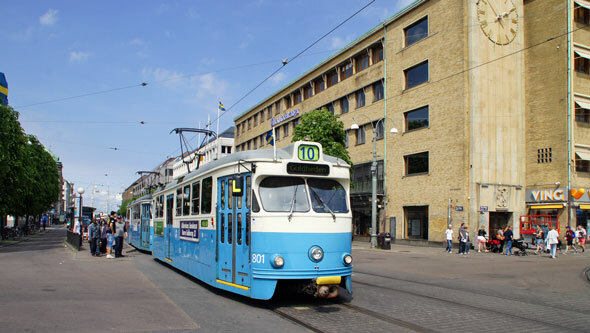 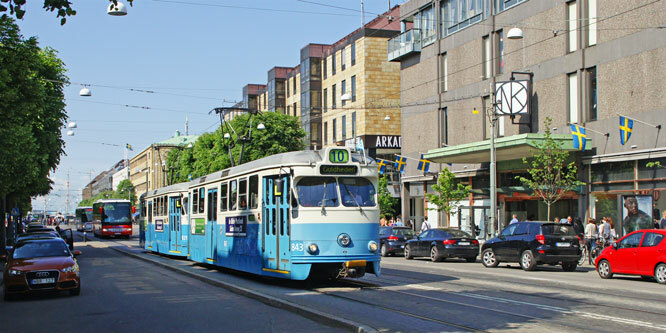 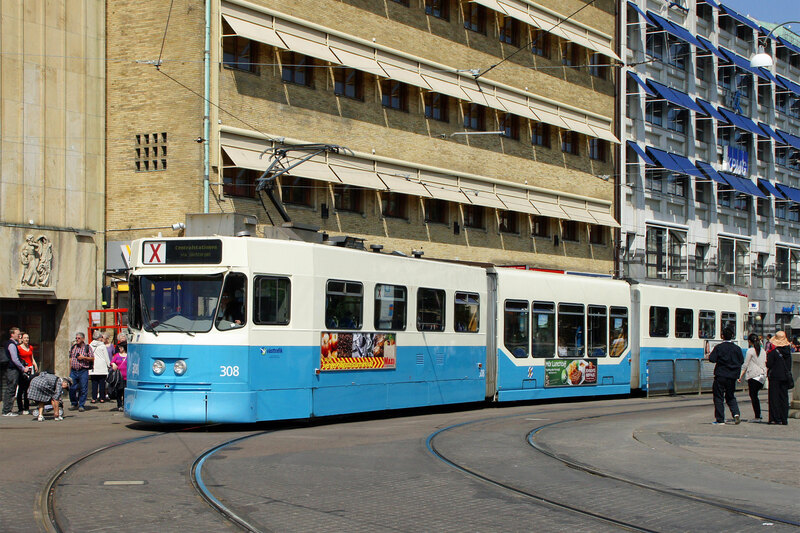 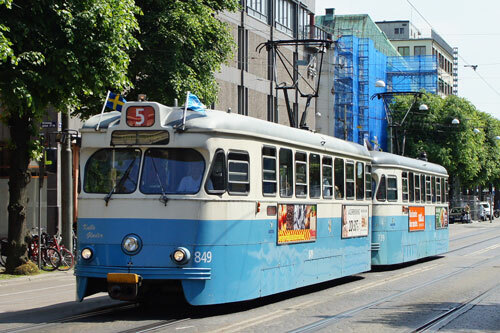 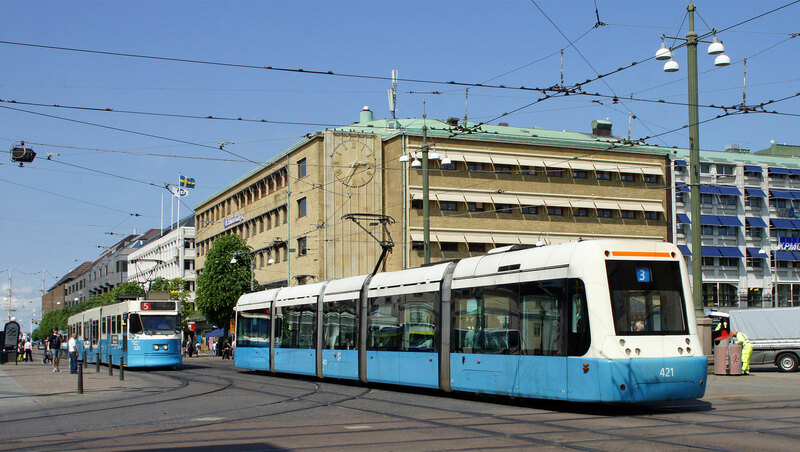 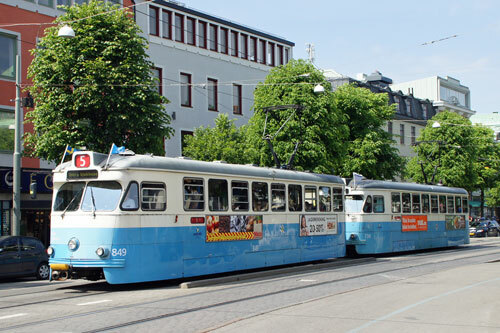 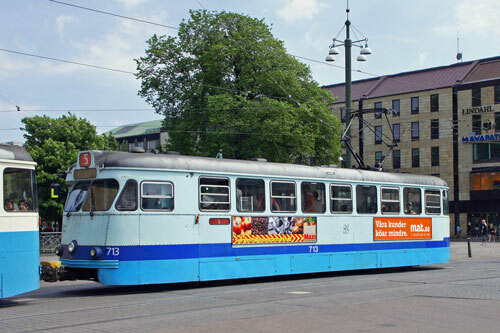 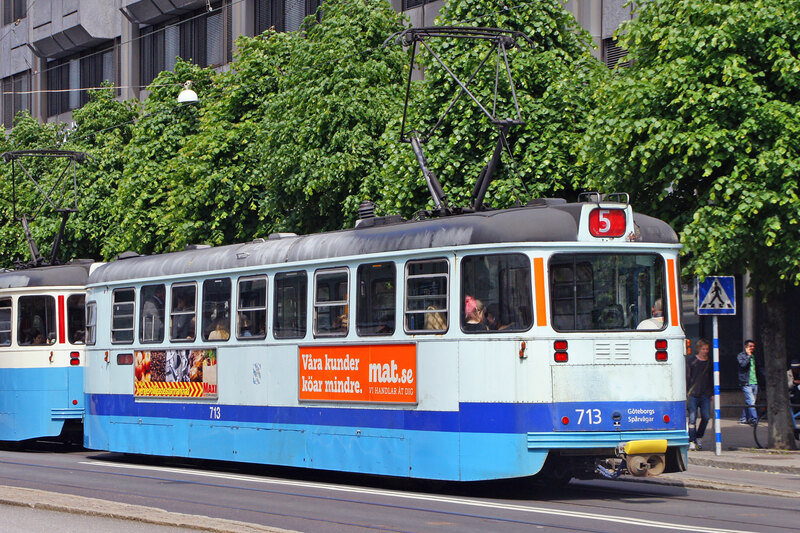 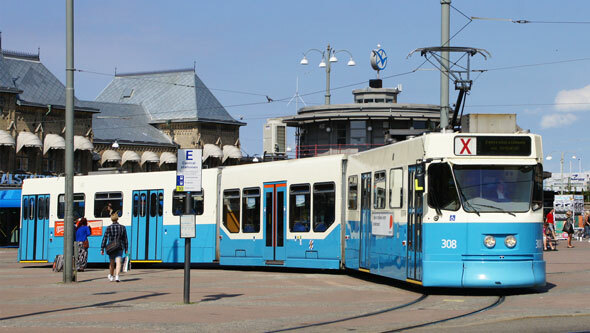 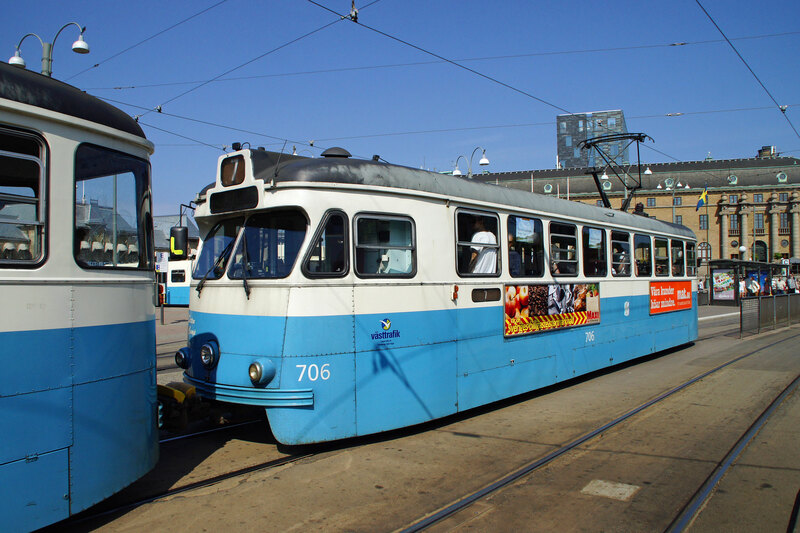 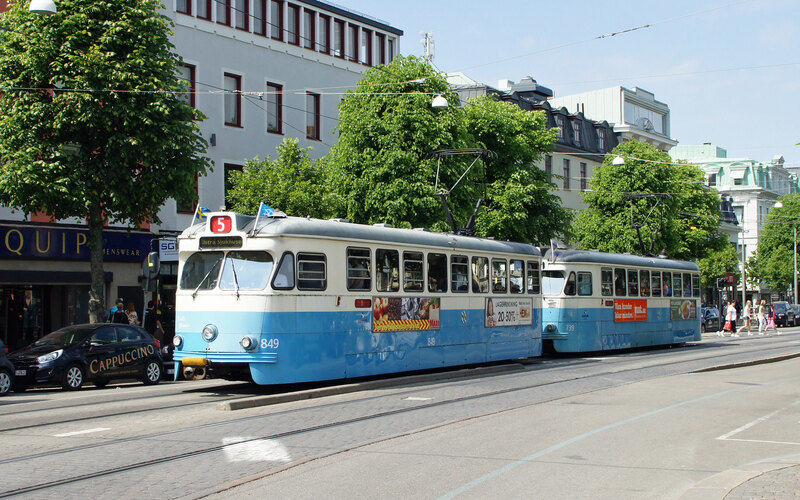 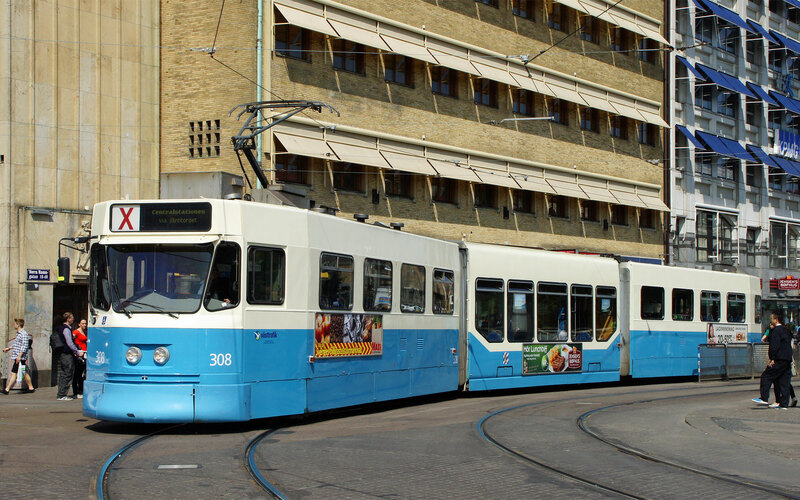 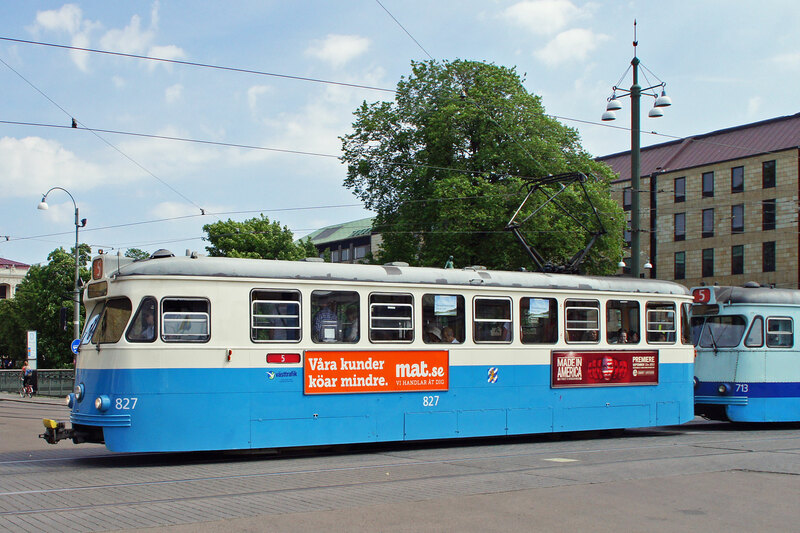 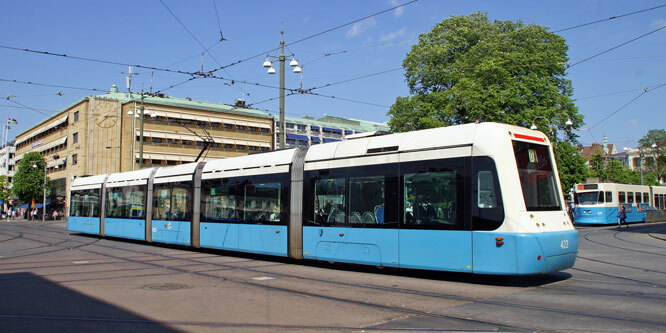 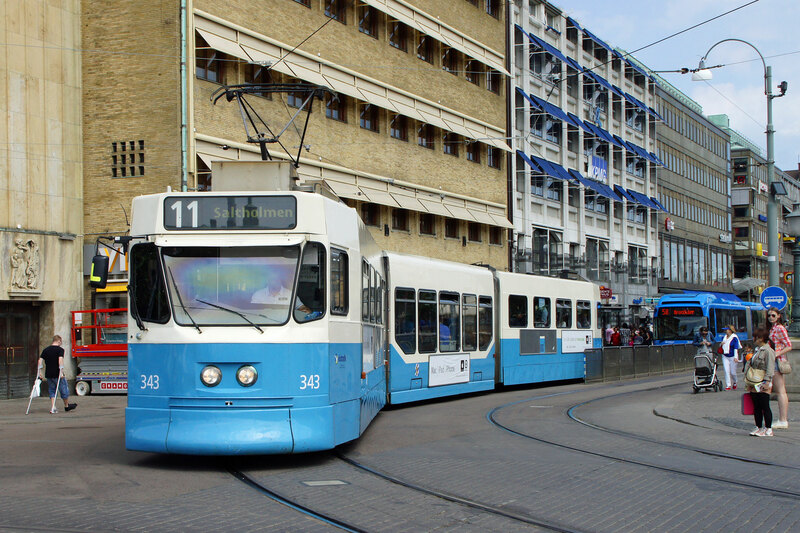 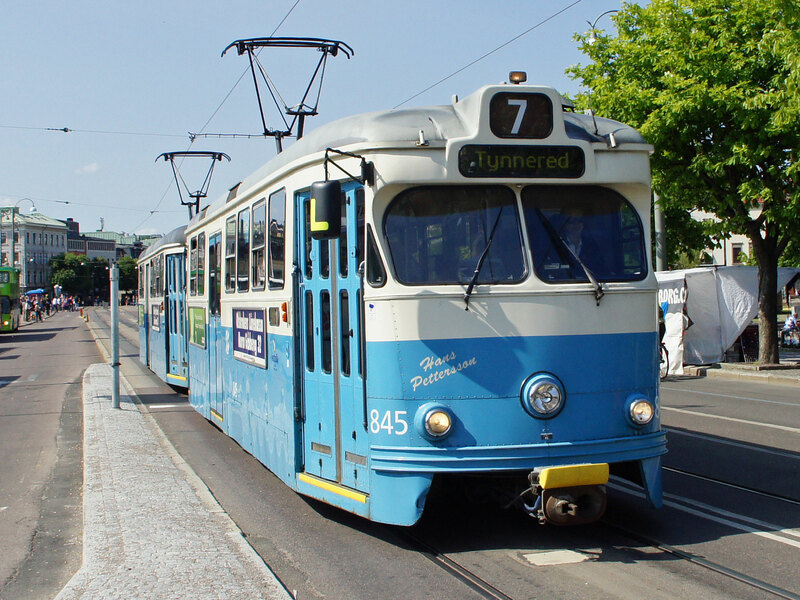 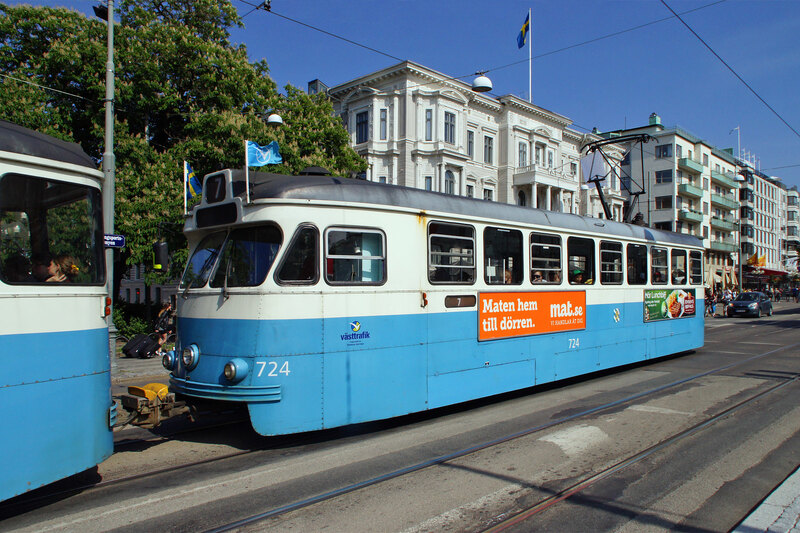 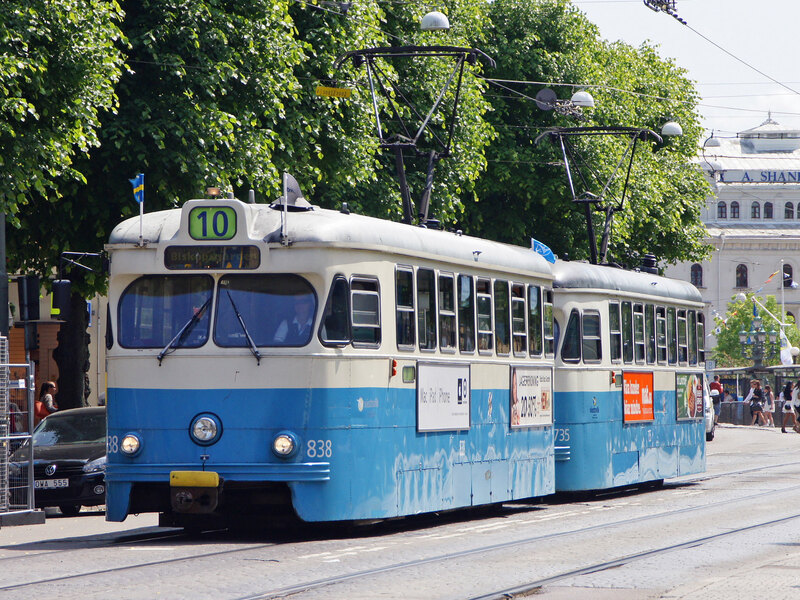 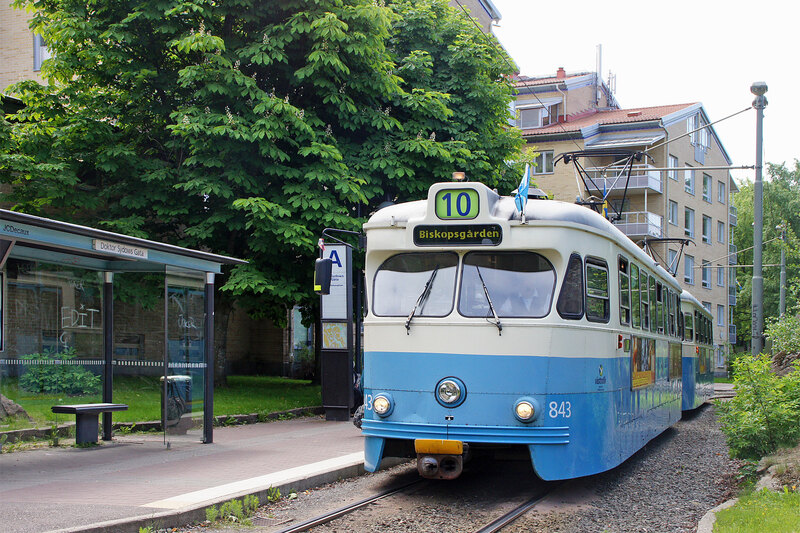 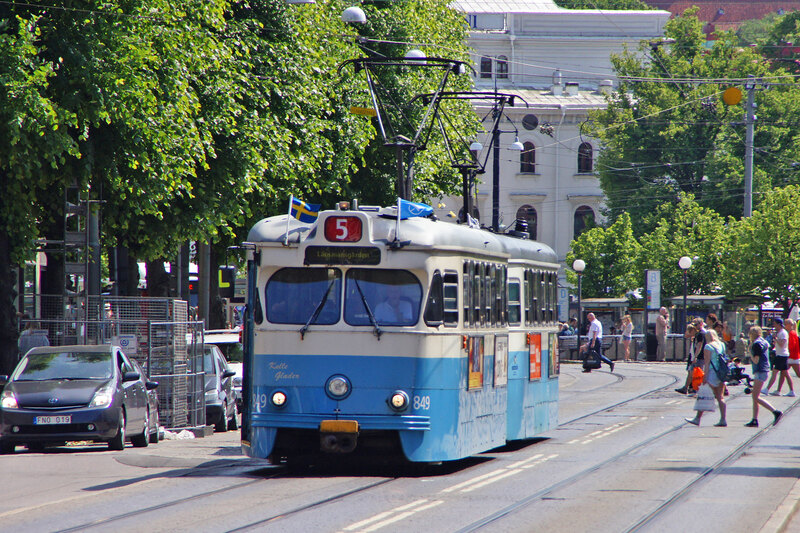 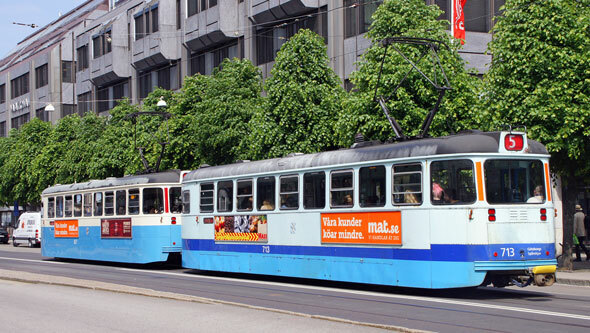 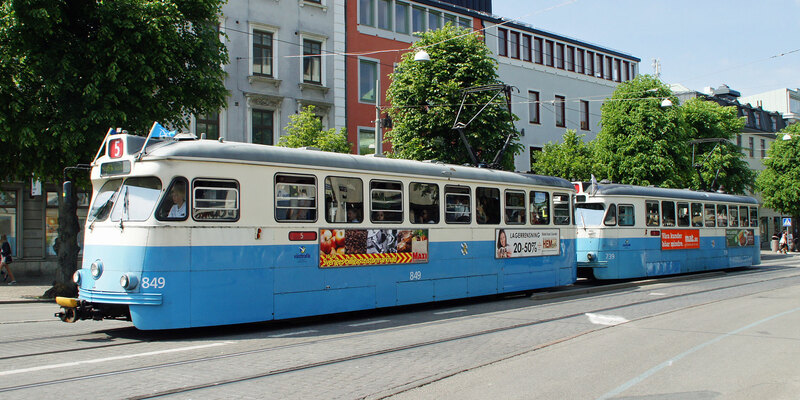 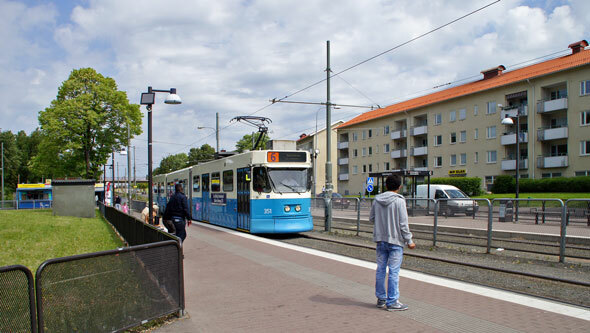 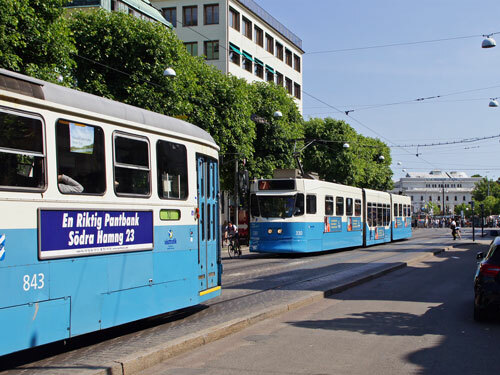 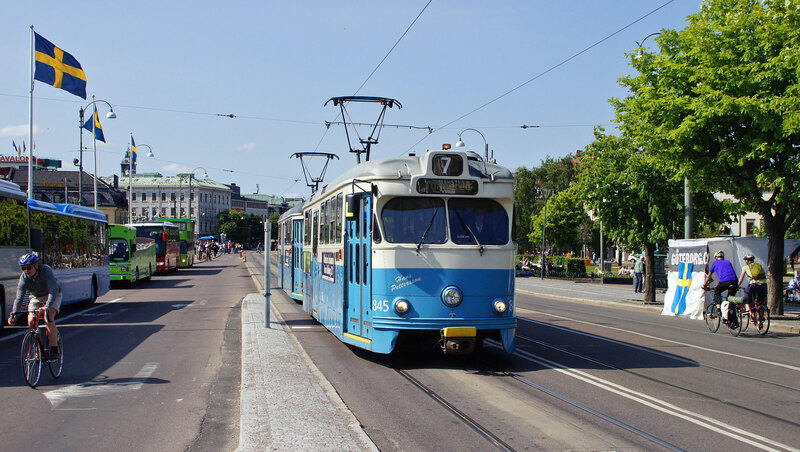 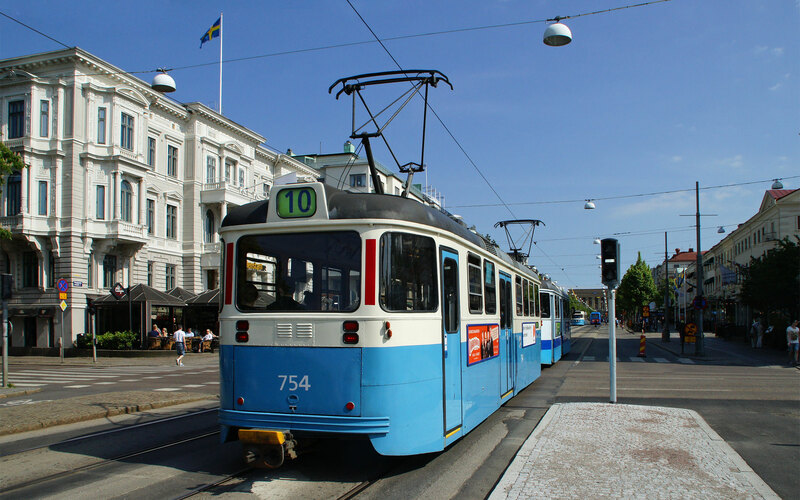 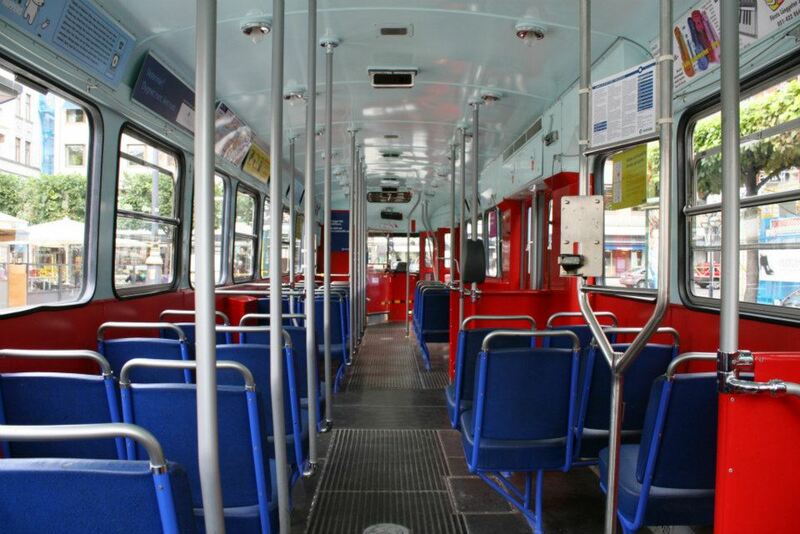 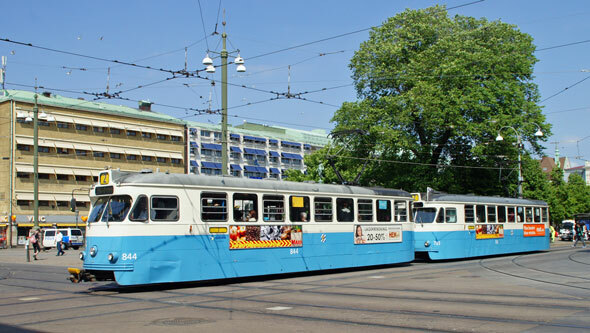 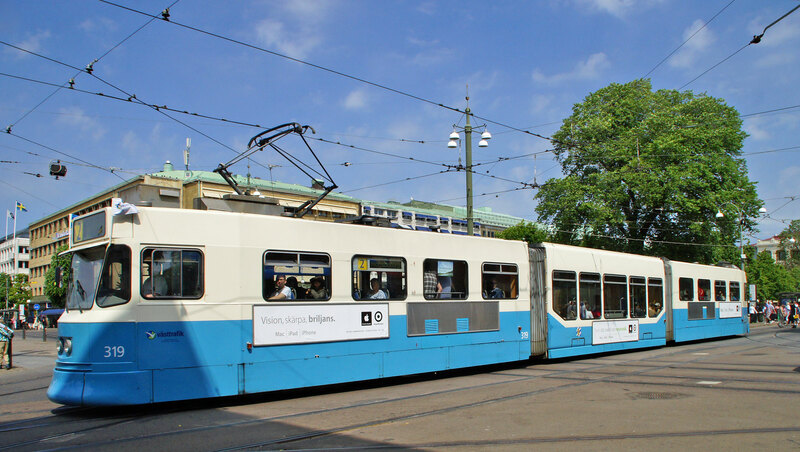 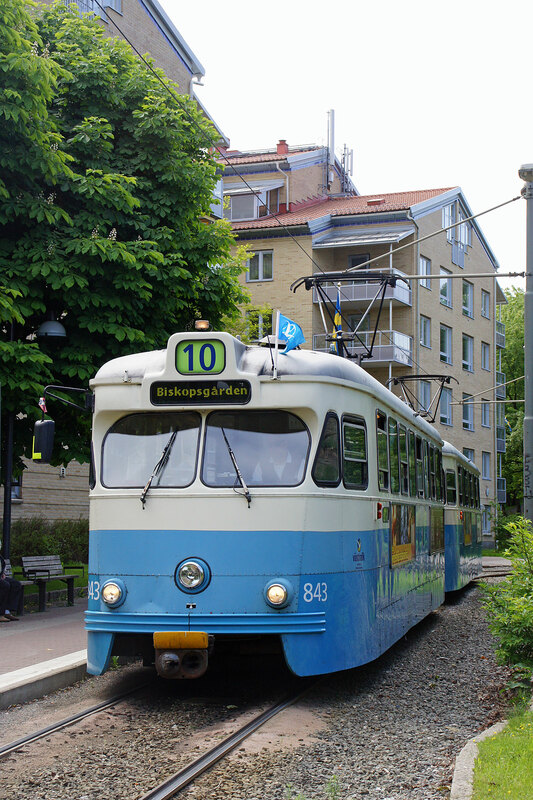 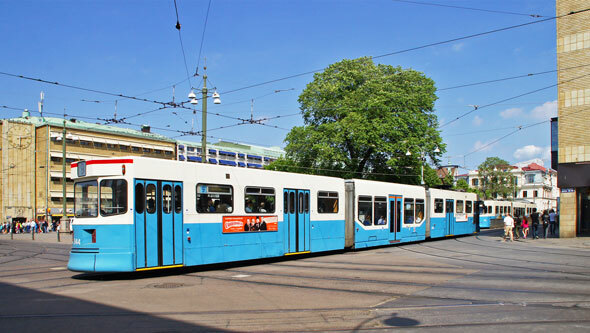 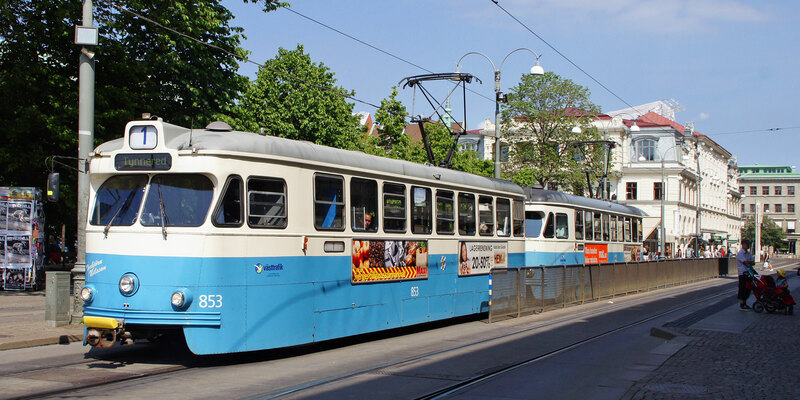 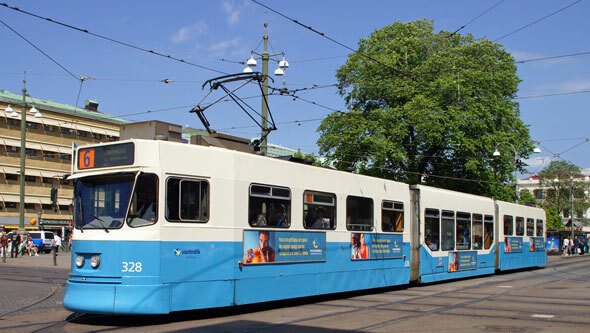 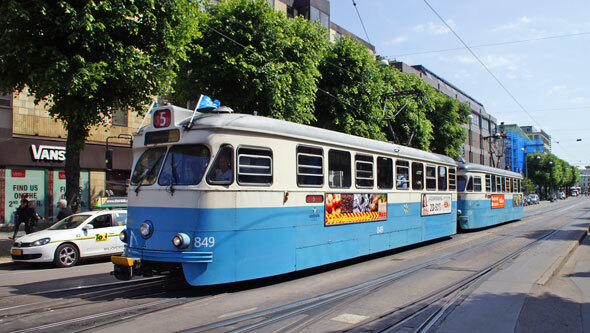 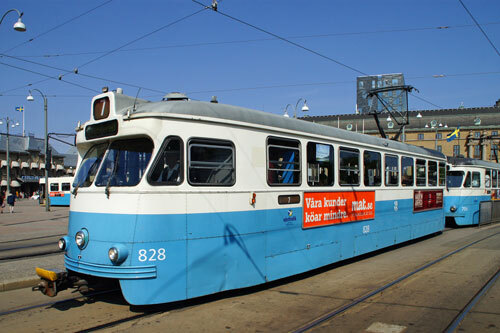 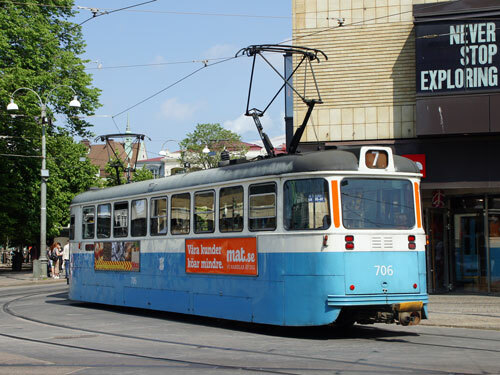 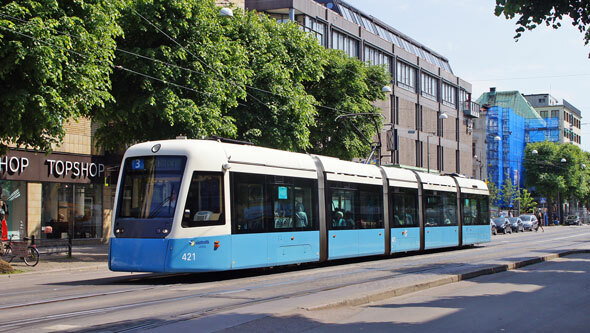 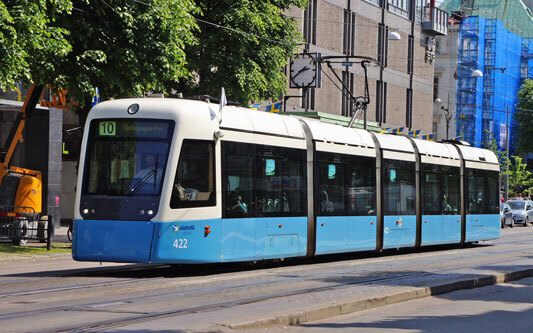 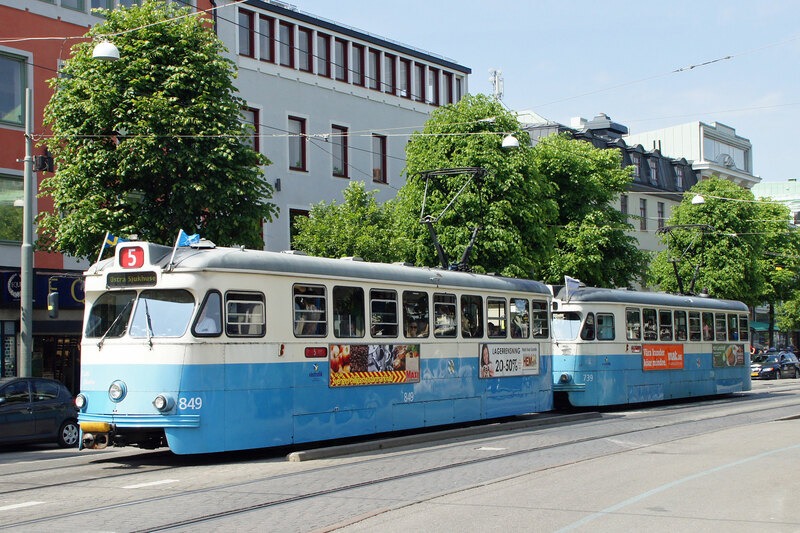 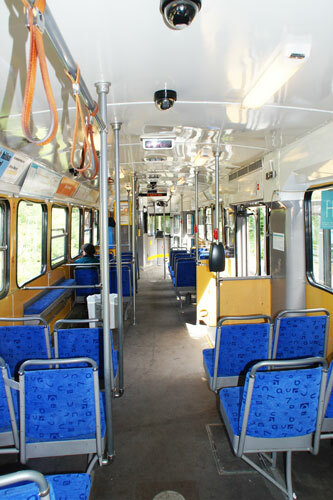 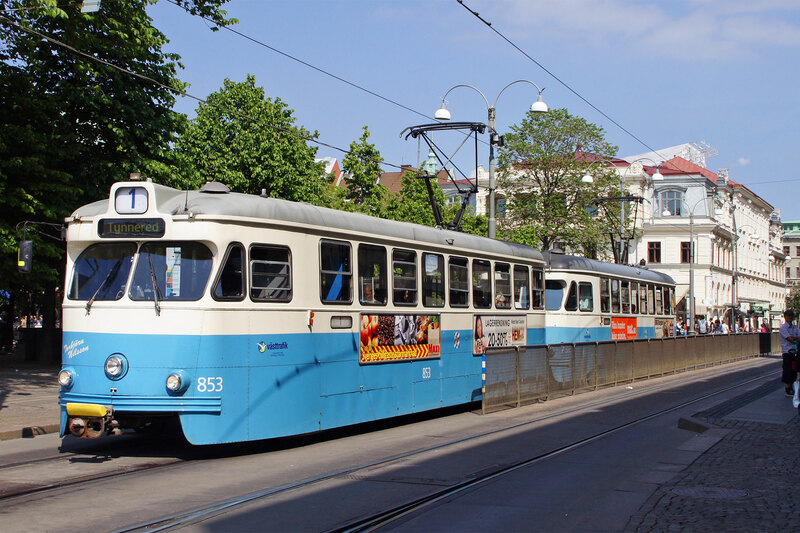 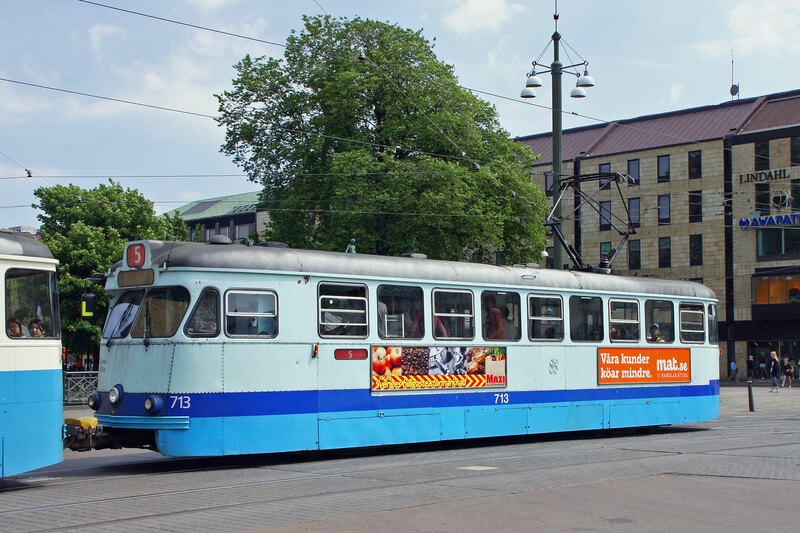 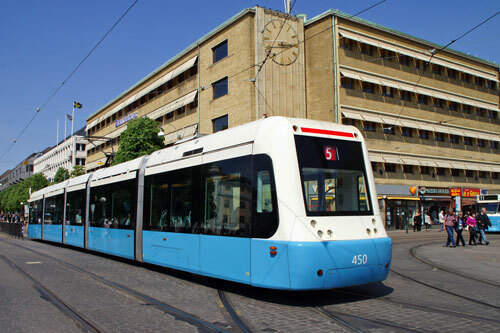 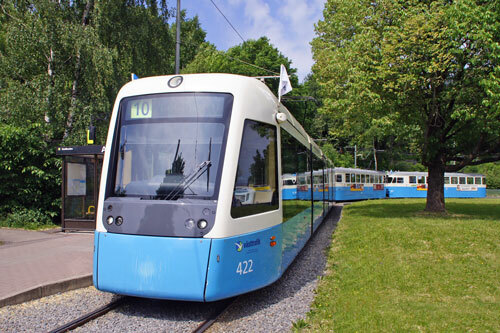 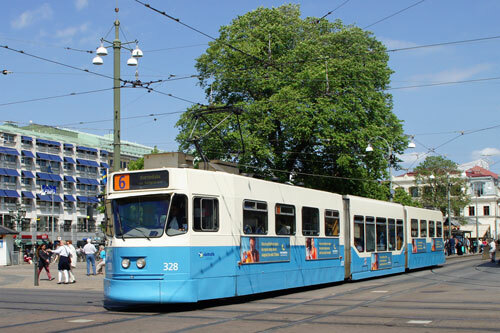 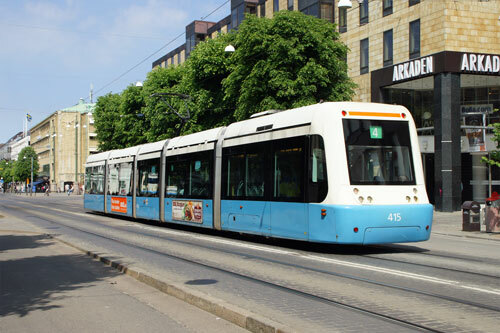 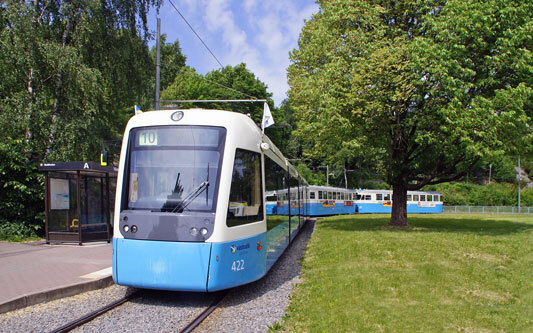 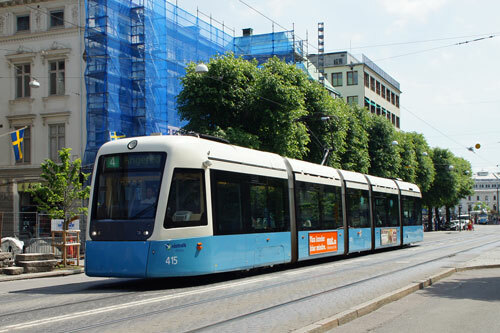 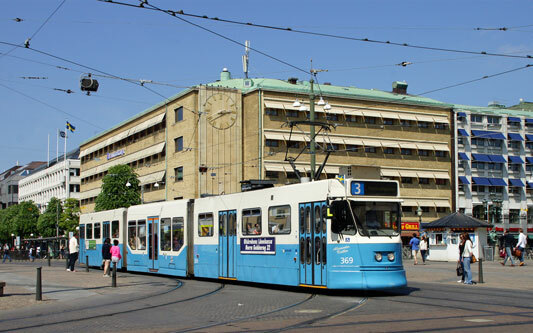 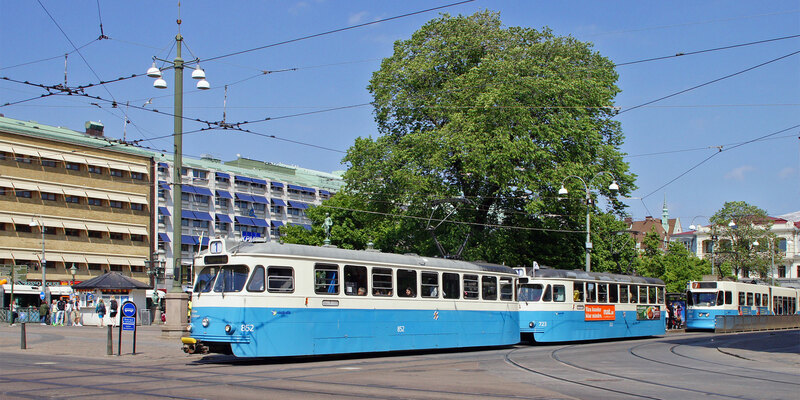 Trams similar to this are still in daily use in Gothenburg, particularly due to the problems with their fleet of newer Ansaldo-built vehicles.